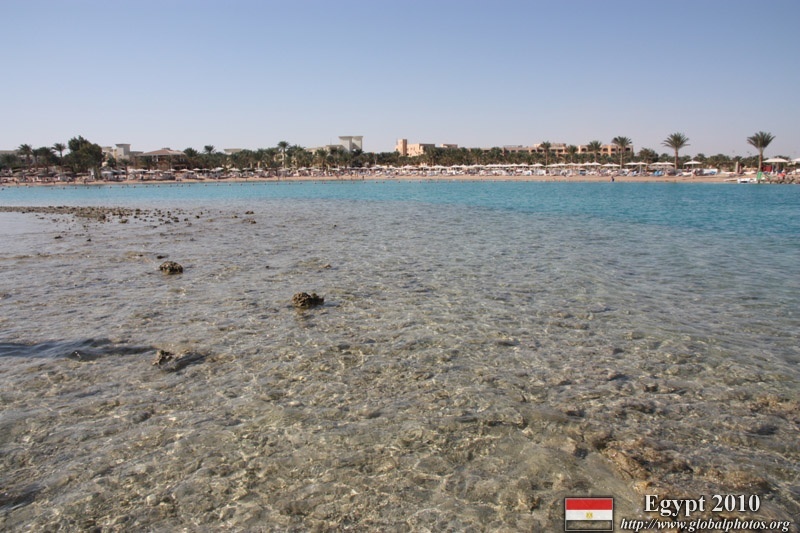 Hurghada is a weird type of paradise. 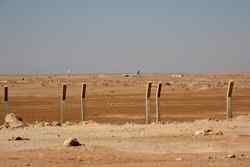 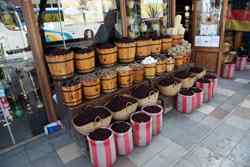 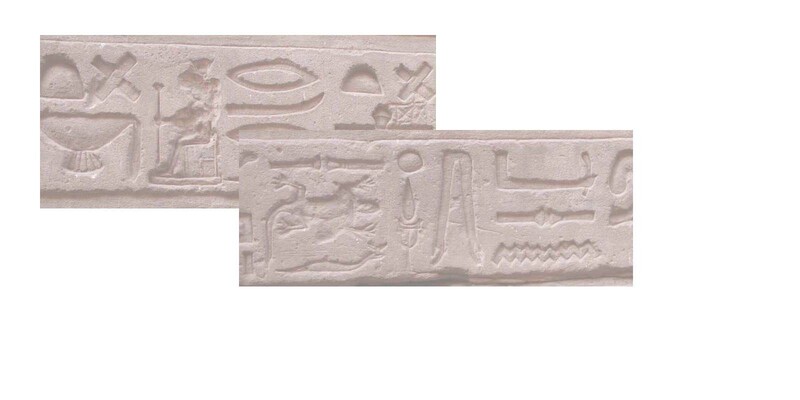 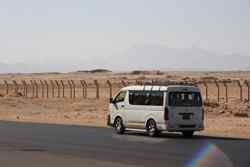 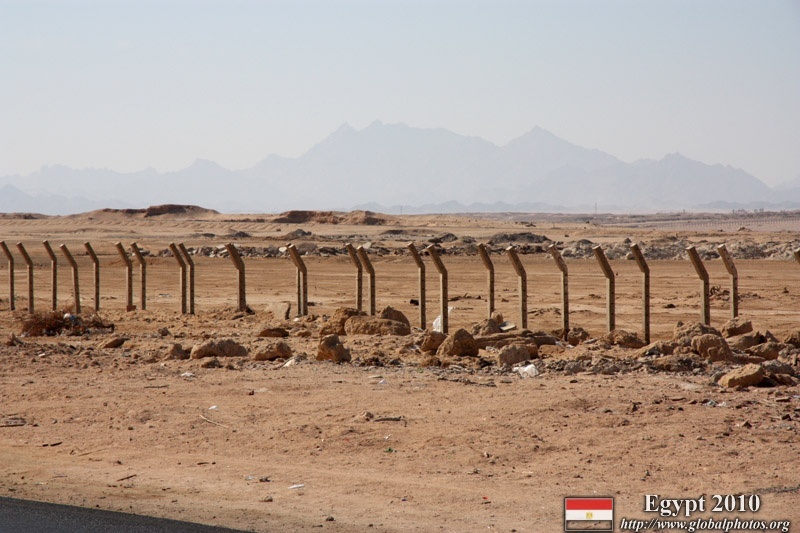 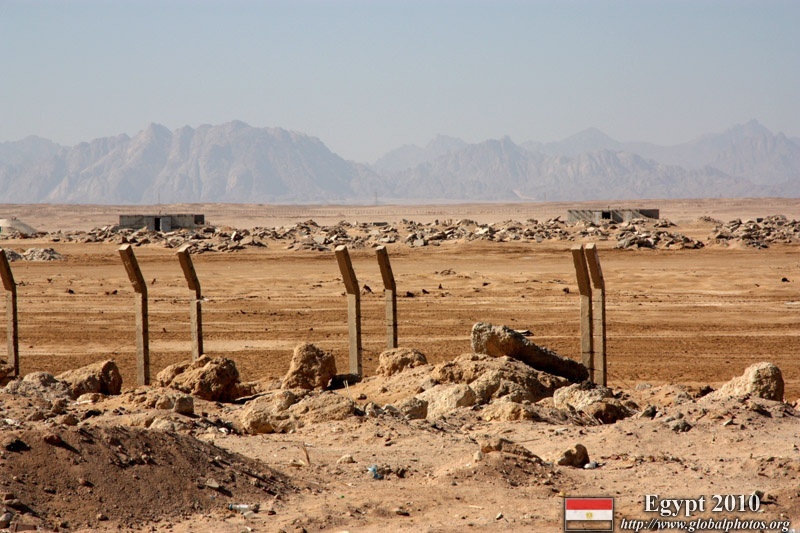 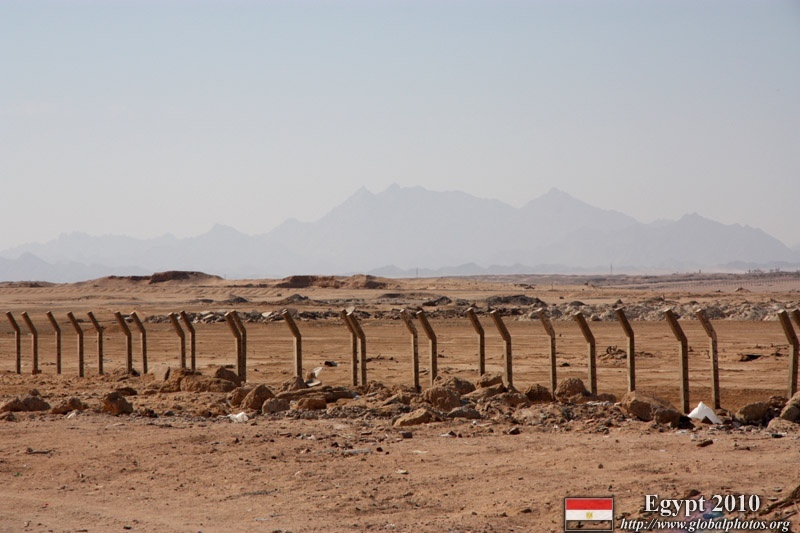 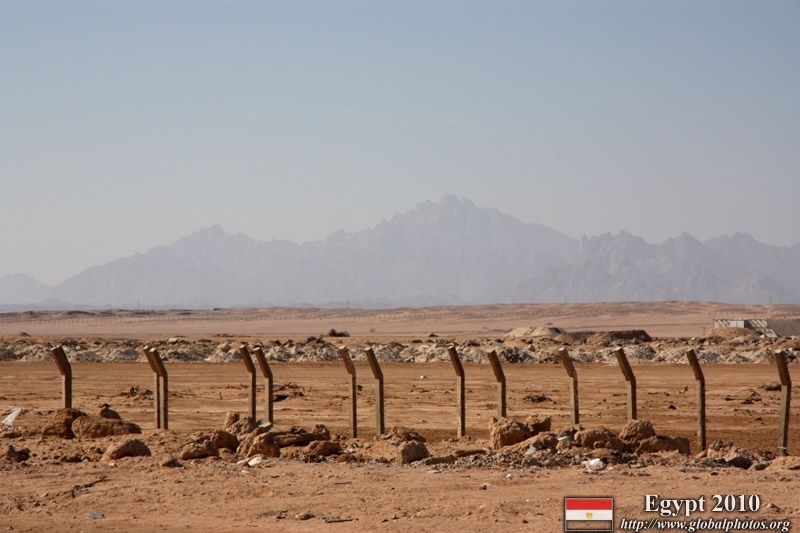 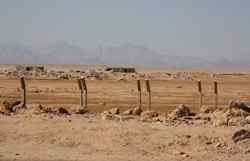 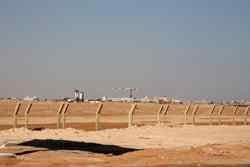 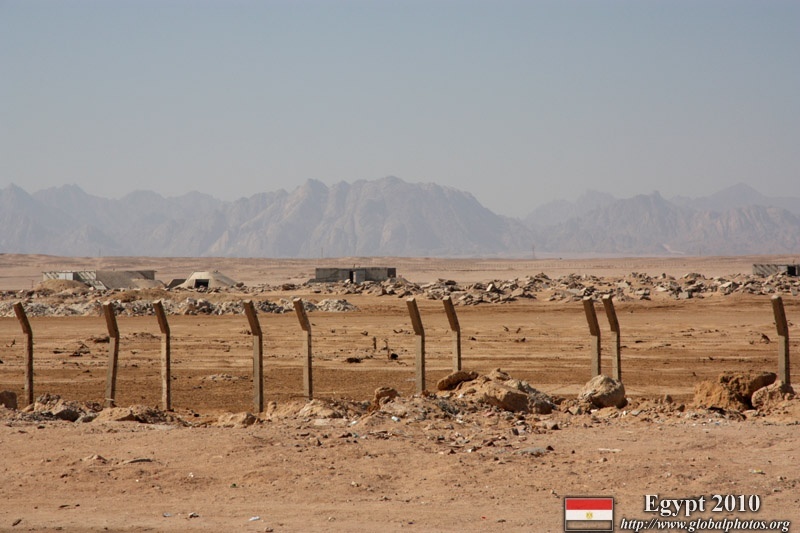 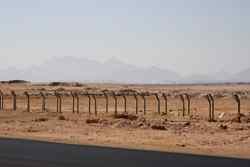 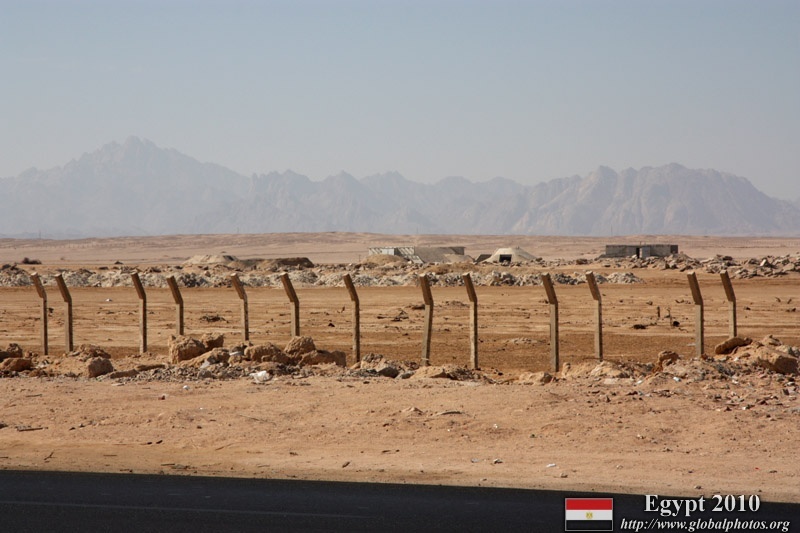 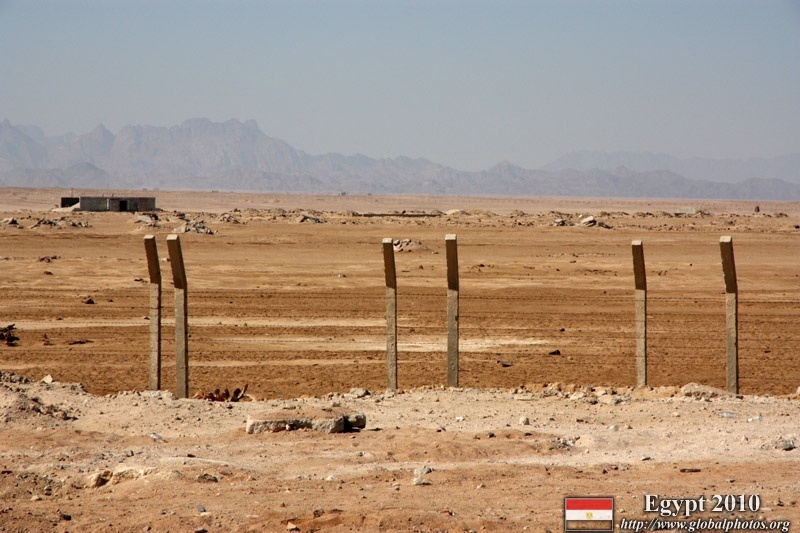 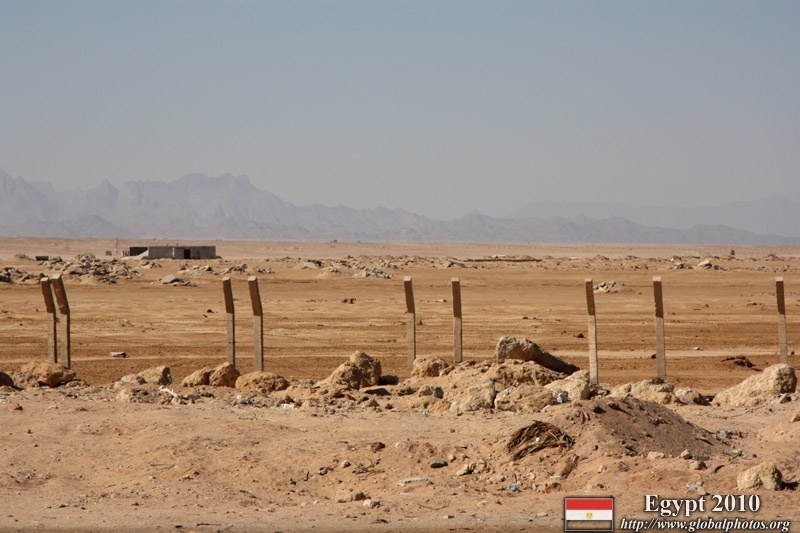 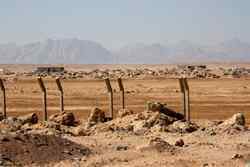 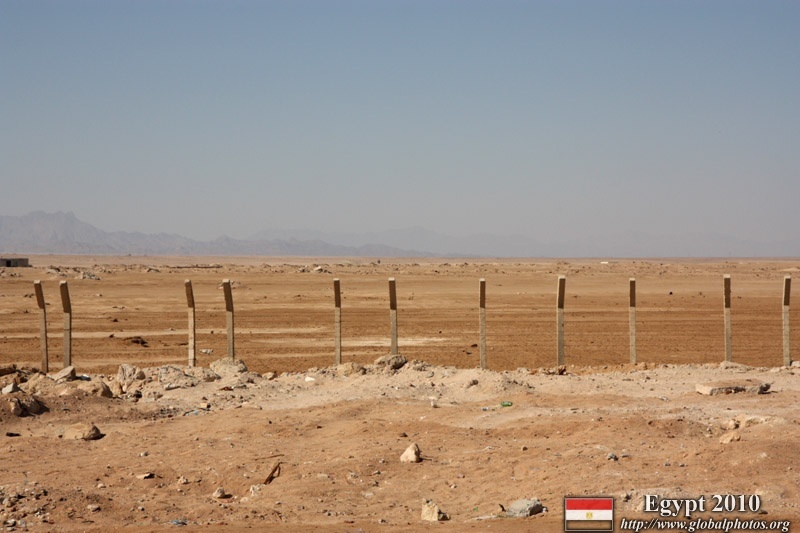 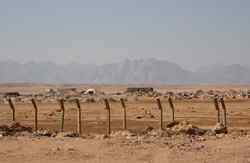 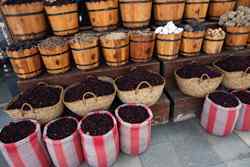 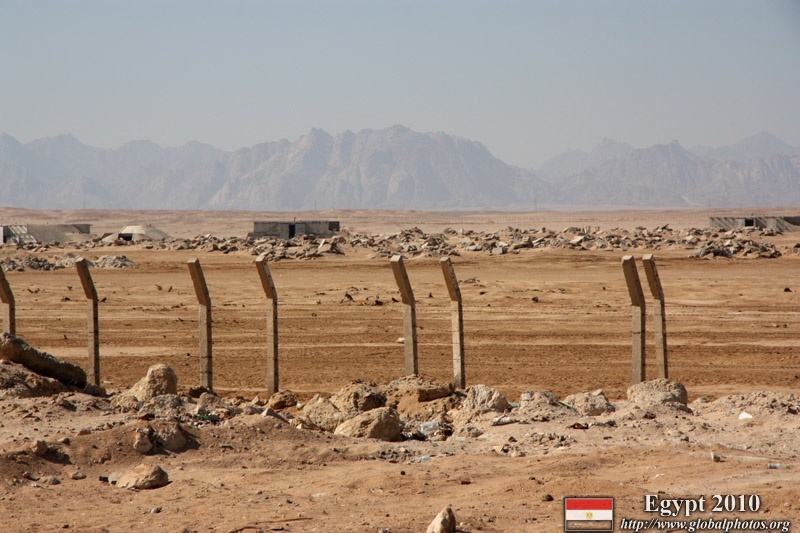 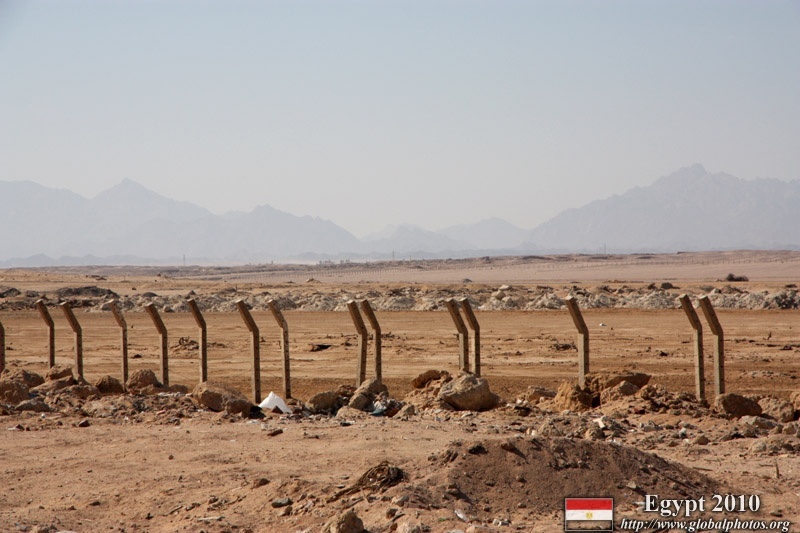 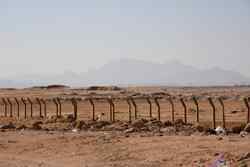 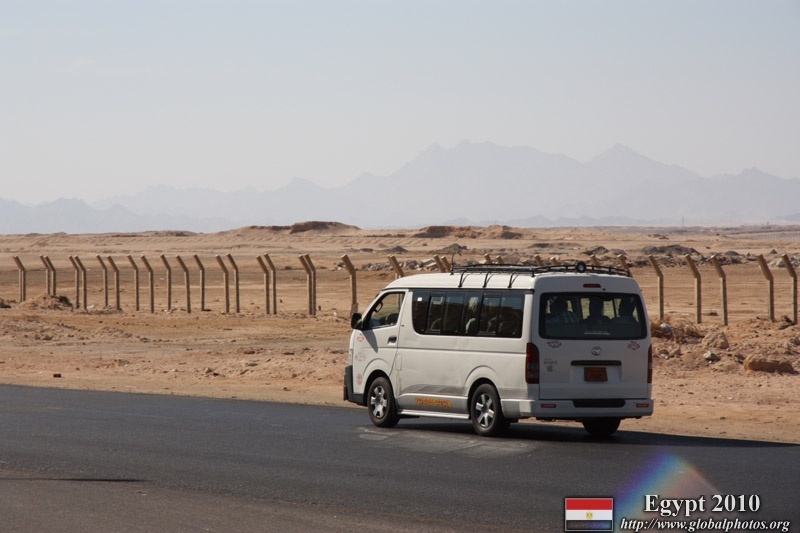 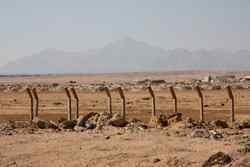 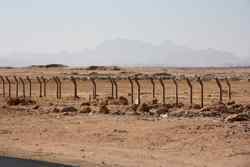 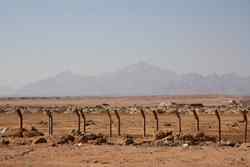 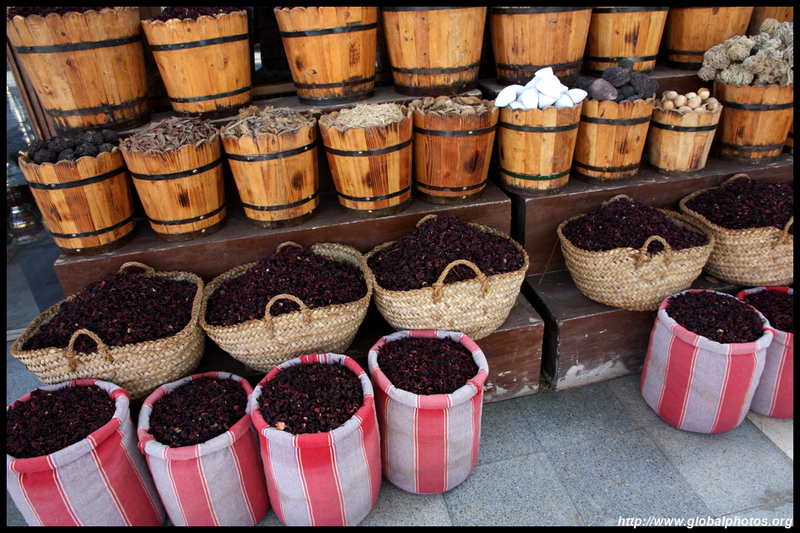 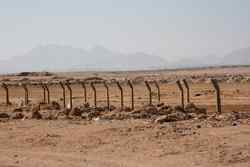 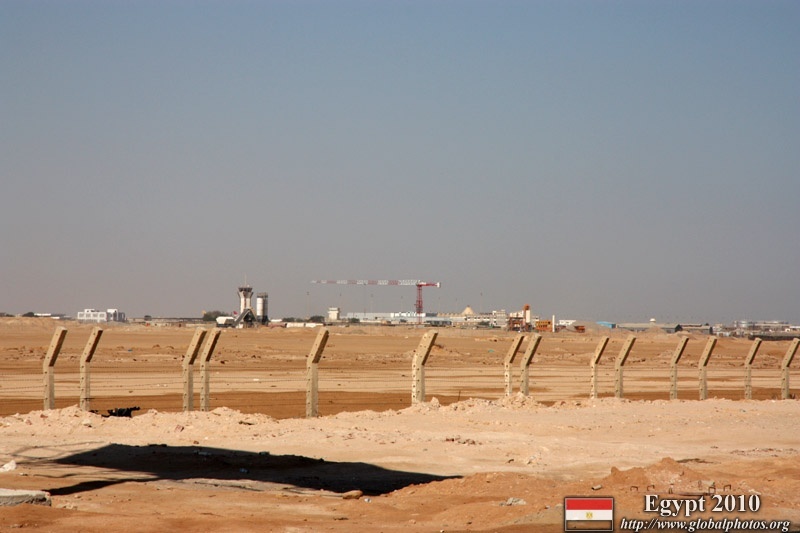 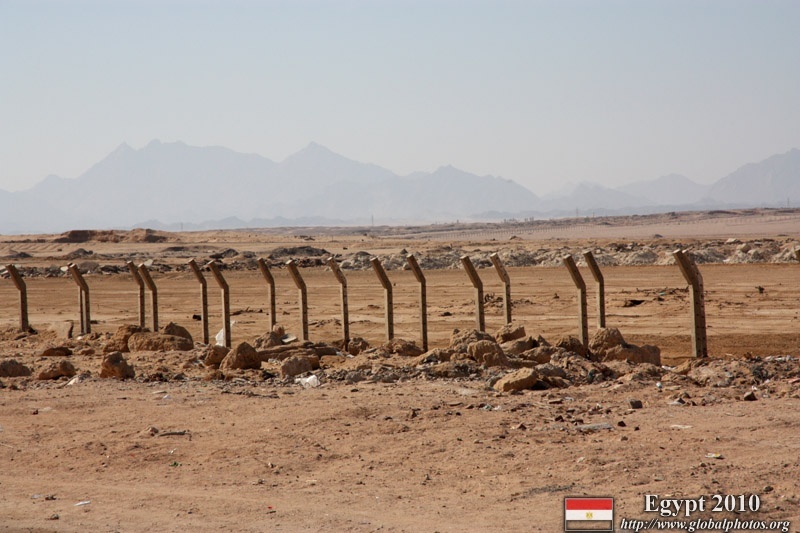 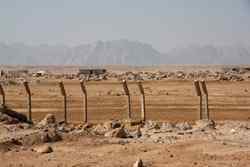 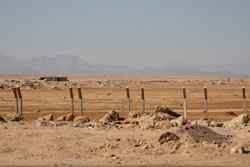 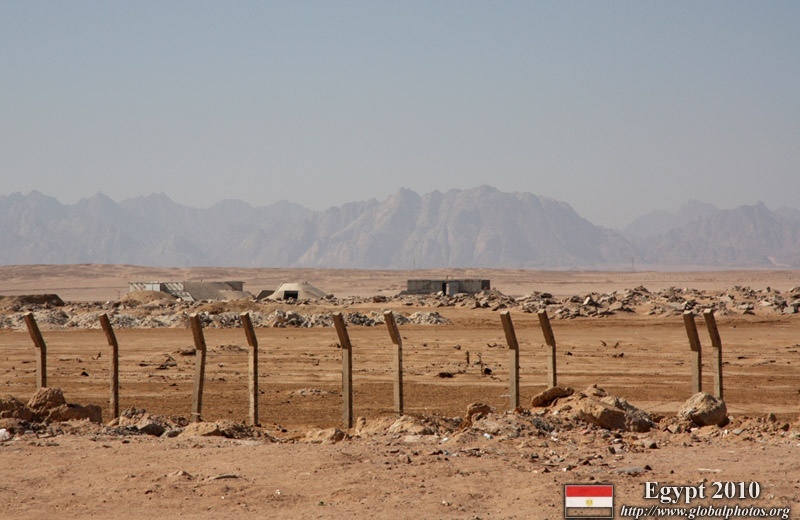 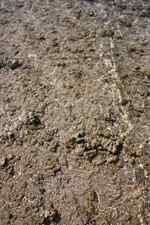 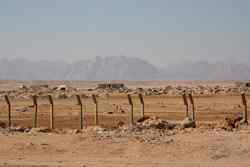 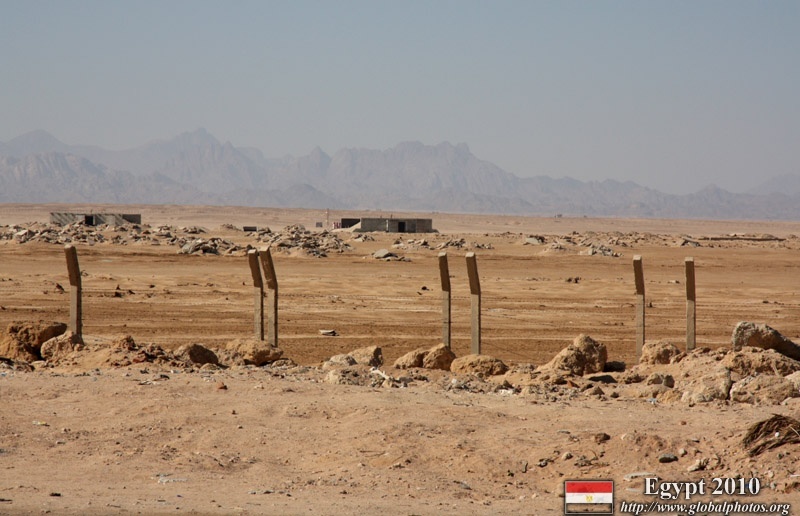 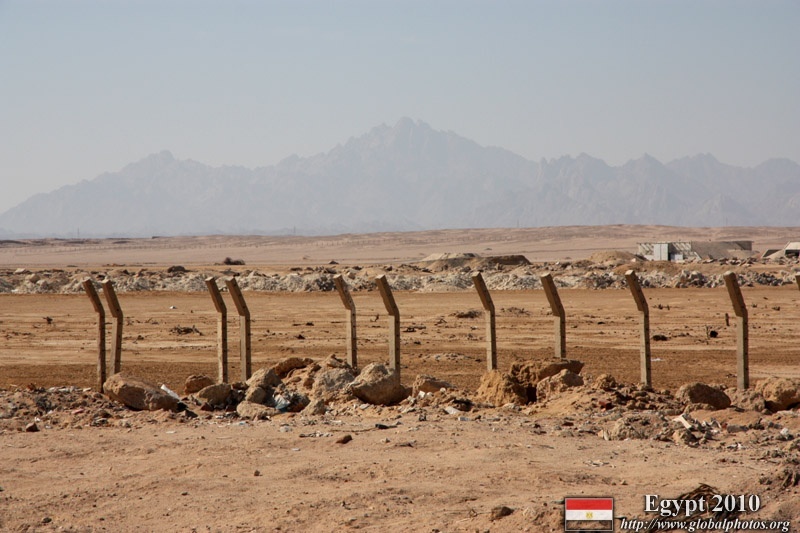 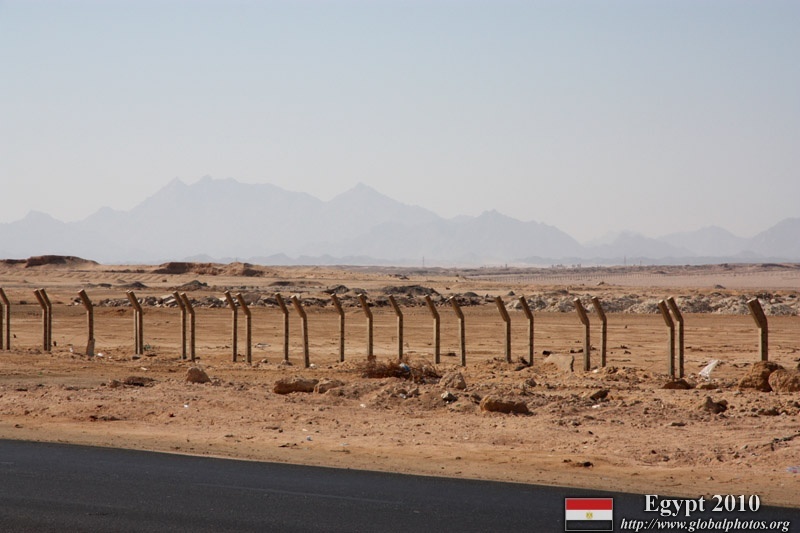 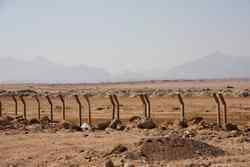 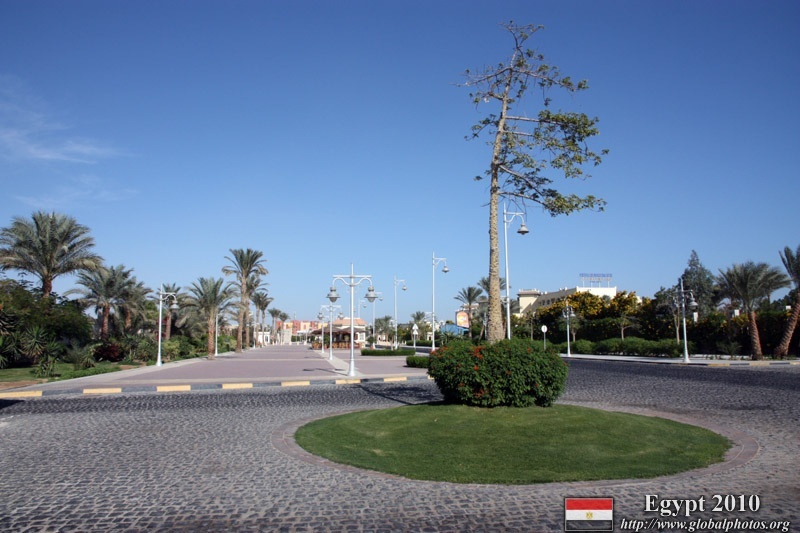 It was a well-manicured, clean enclave edged between the Eastern Desert and the Red Sea. 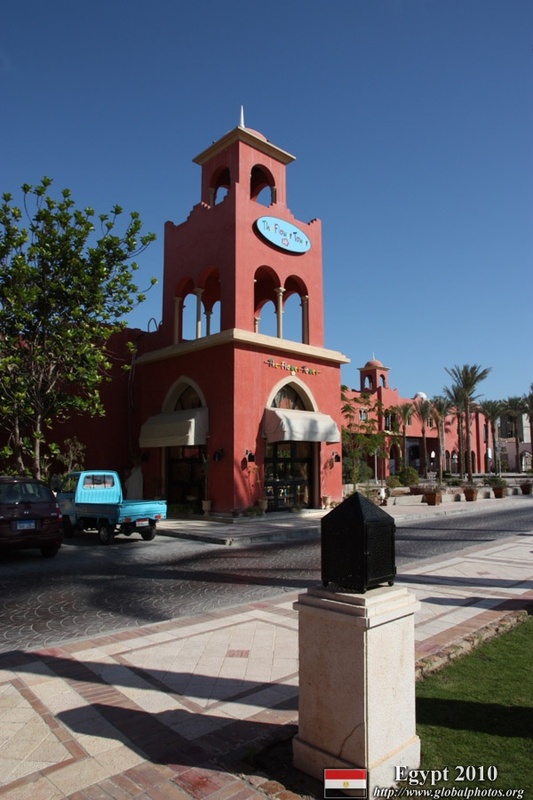 It all seemed so artificial and posh. 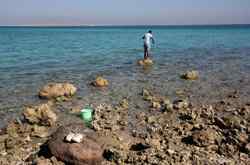 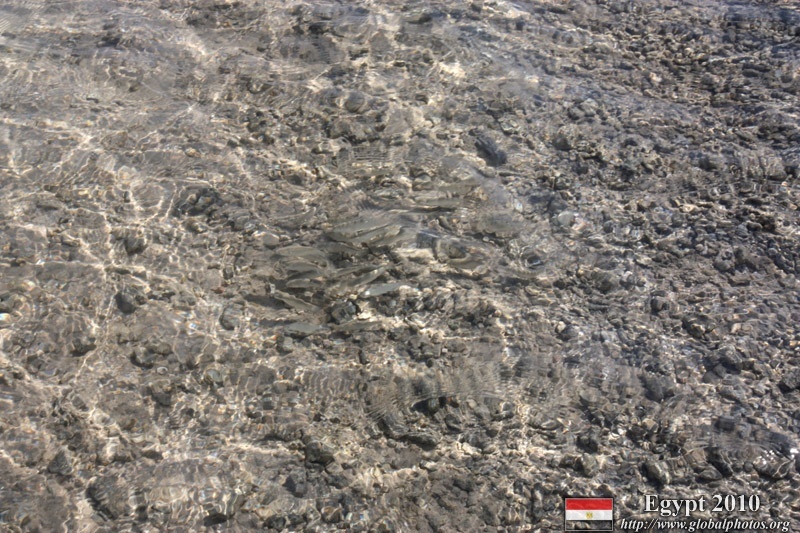 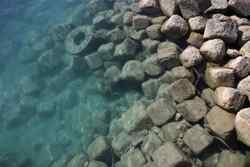 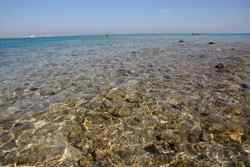 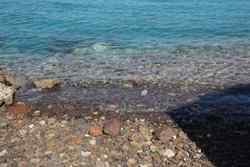 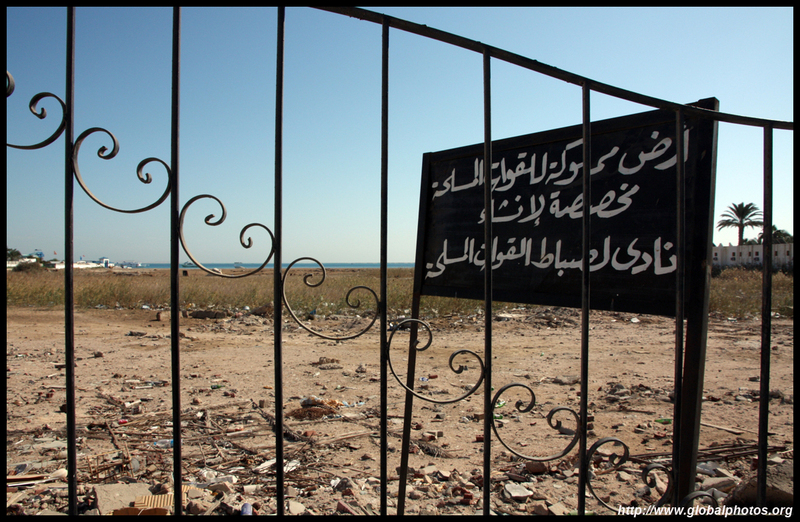 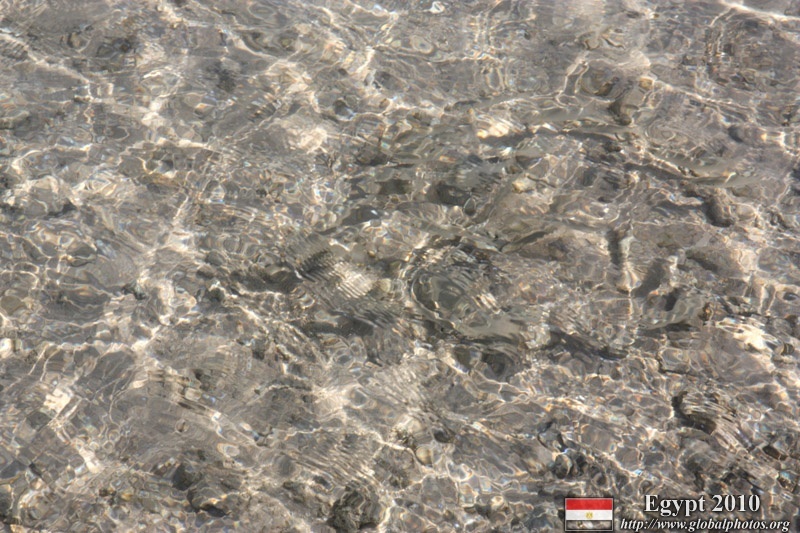 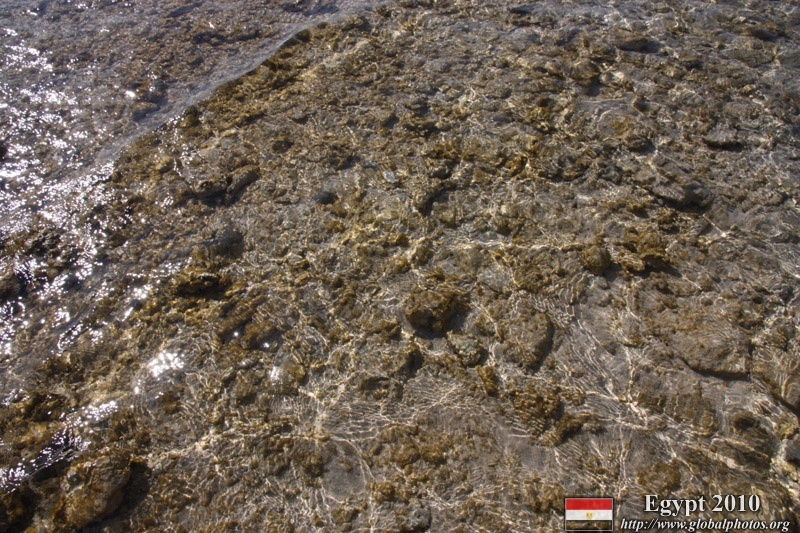 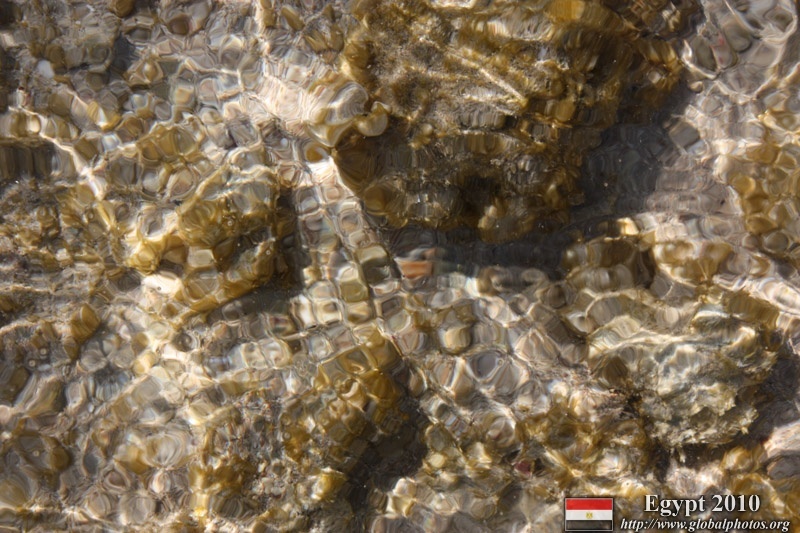 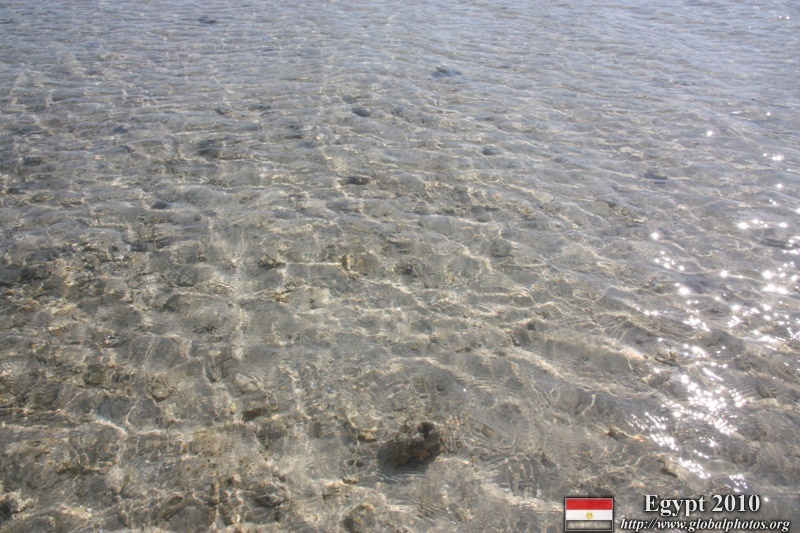 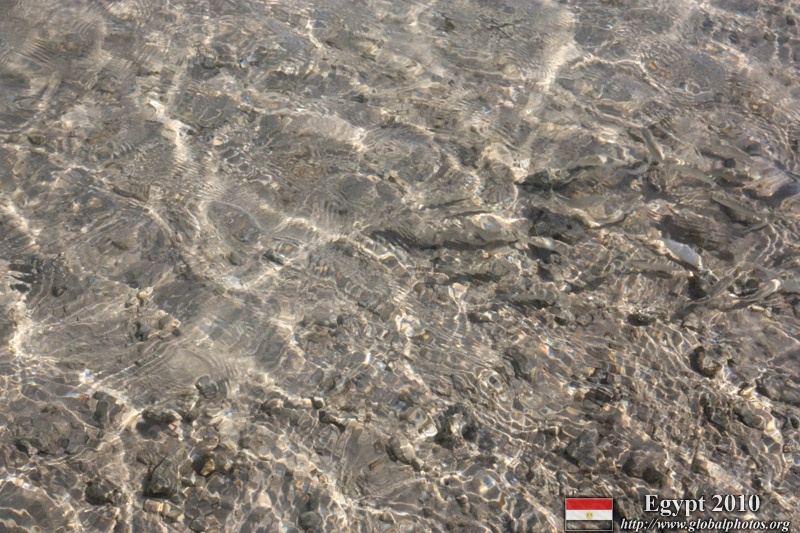 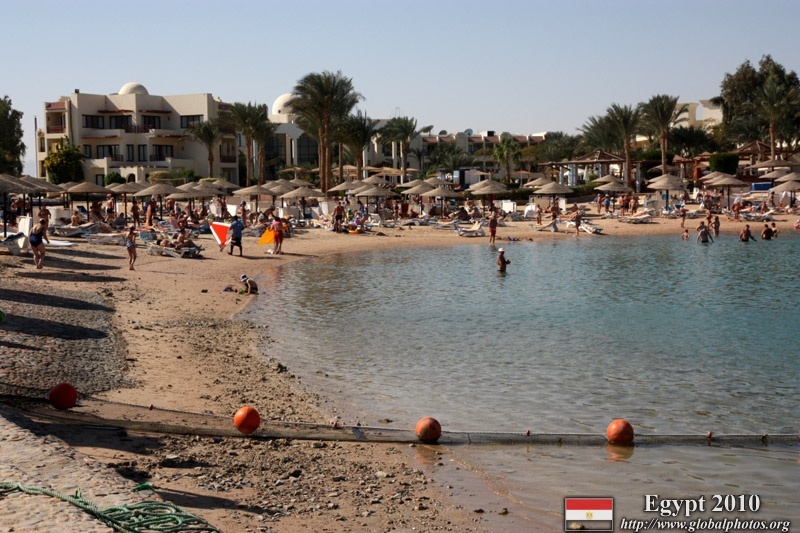 The Red Sea coast has been developed into exclusive resorts, so the average person could not actually access the beach without paying to stay in a resort, or via a paid beach. 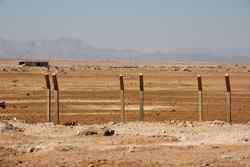 The rest of humanity is gated from the Red Sea. 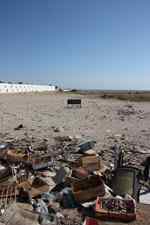 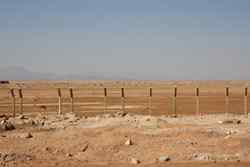 Only 2 blocks from the resorts lie the real landscape - barren, sandy, and empty. 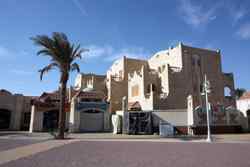 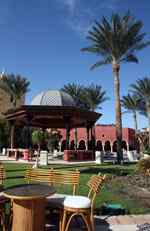 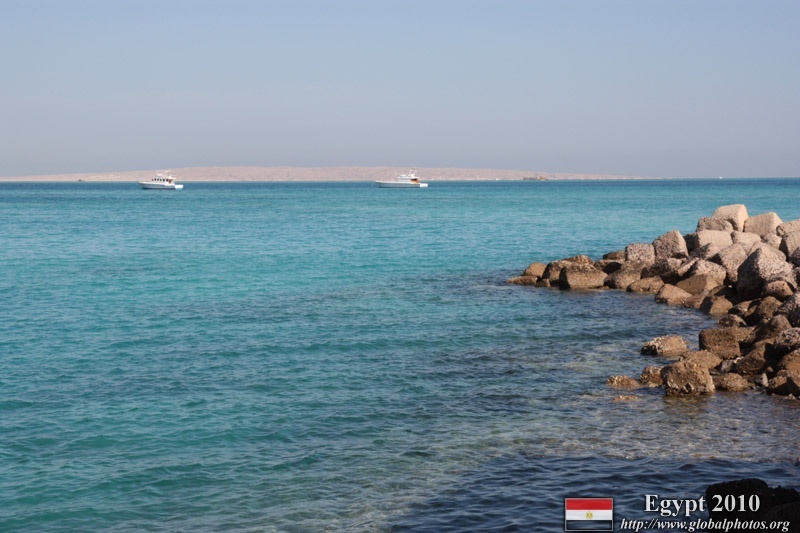 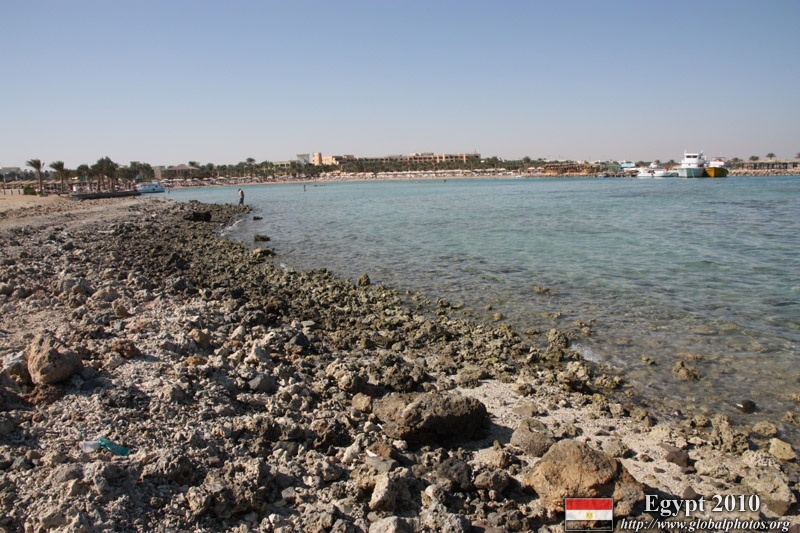 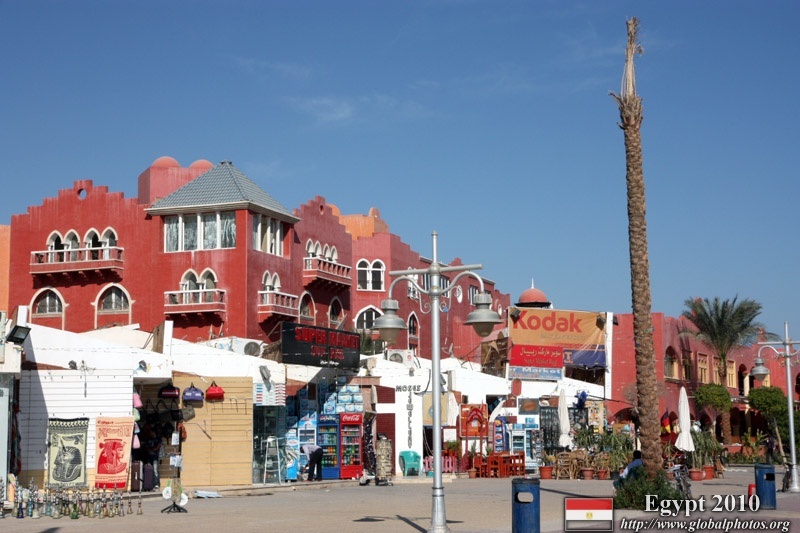 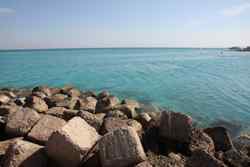 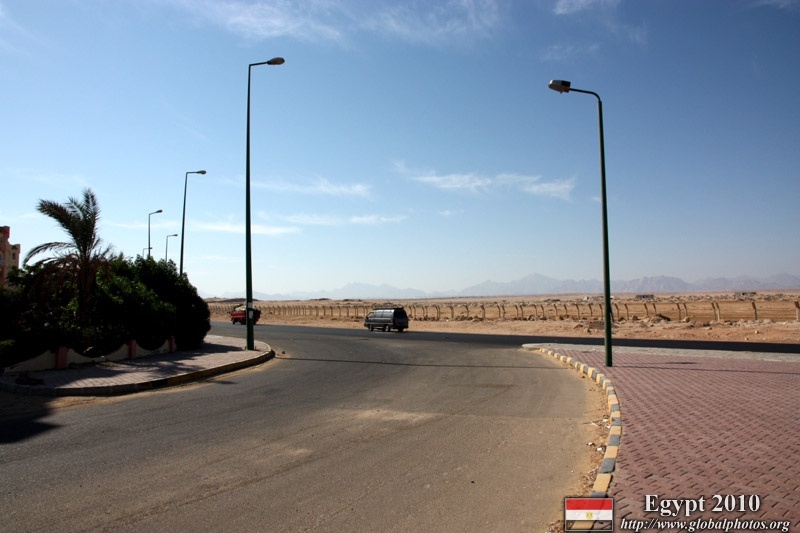 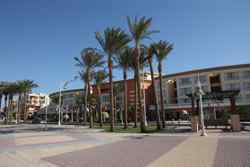 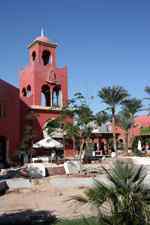 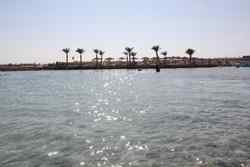 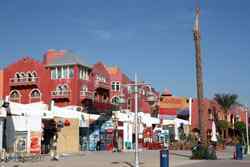 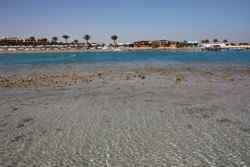 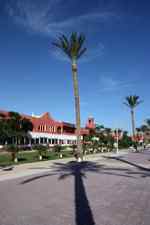 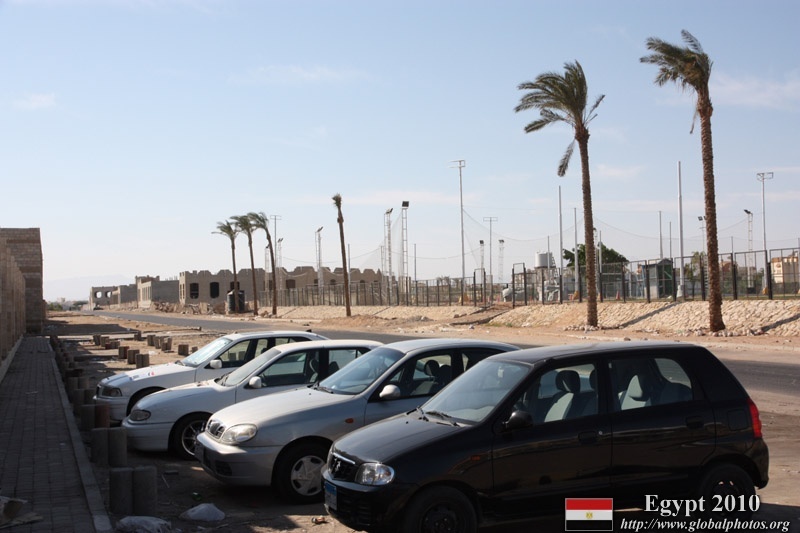 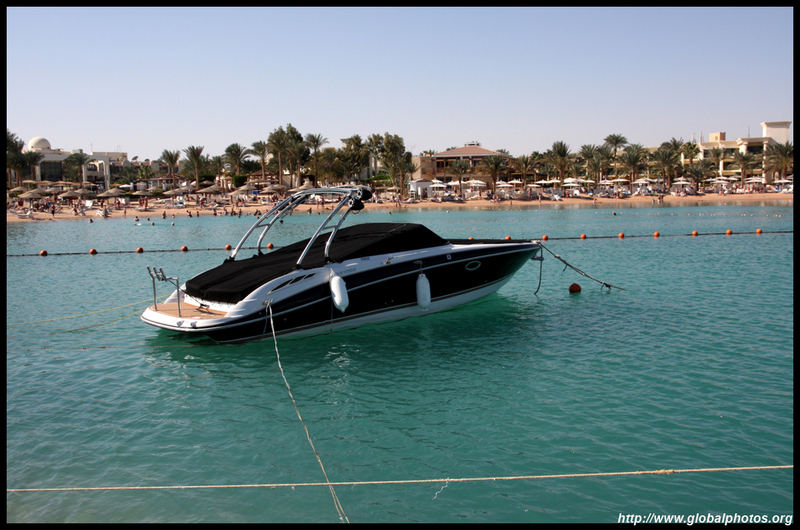 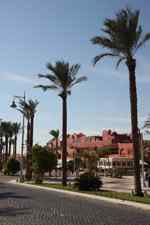 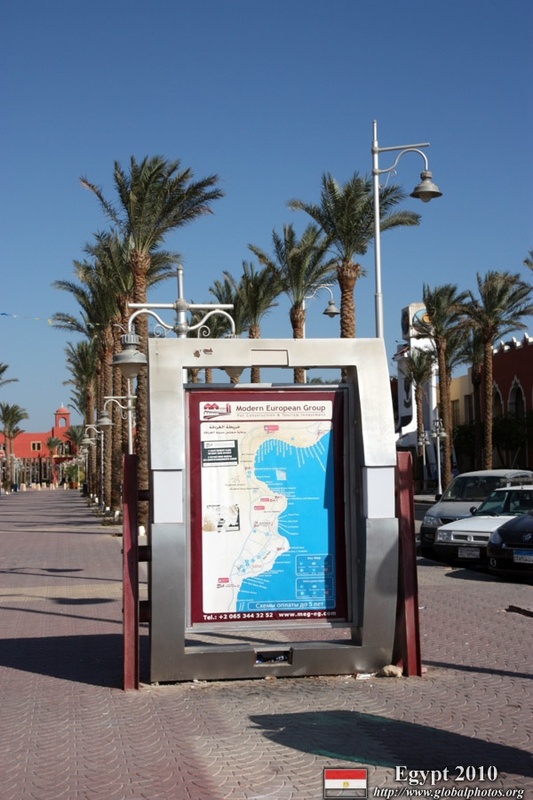 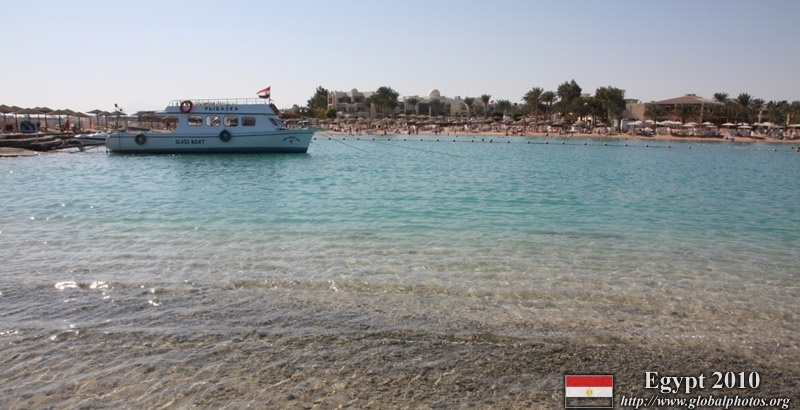 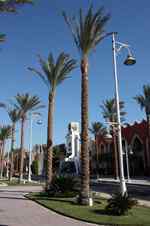 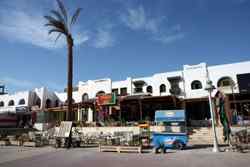 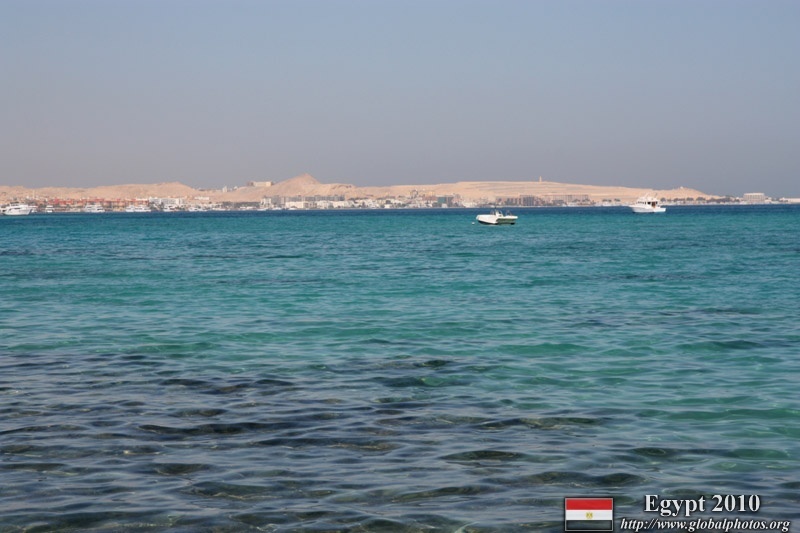 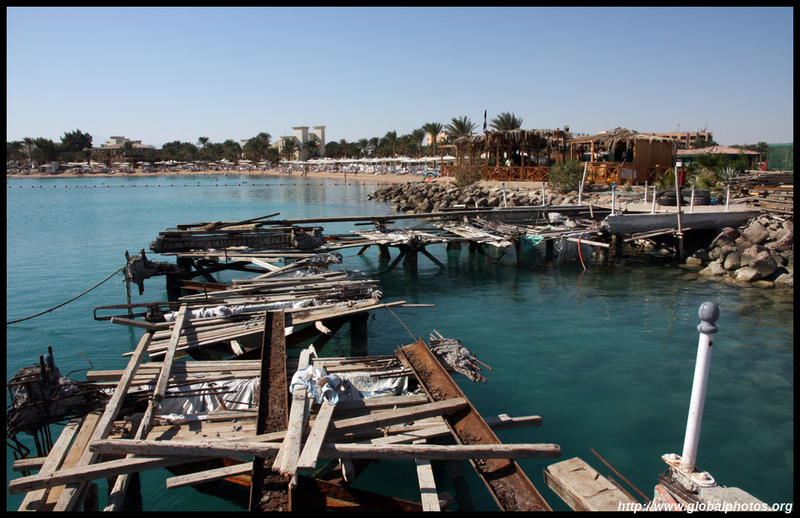 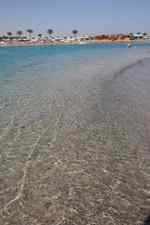 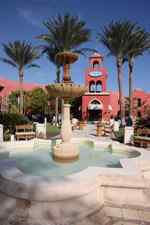 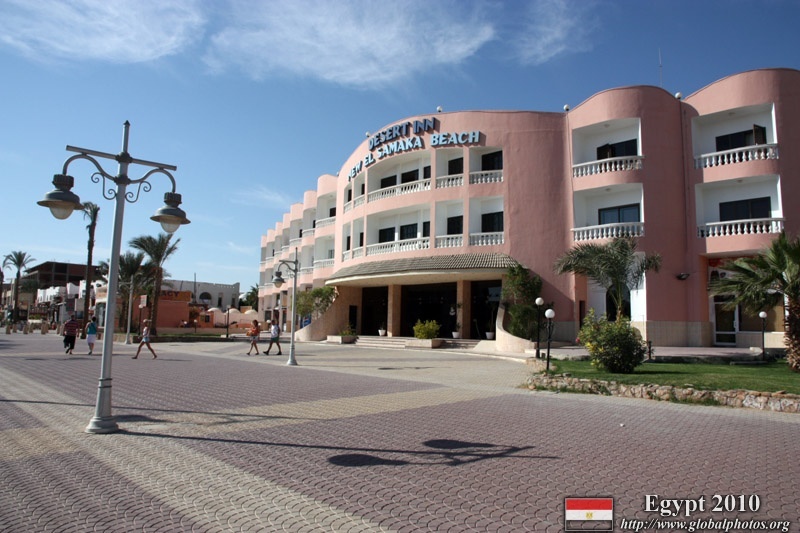 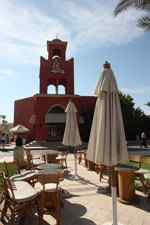 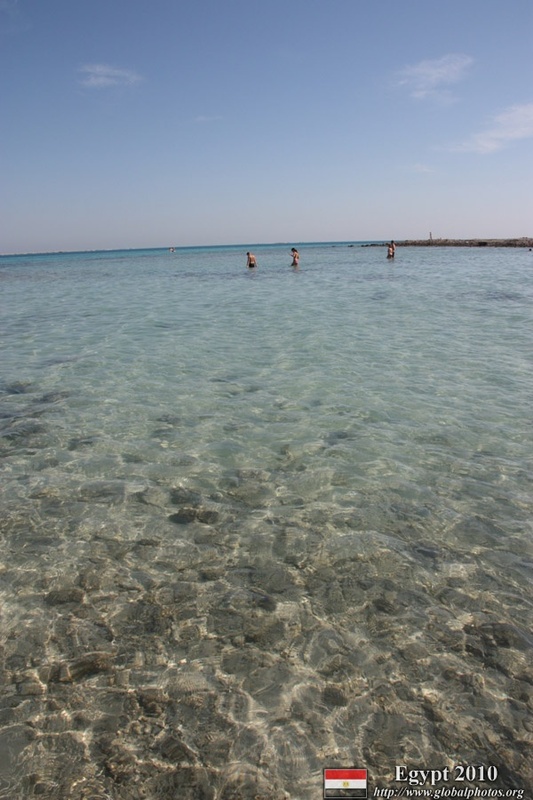 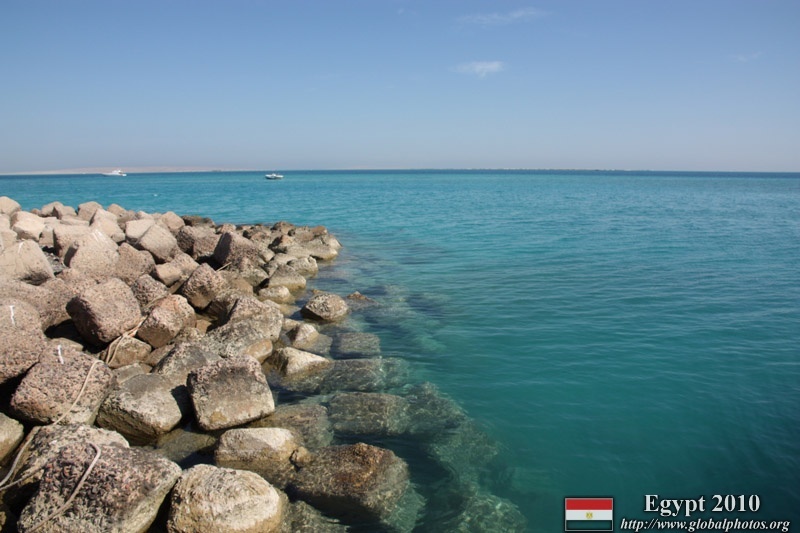 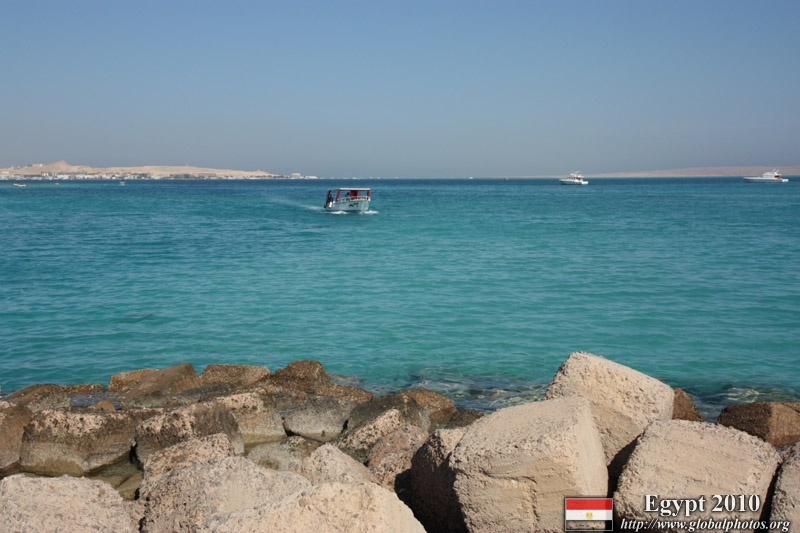 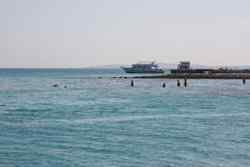 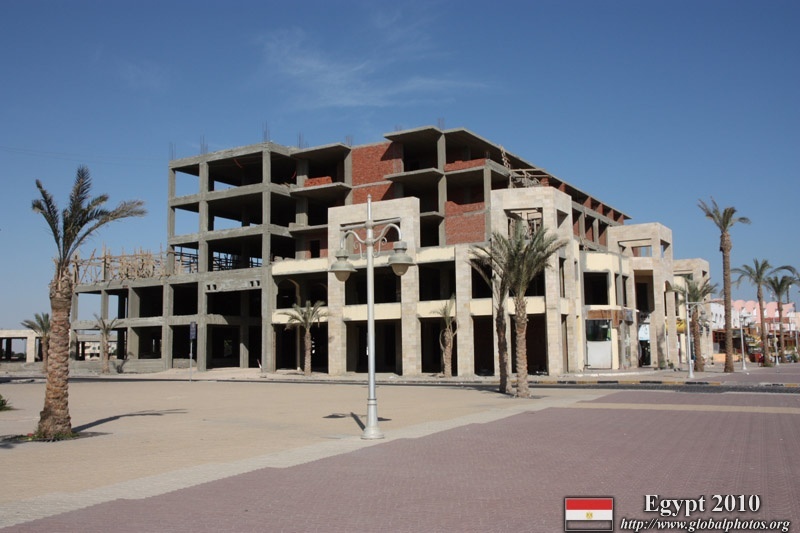 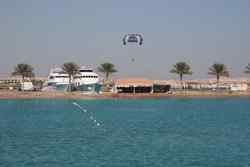 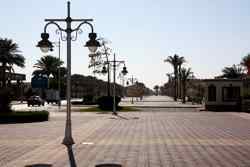 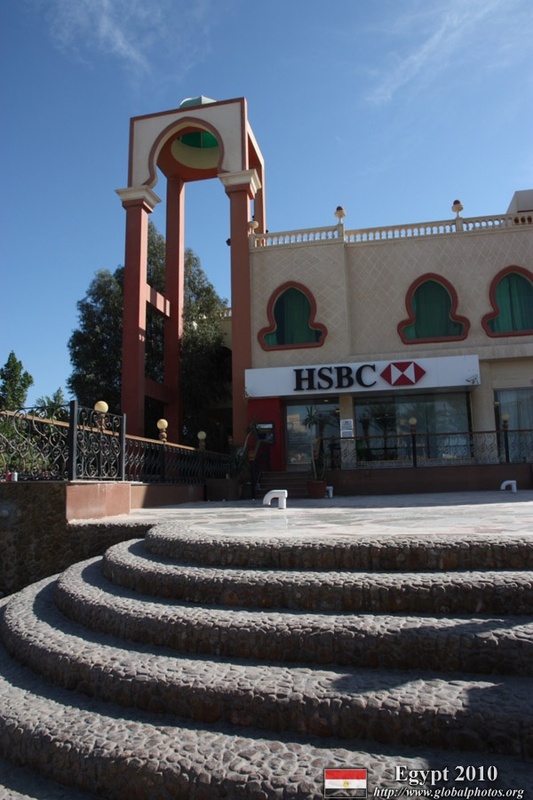 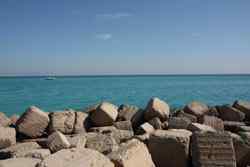 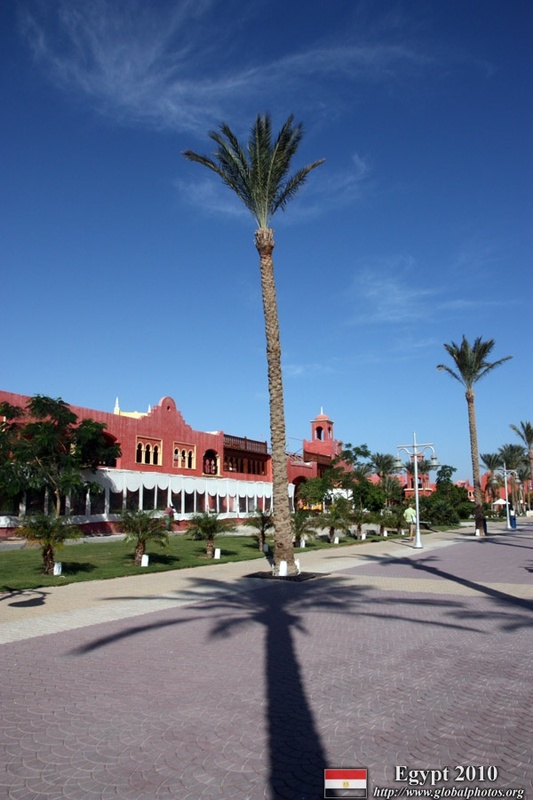 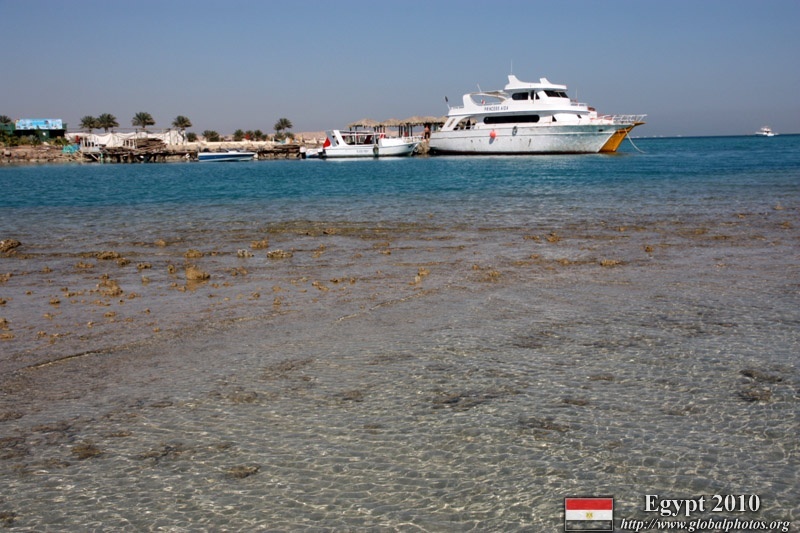 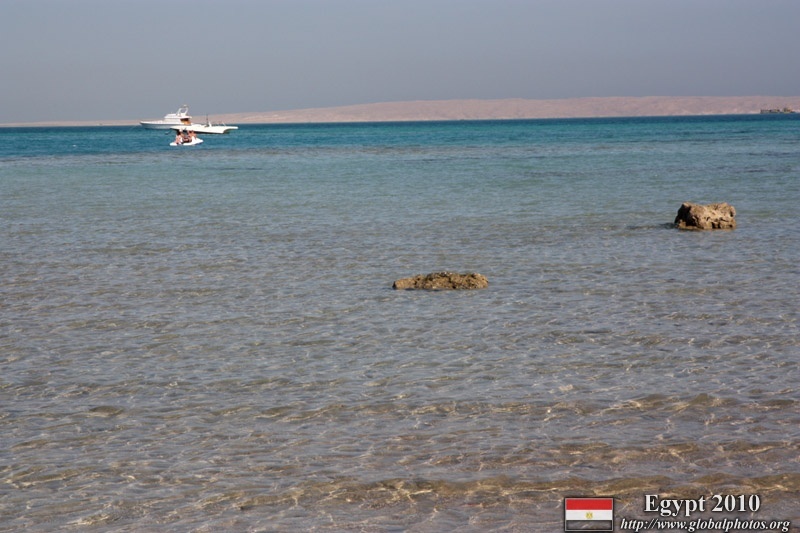 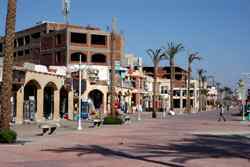 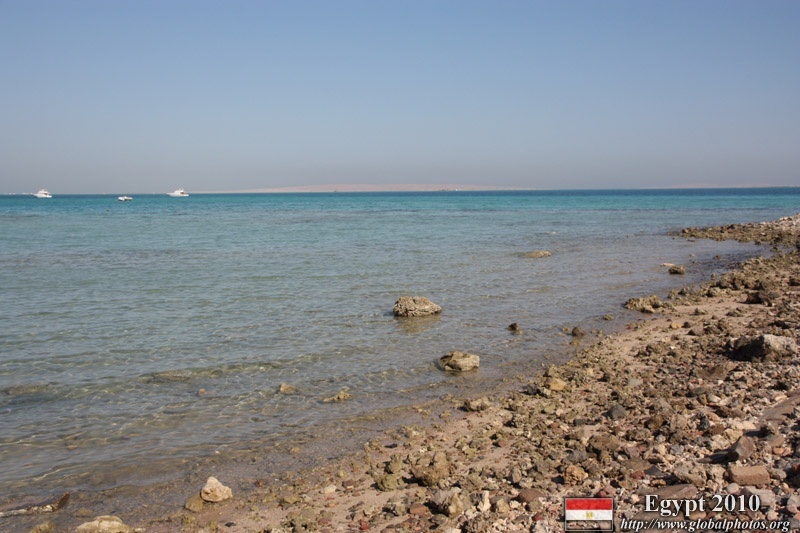 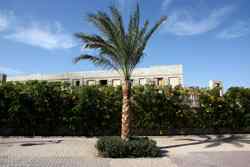 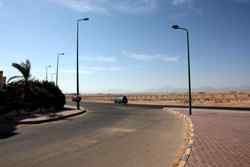 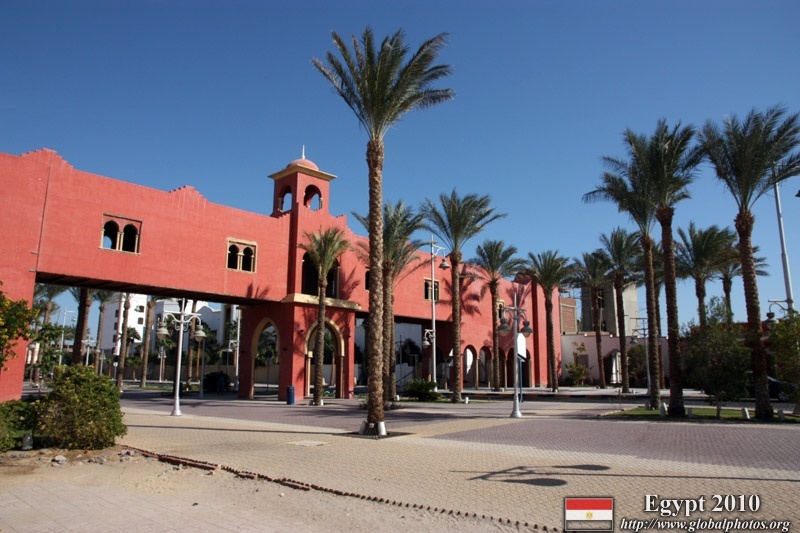 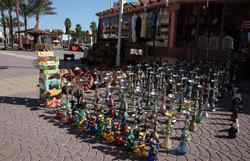 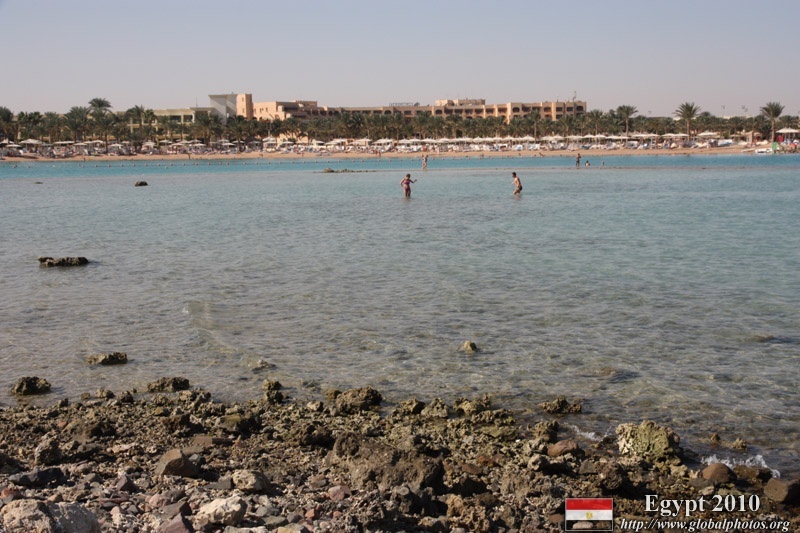 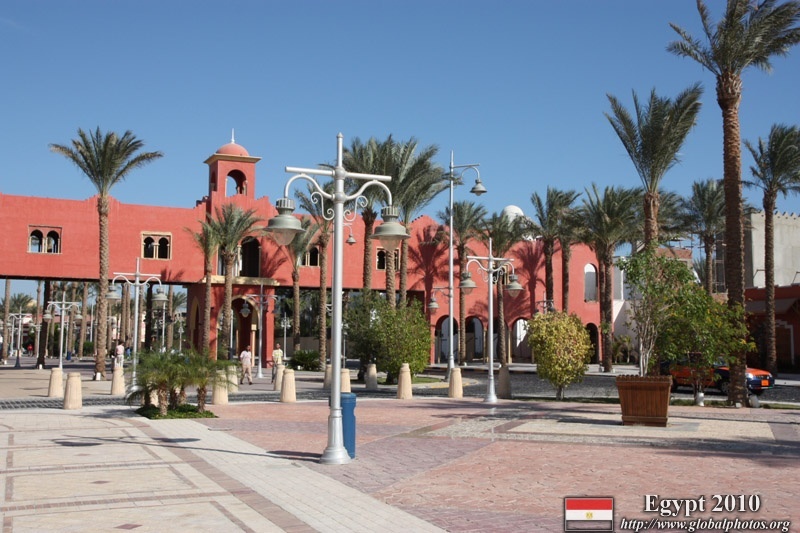 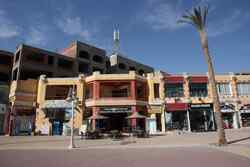 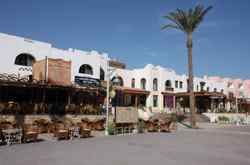 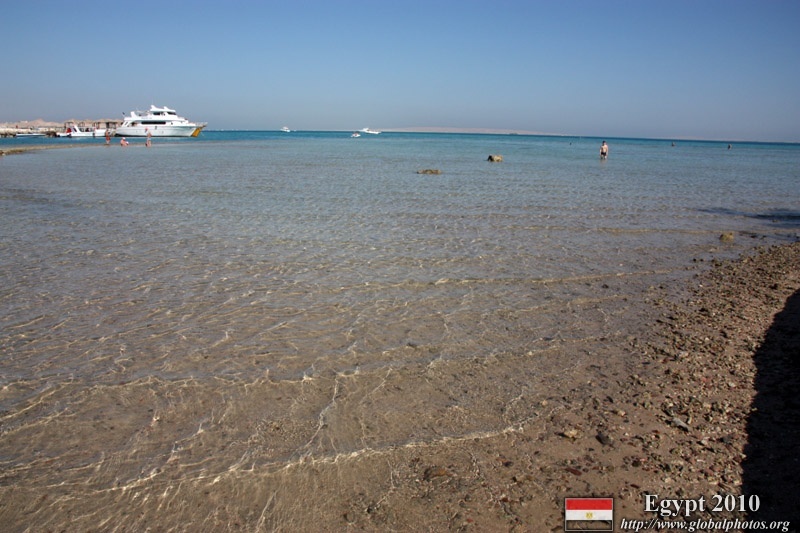 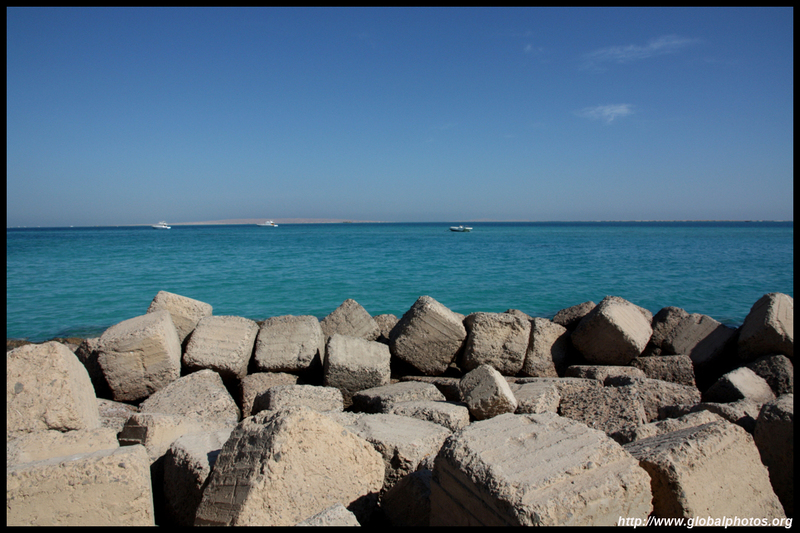 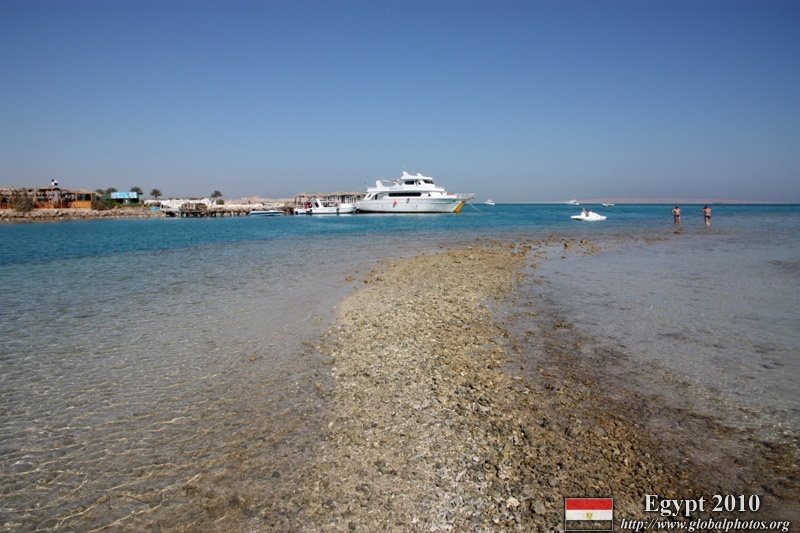 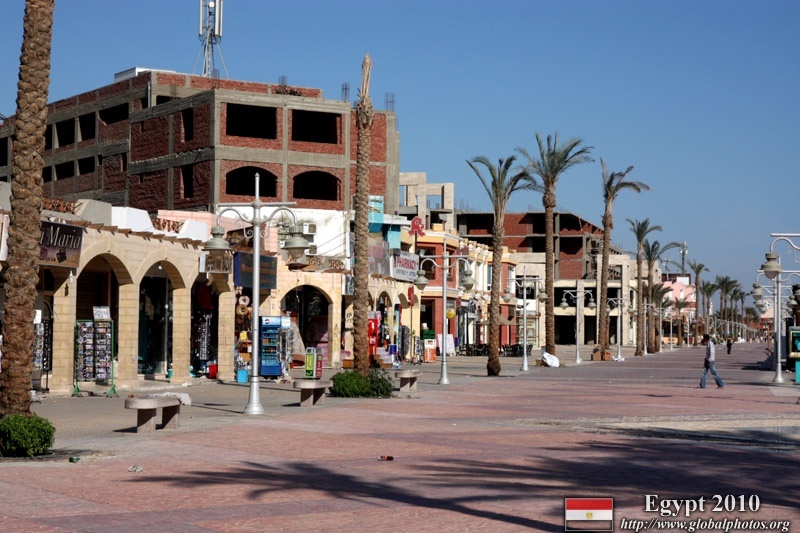 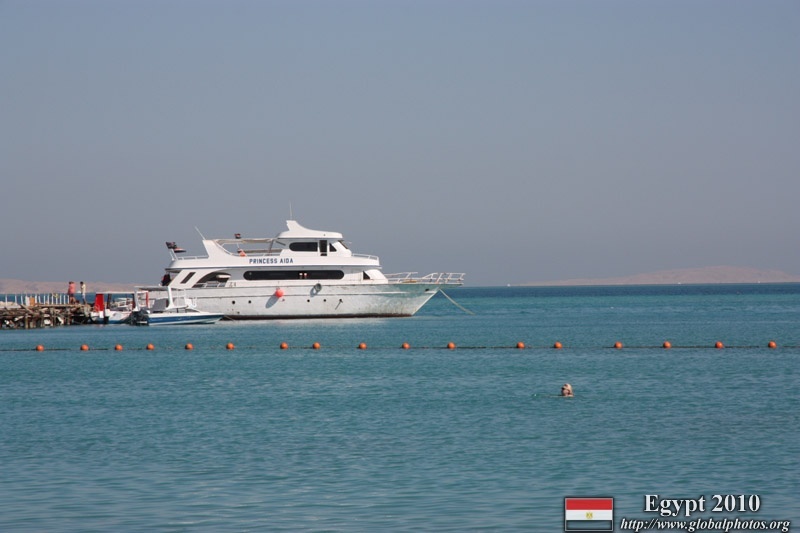 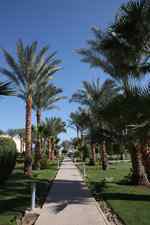 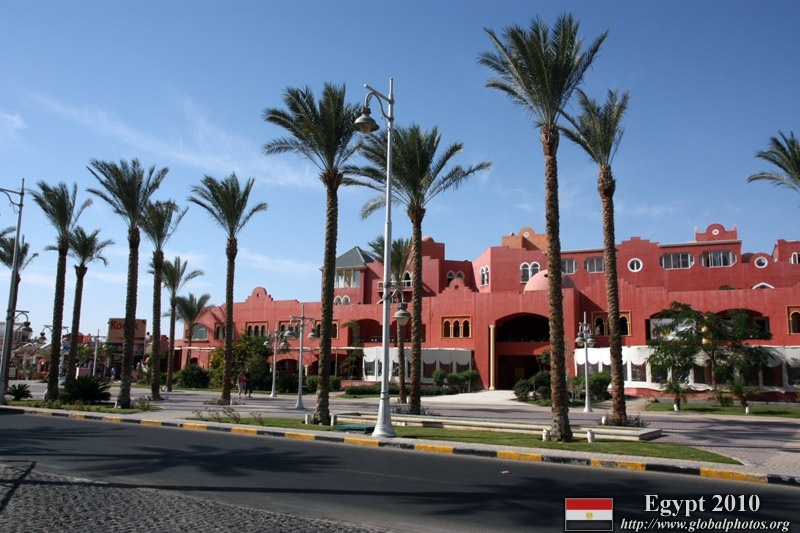 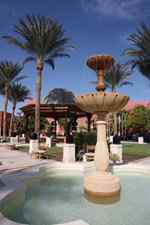 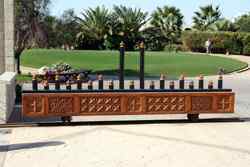 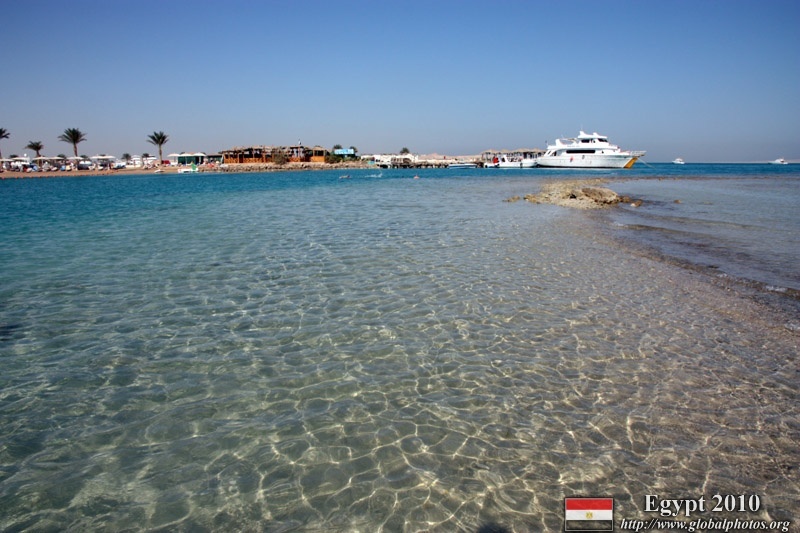 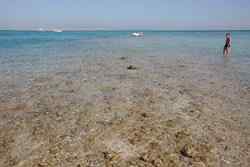 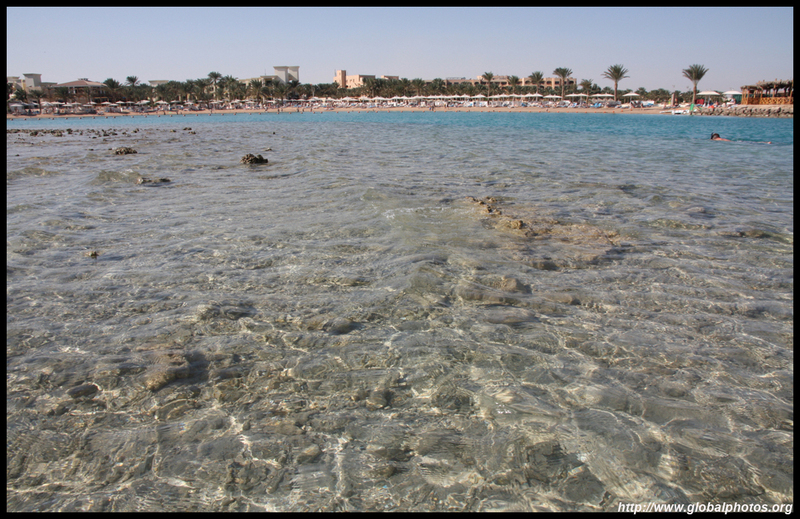 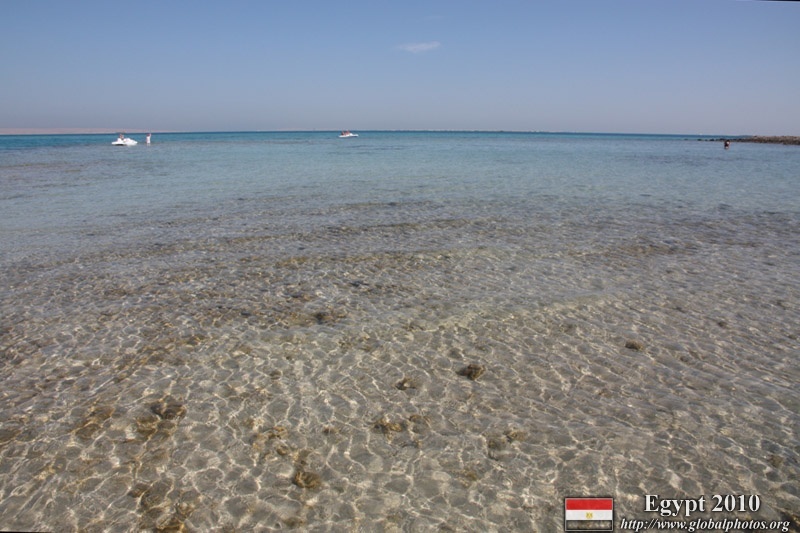 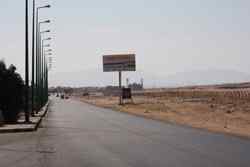 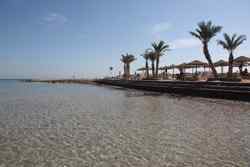 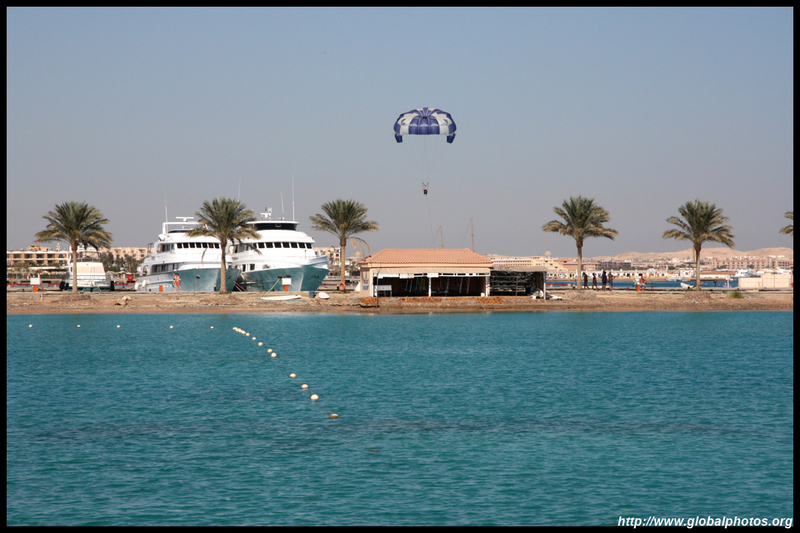 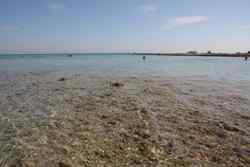 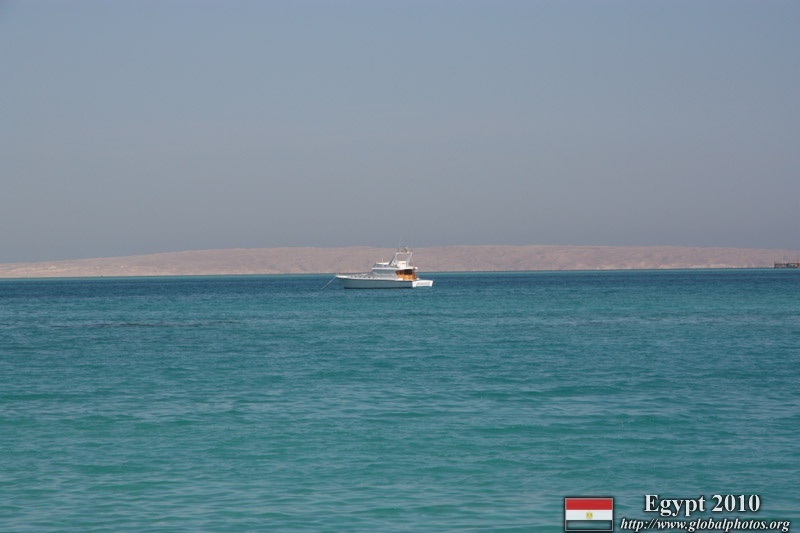 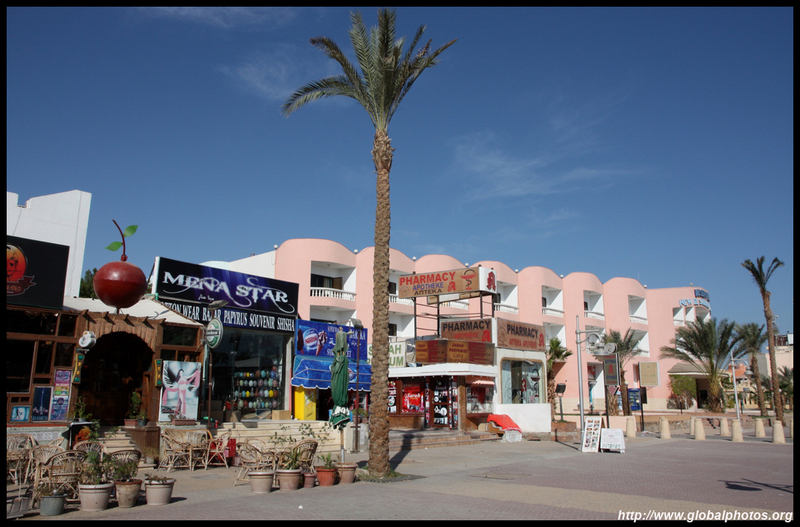 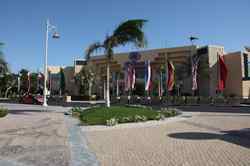 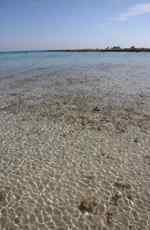 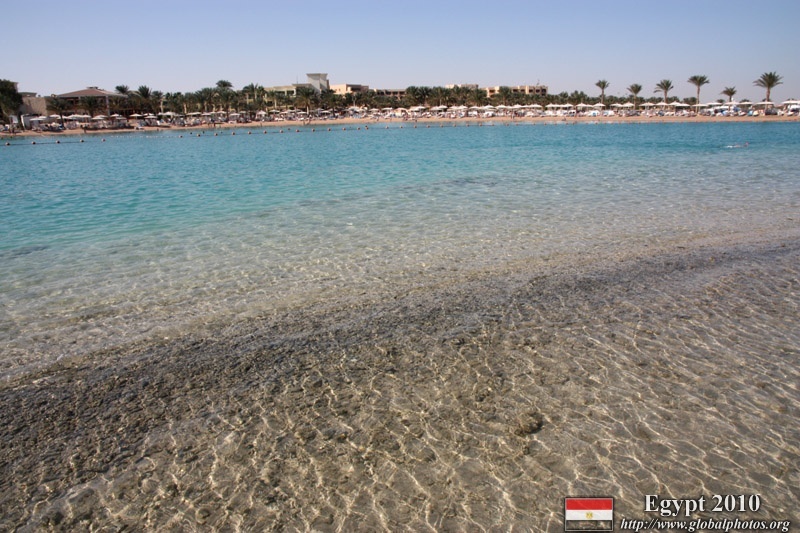 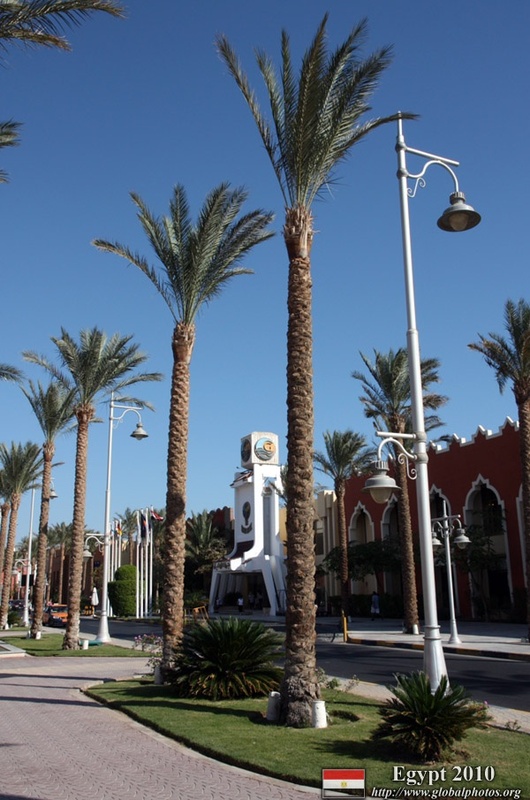 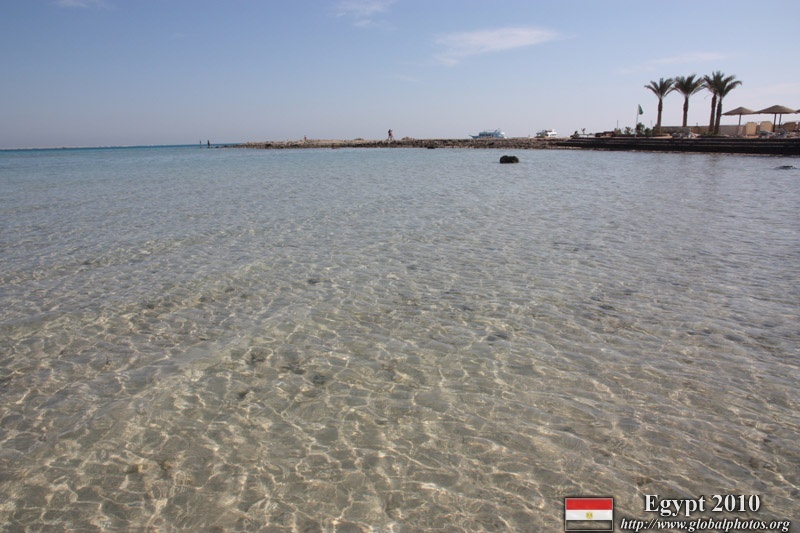 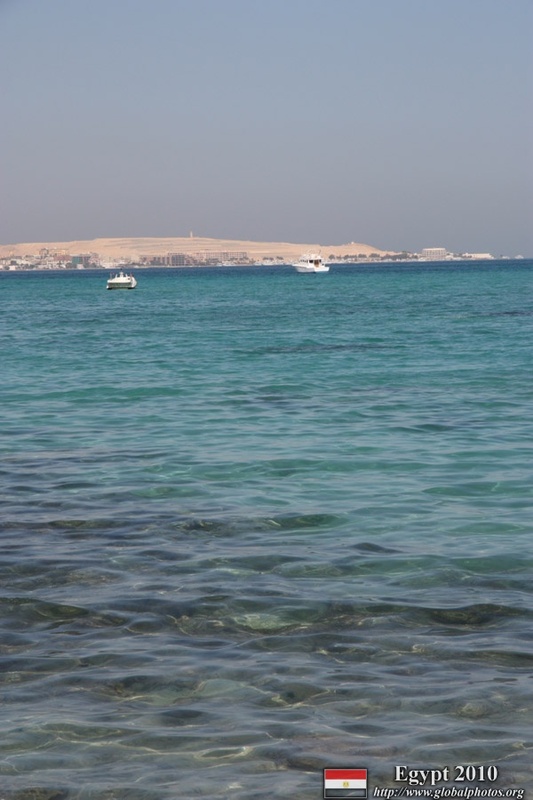 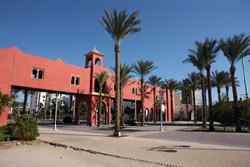 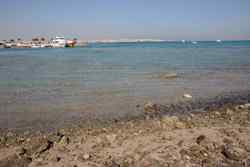 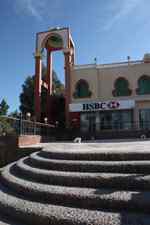 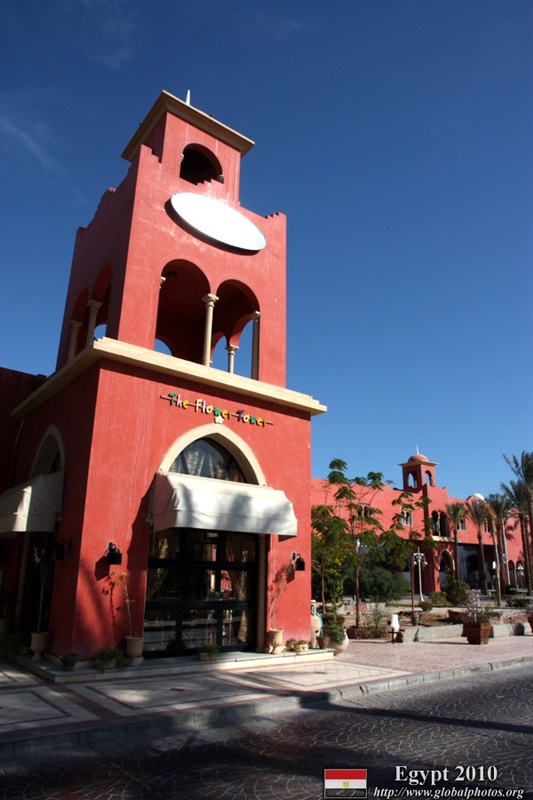 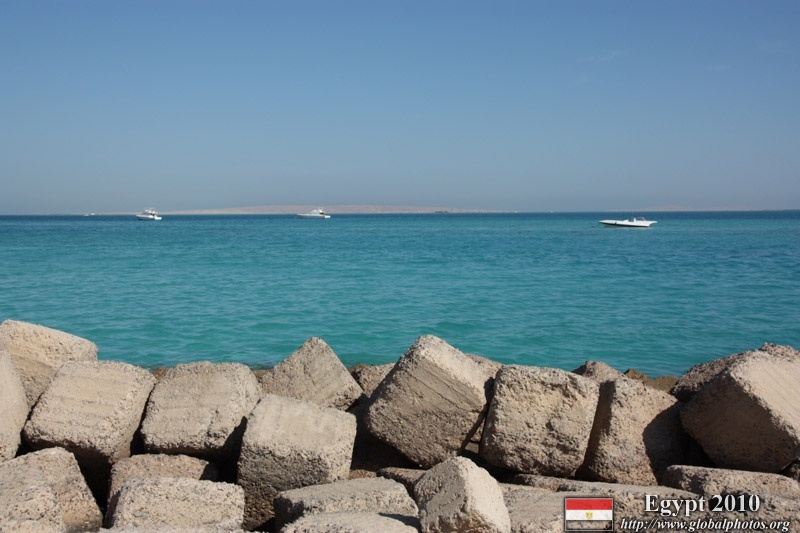 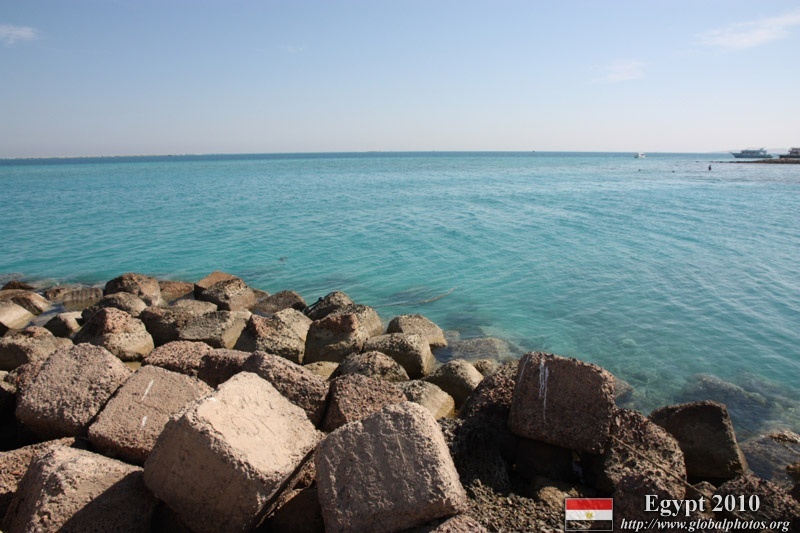 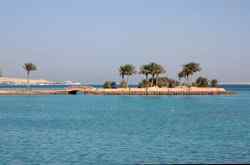 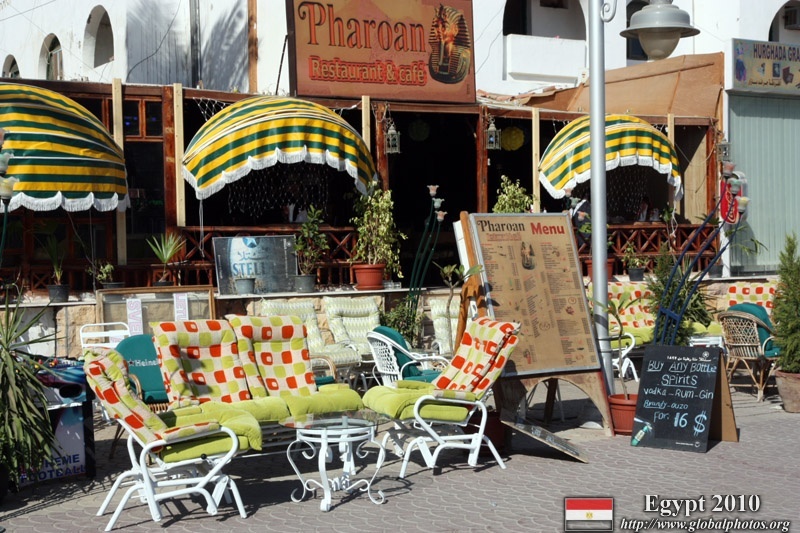 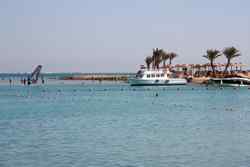 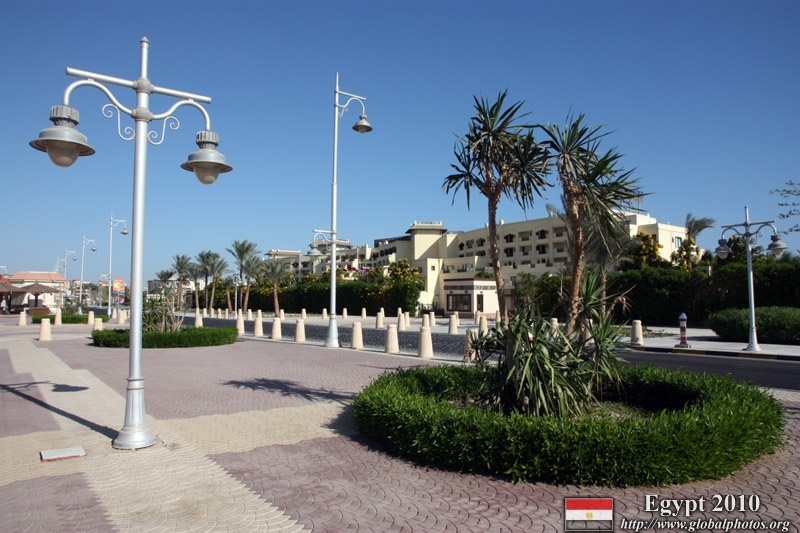 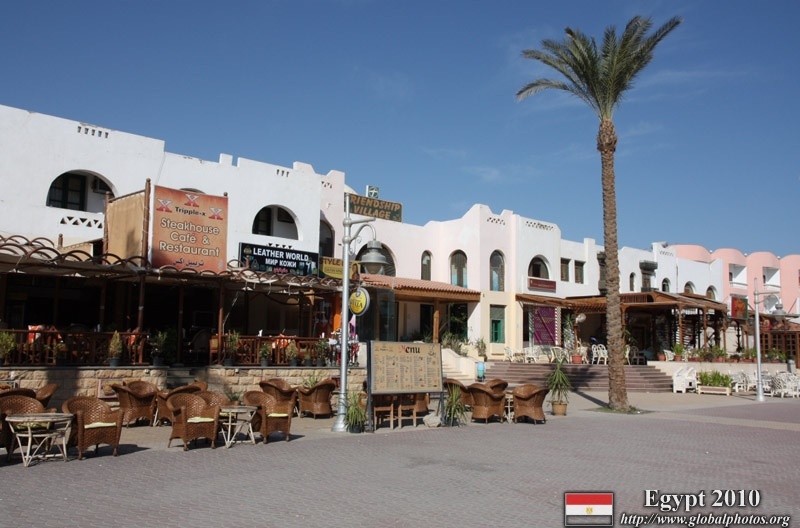 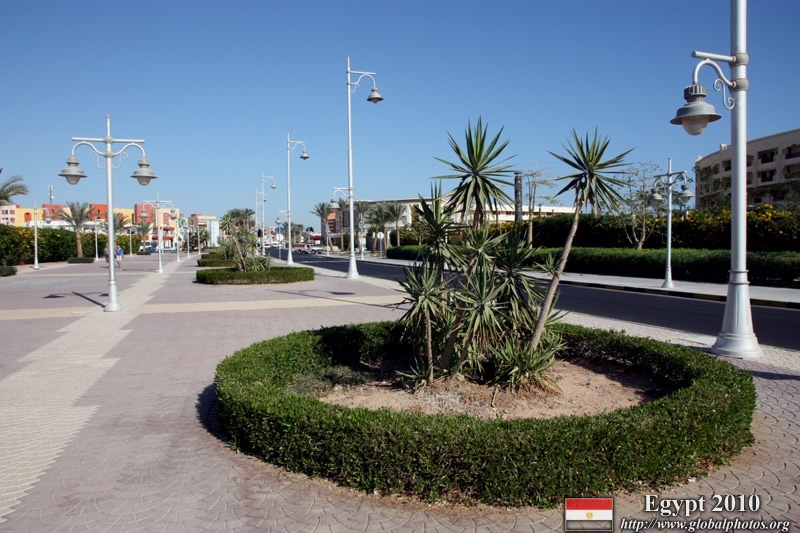 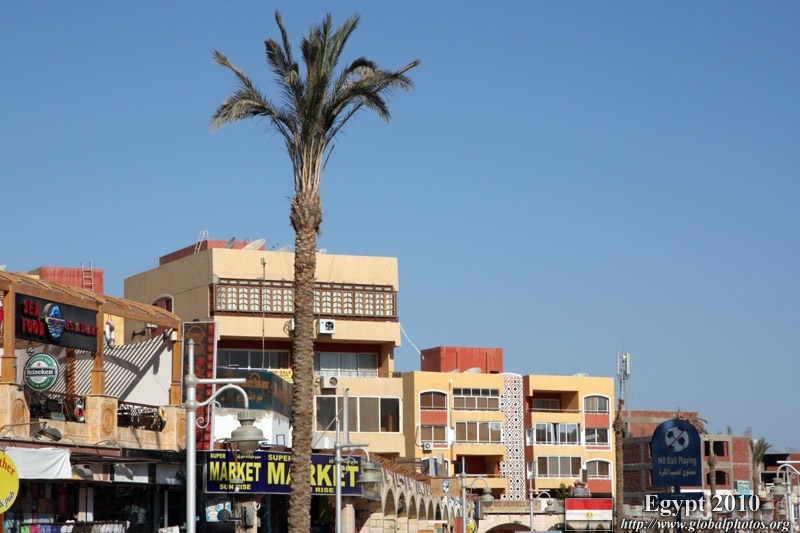 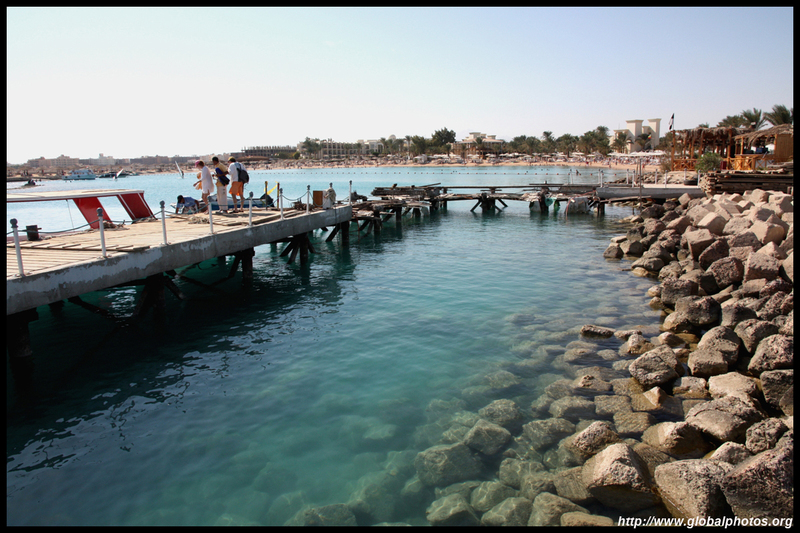 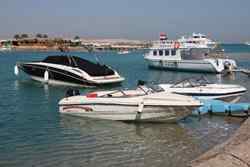 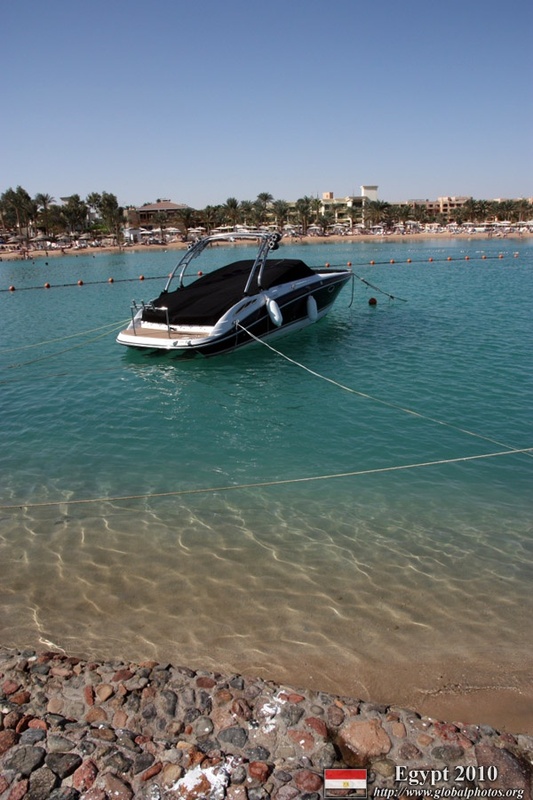 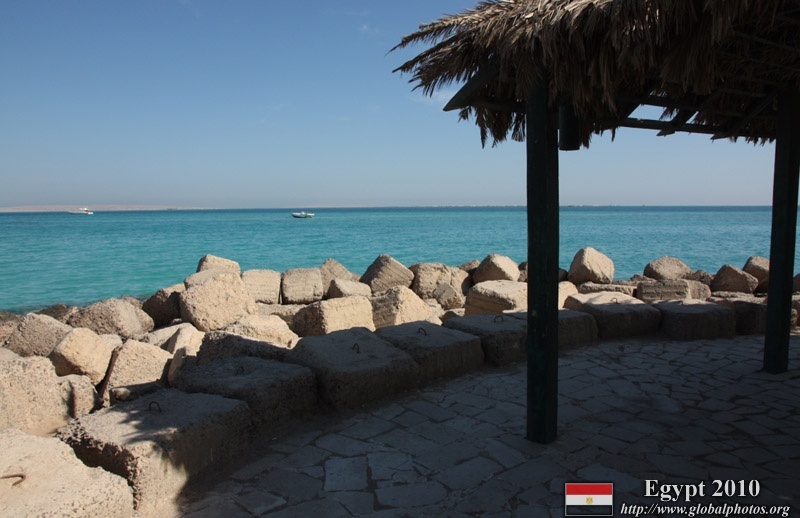 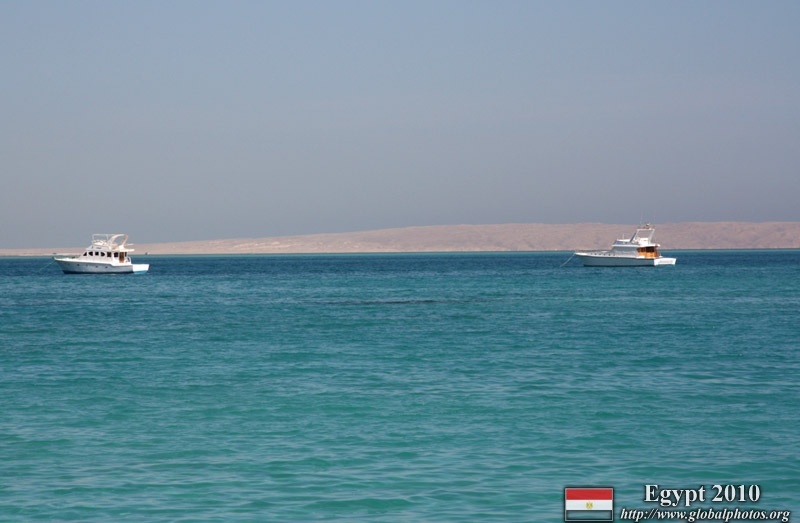 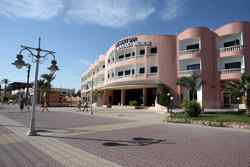 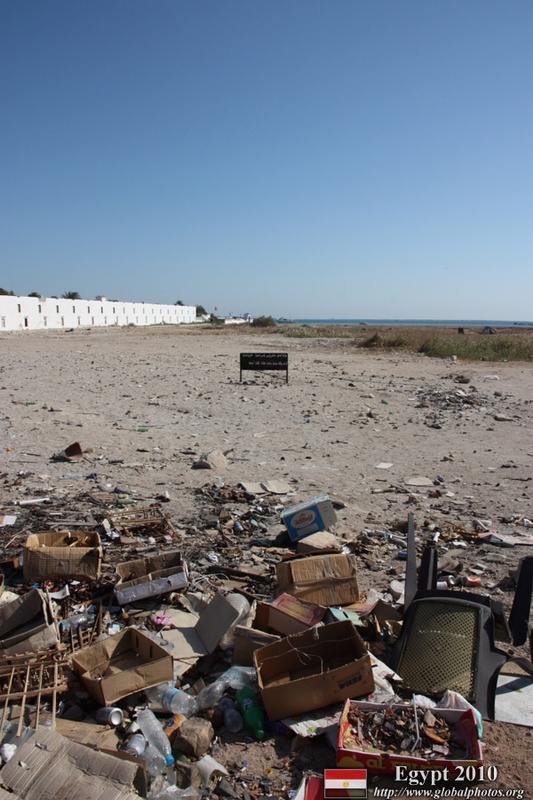 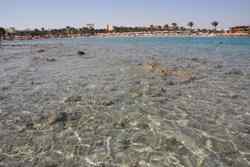 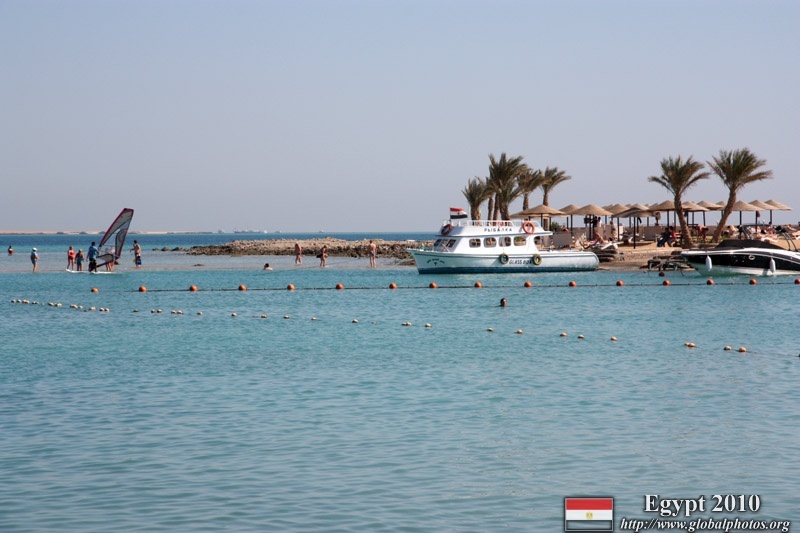 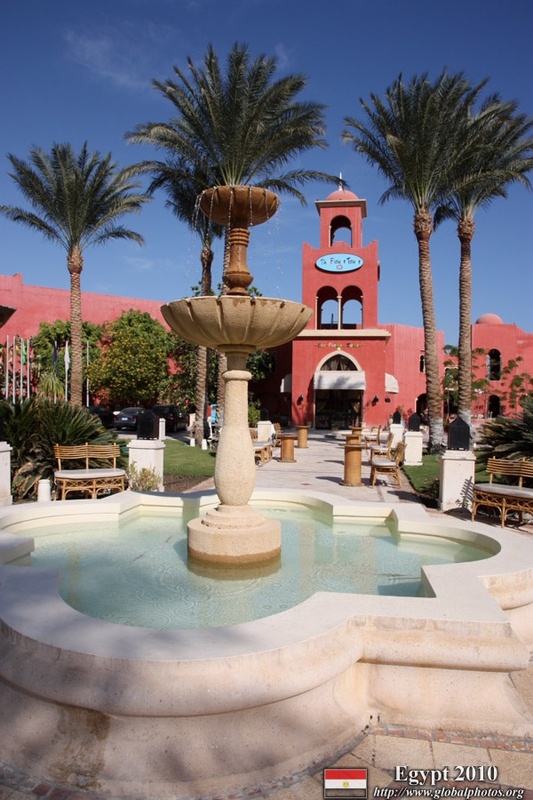 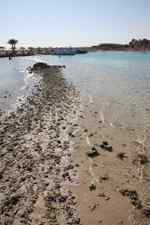 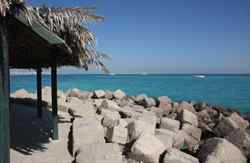 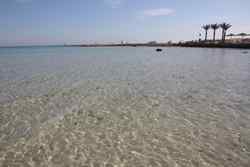 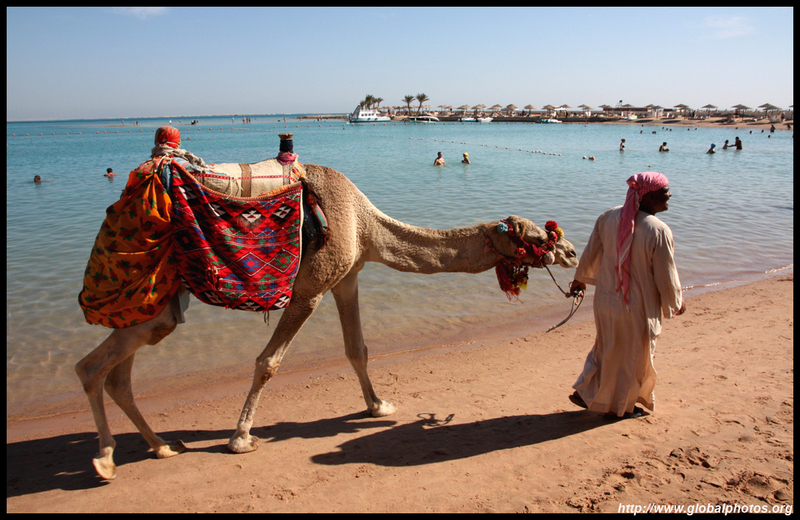 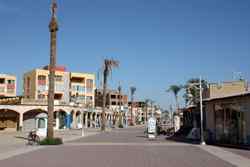 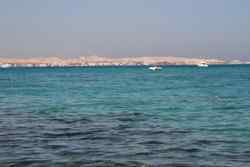 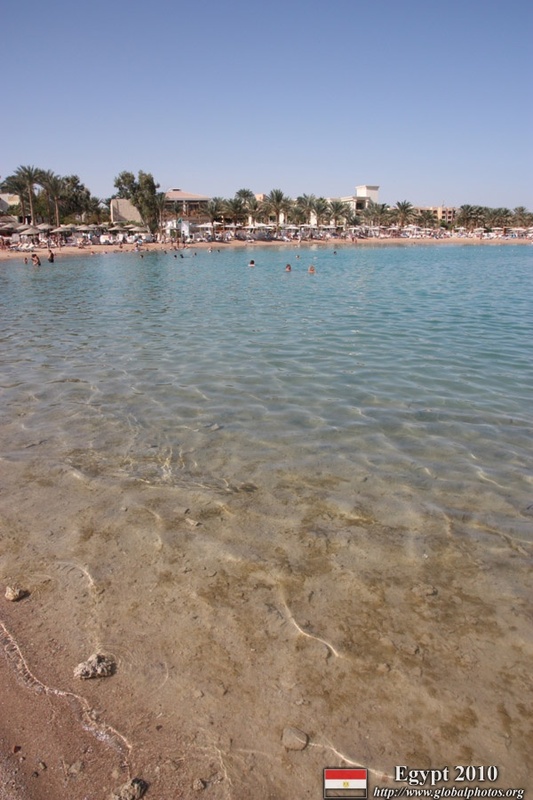 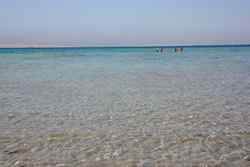 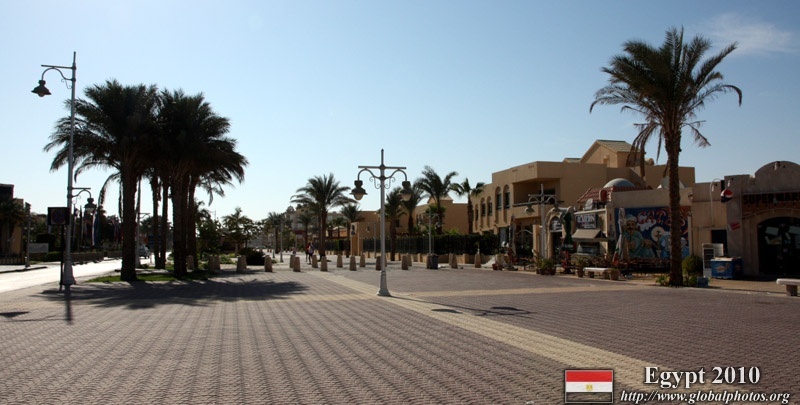 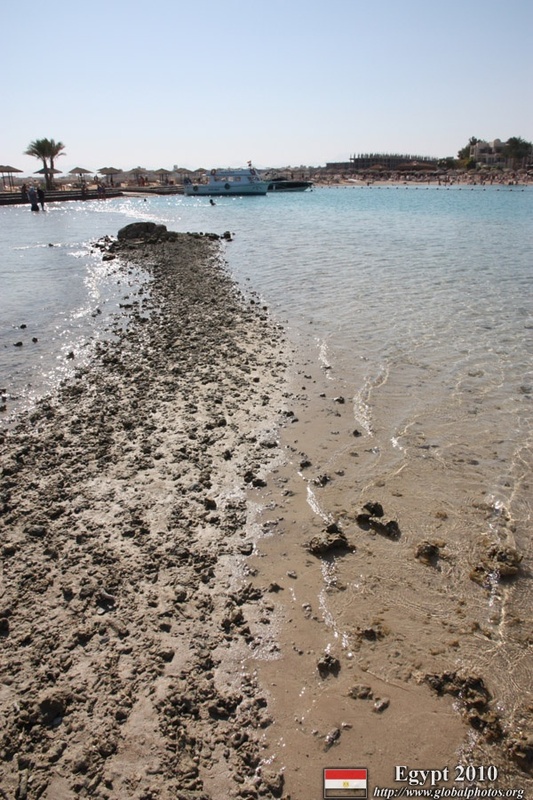 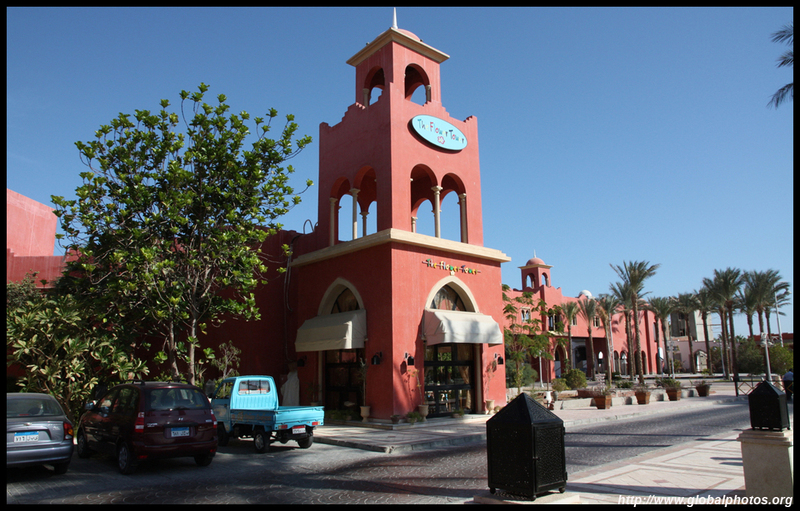 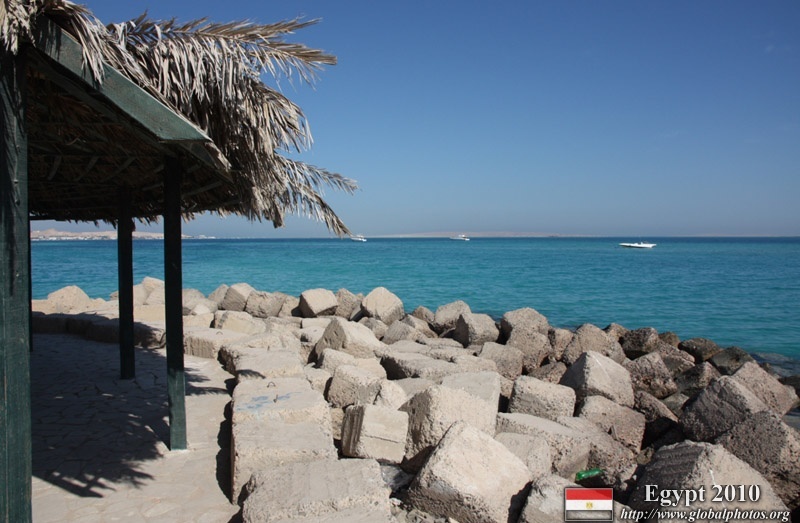 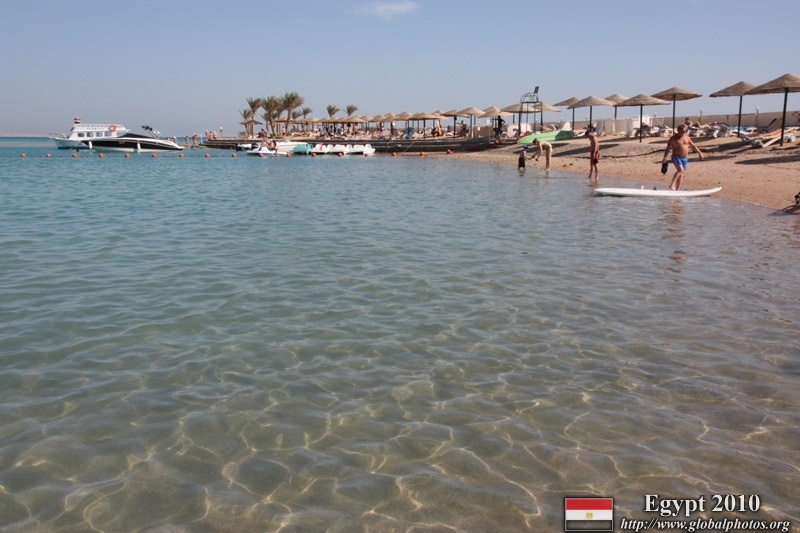 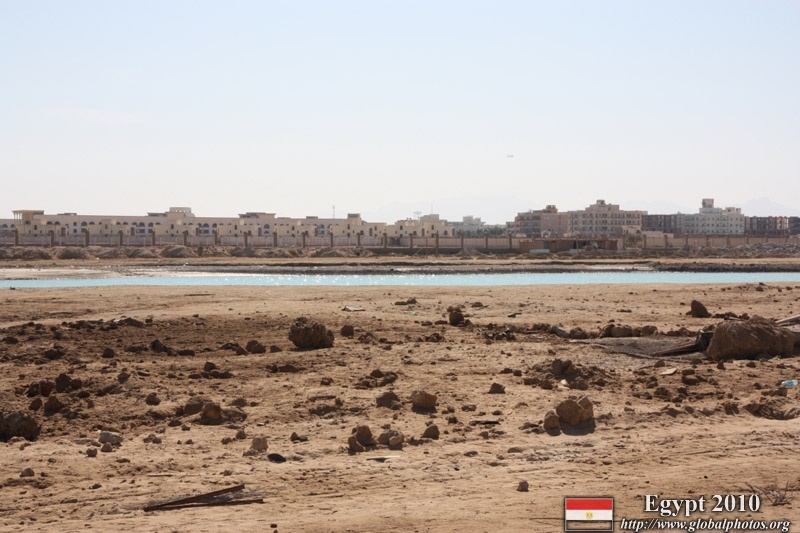 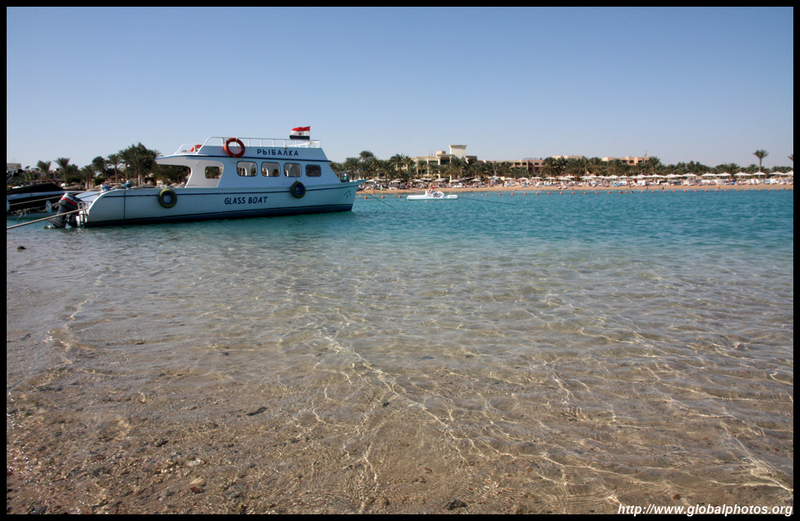 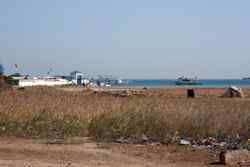 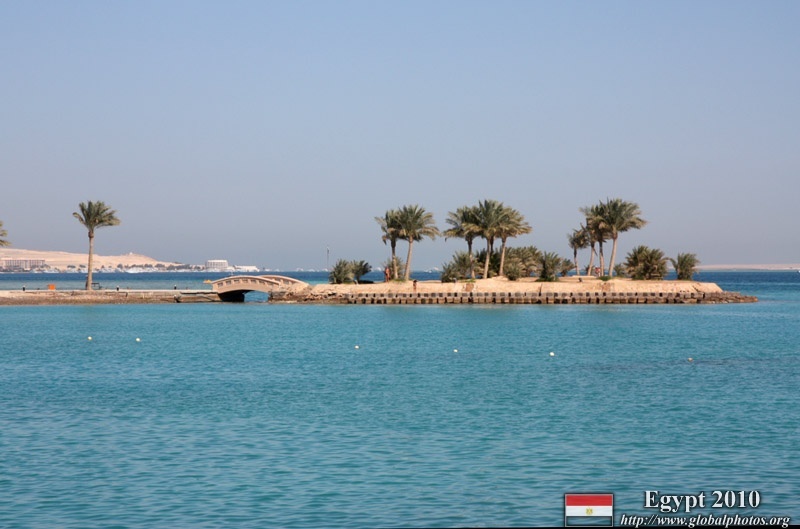 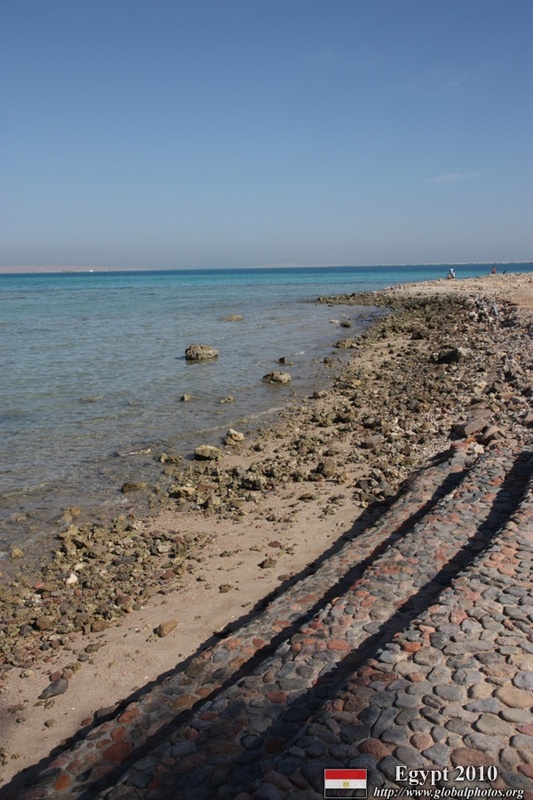 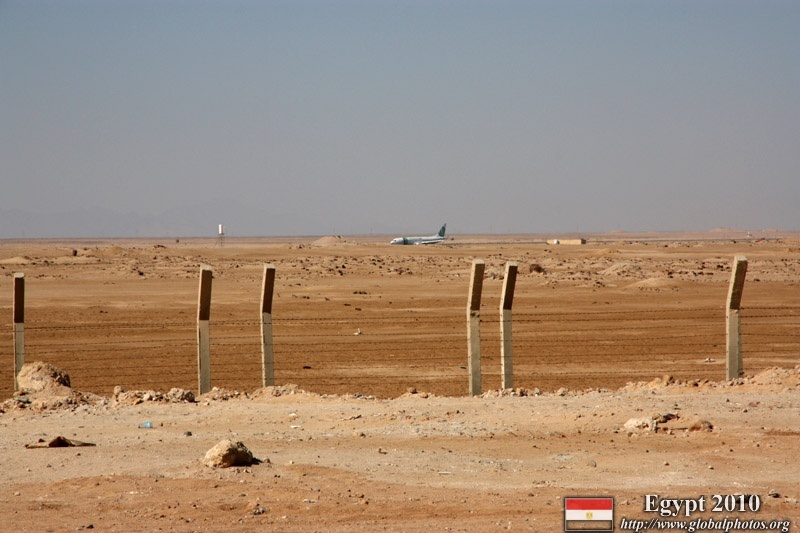 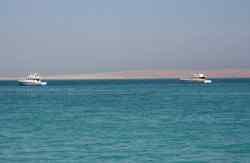 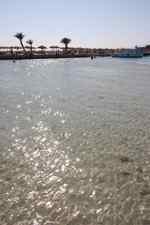 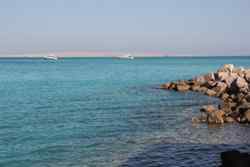 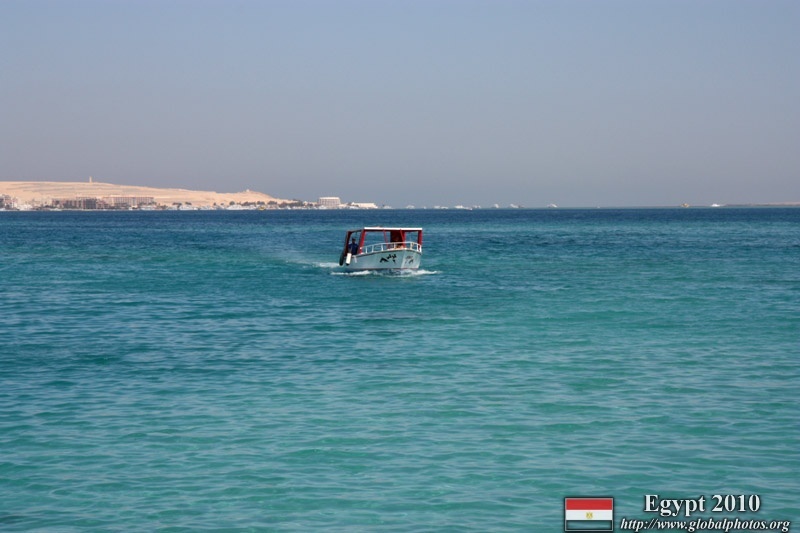 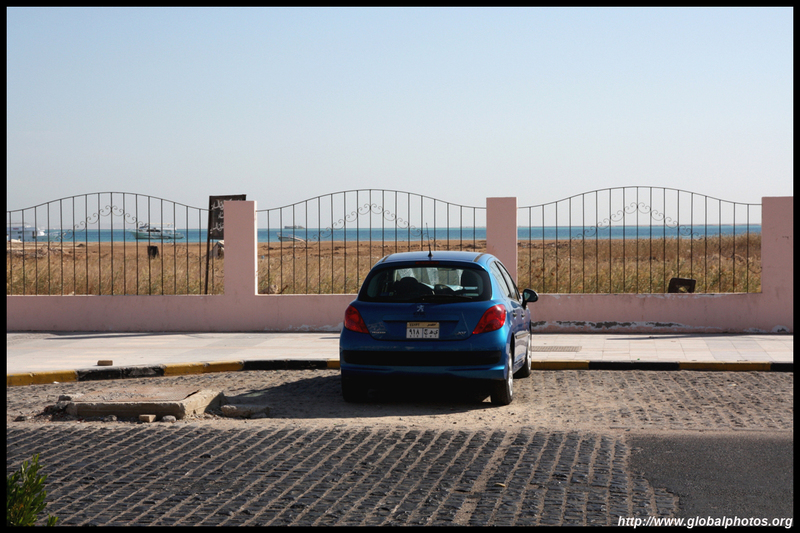 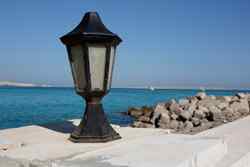 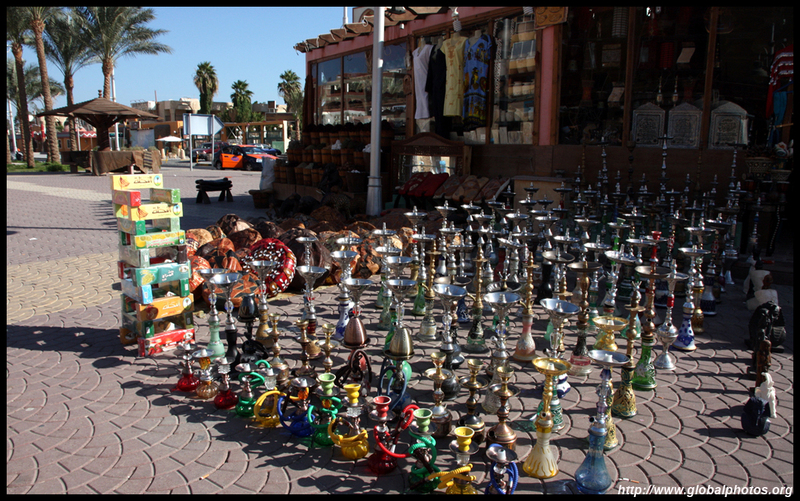 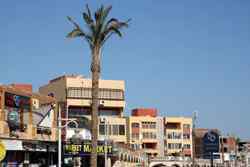 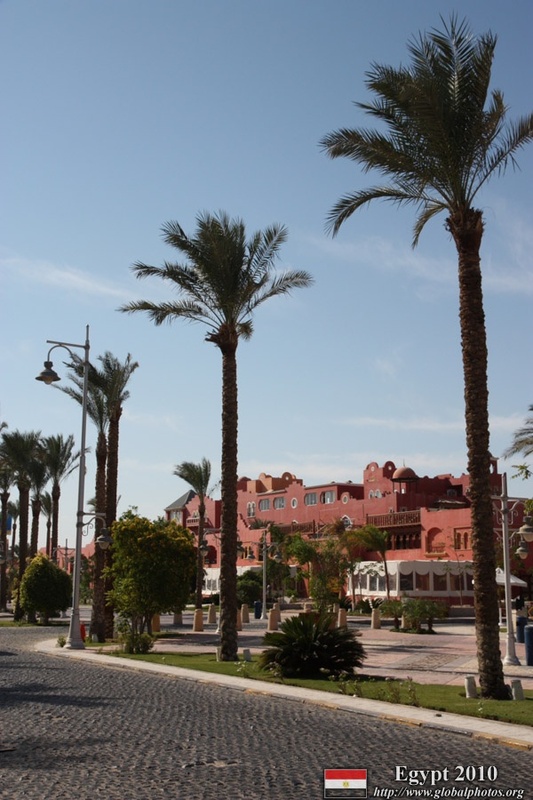 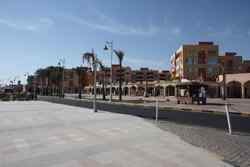 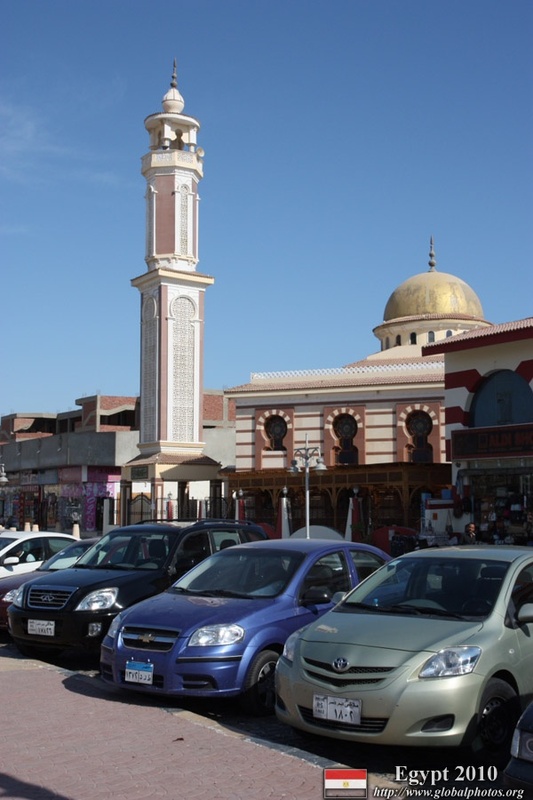 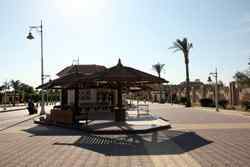 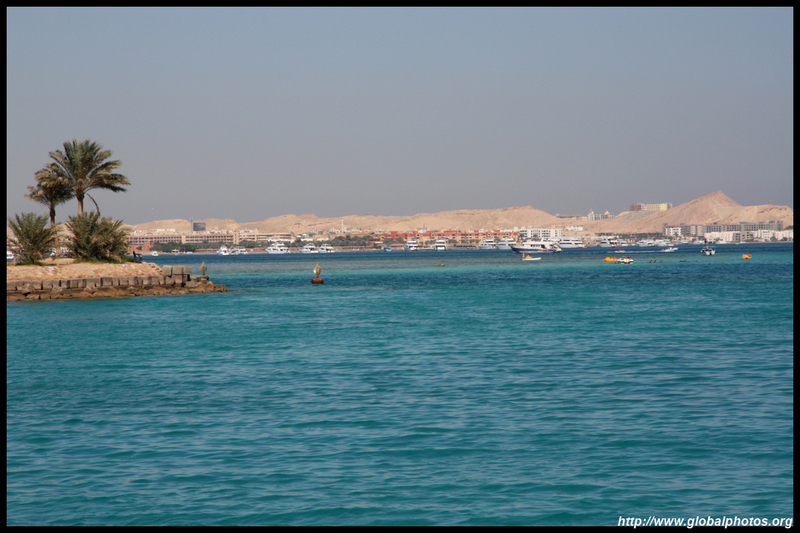 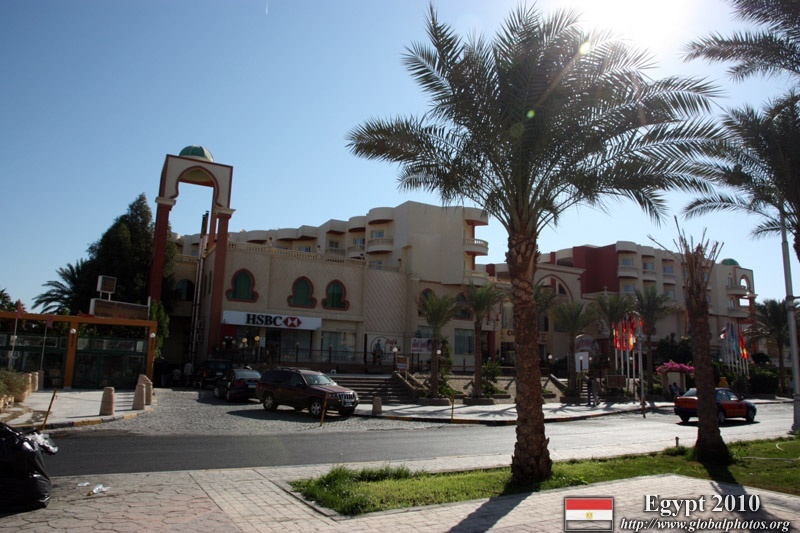 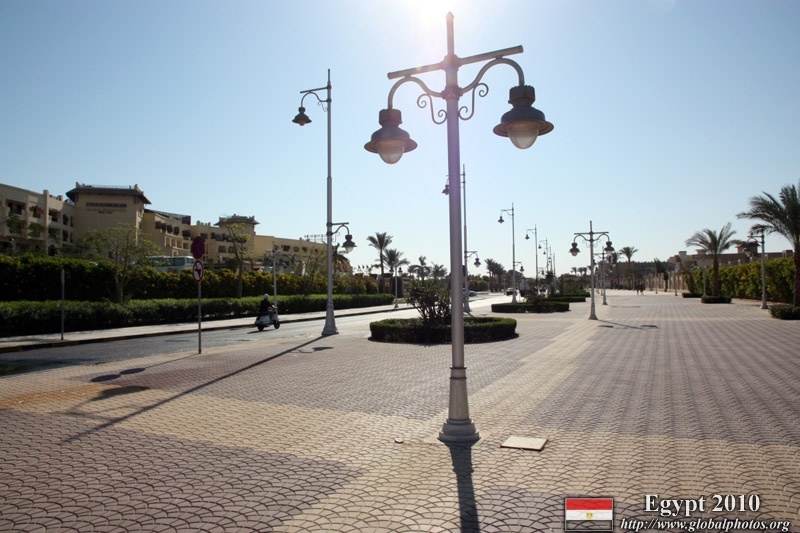 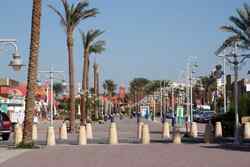 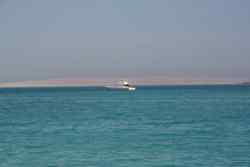 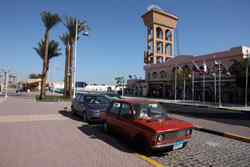 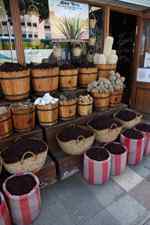 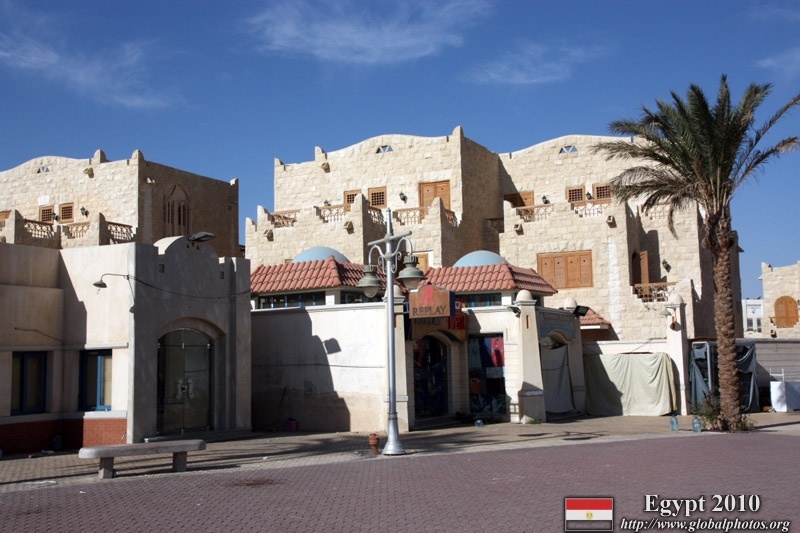 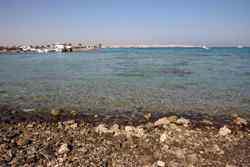 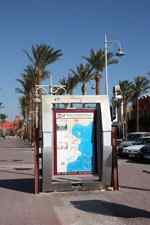 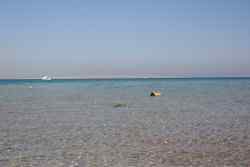 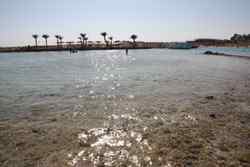 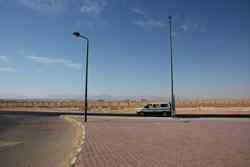 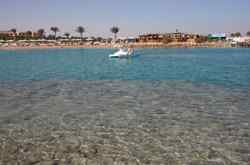 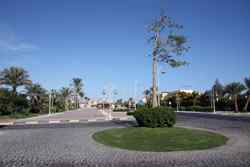 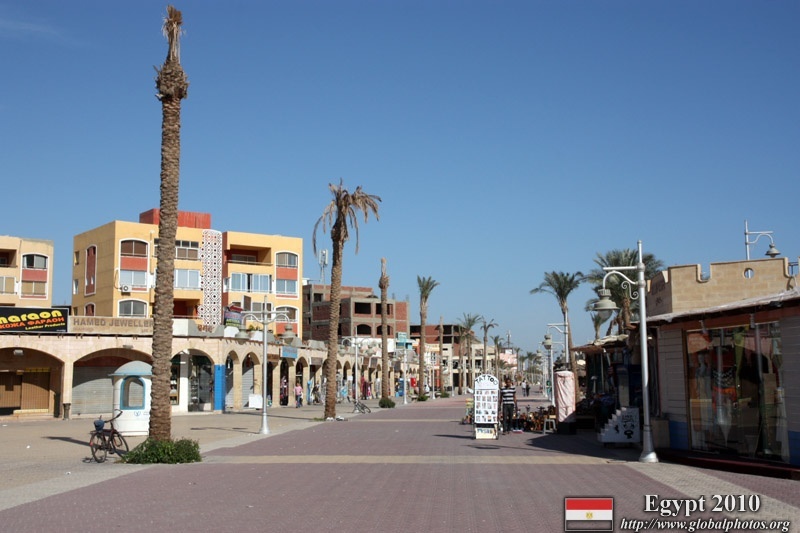 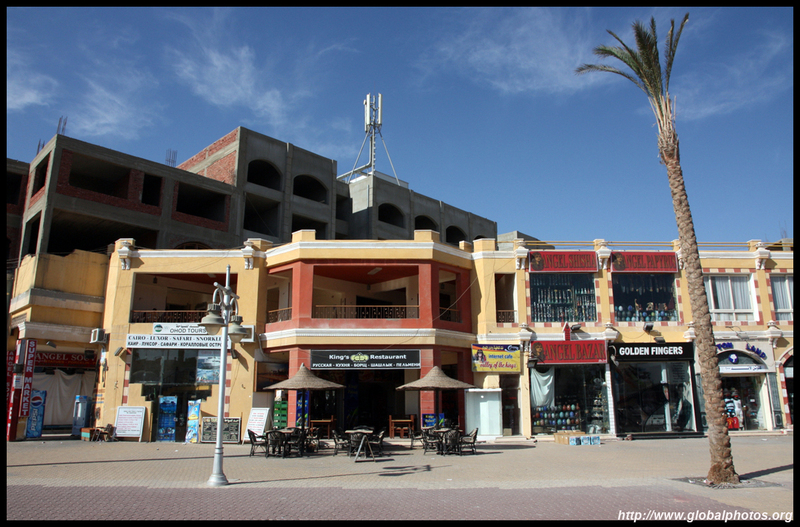 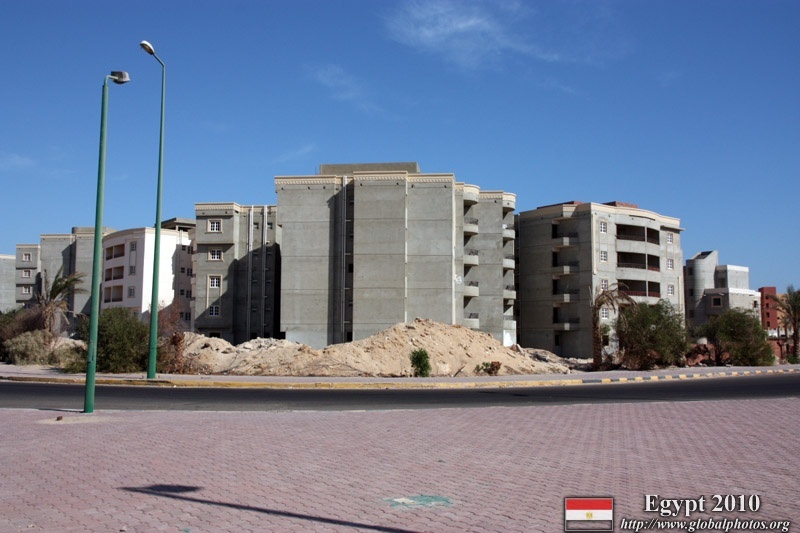 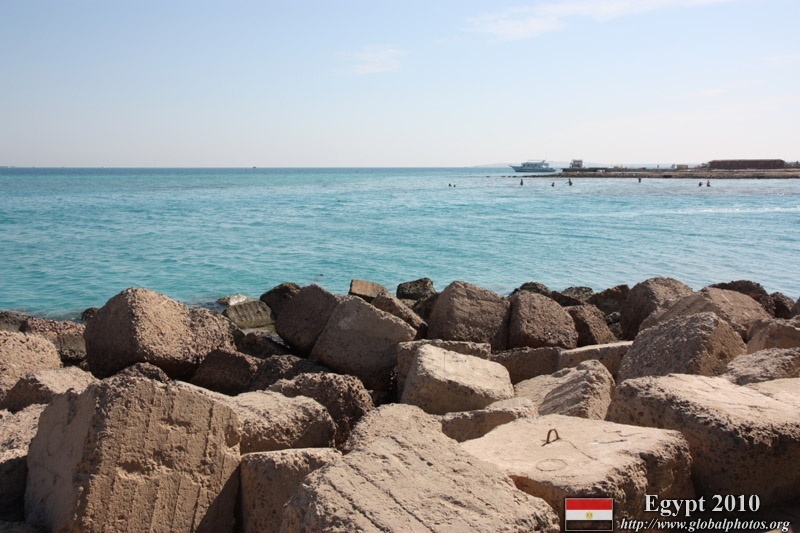 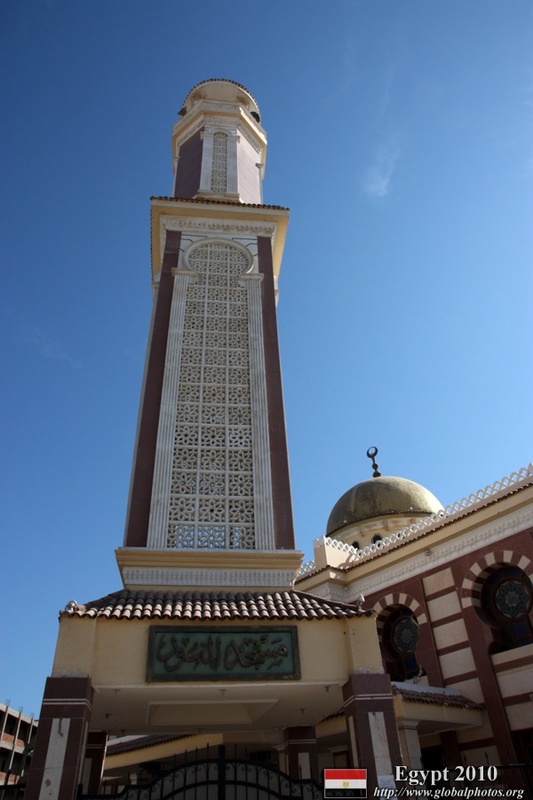 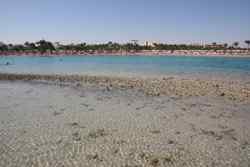 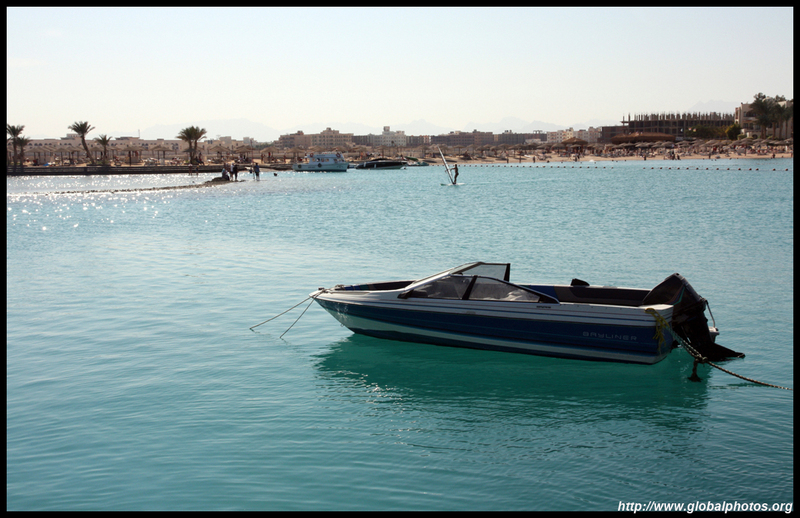 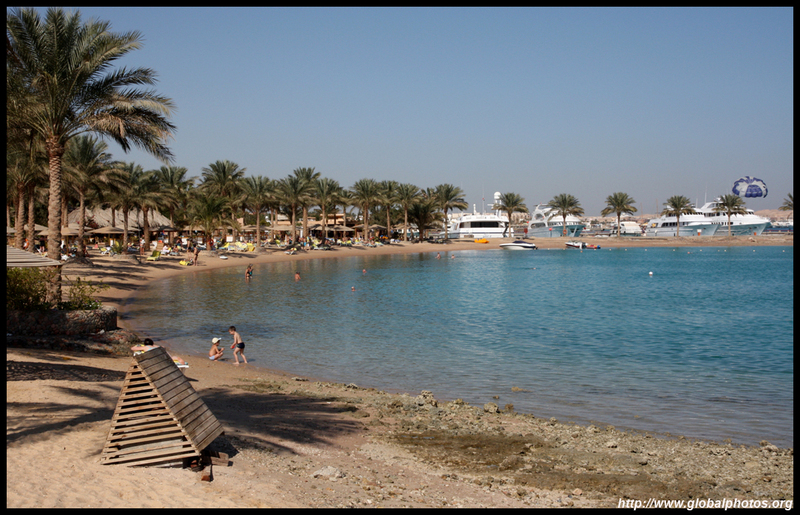 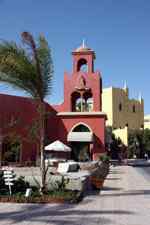 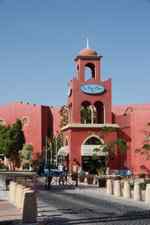 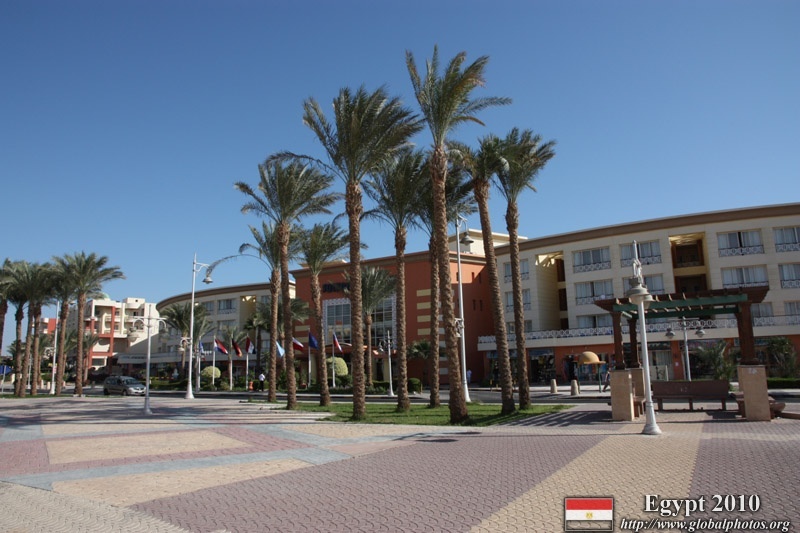 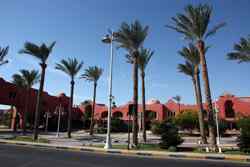 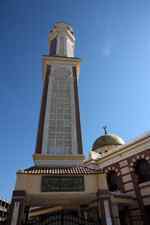 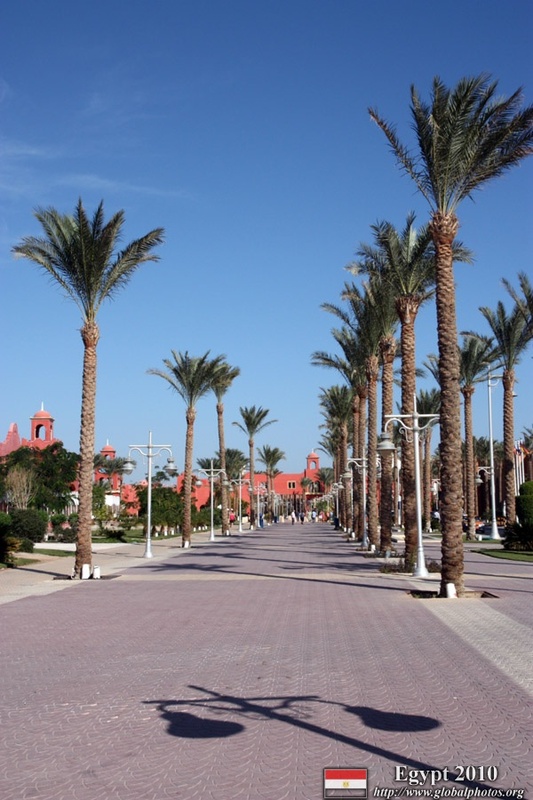 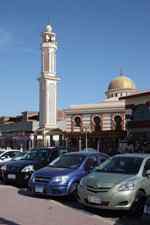 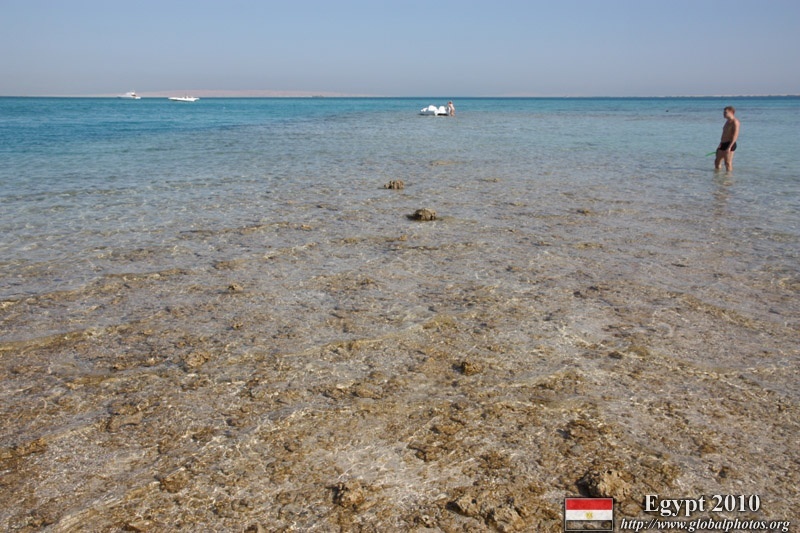 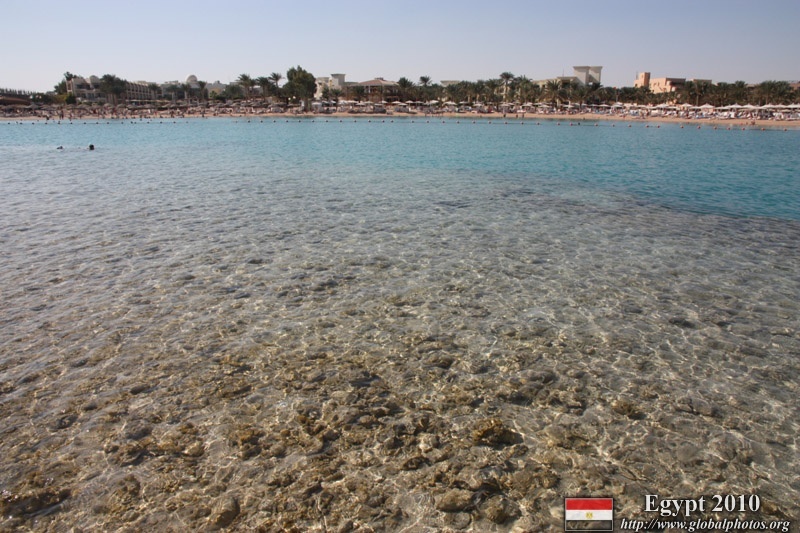 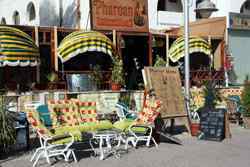 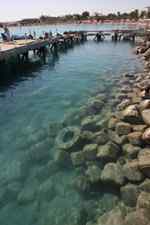 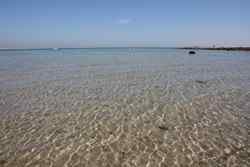 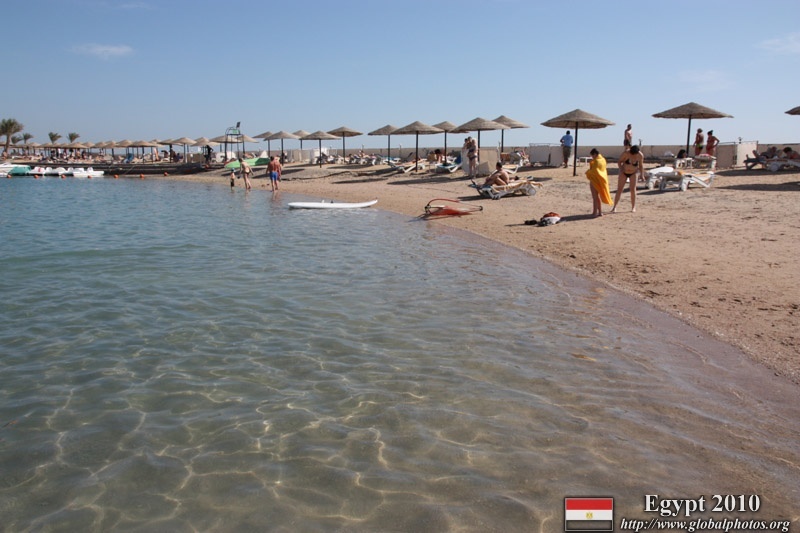 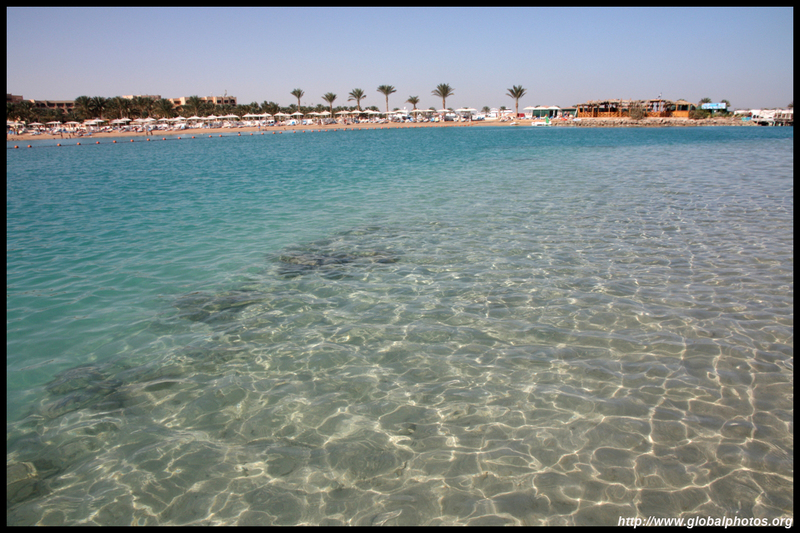 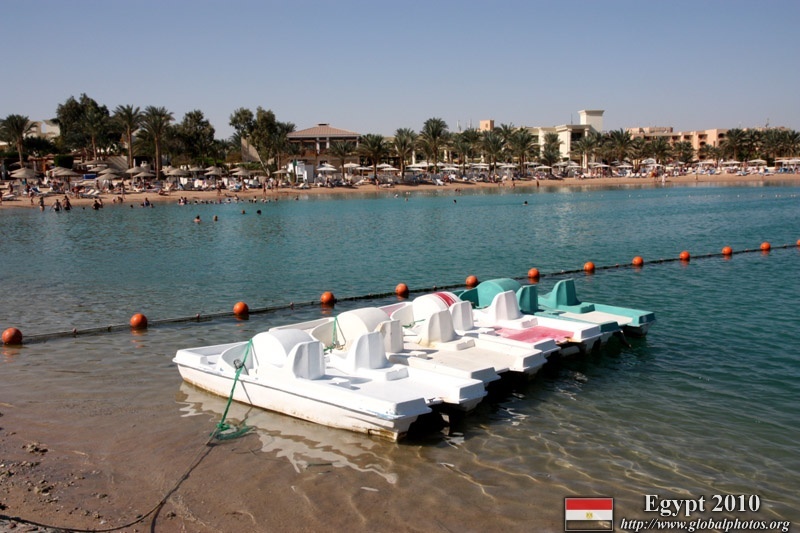 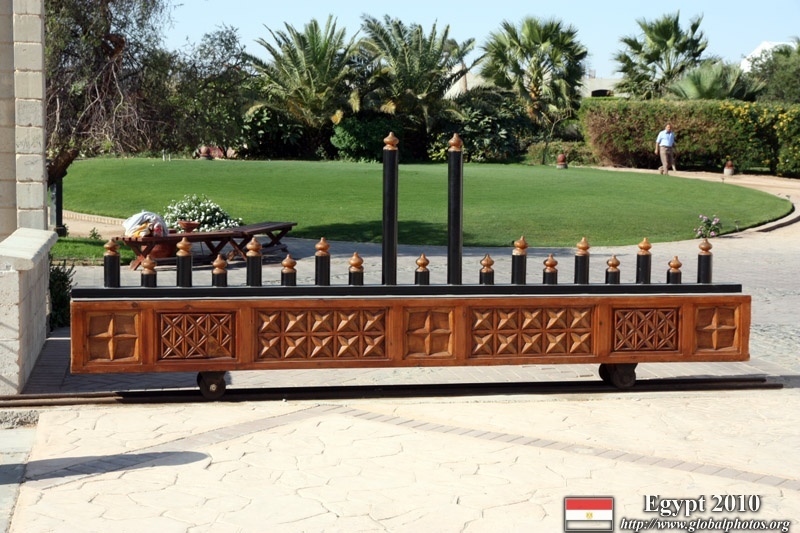 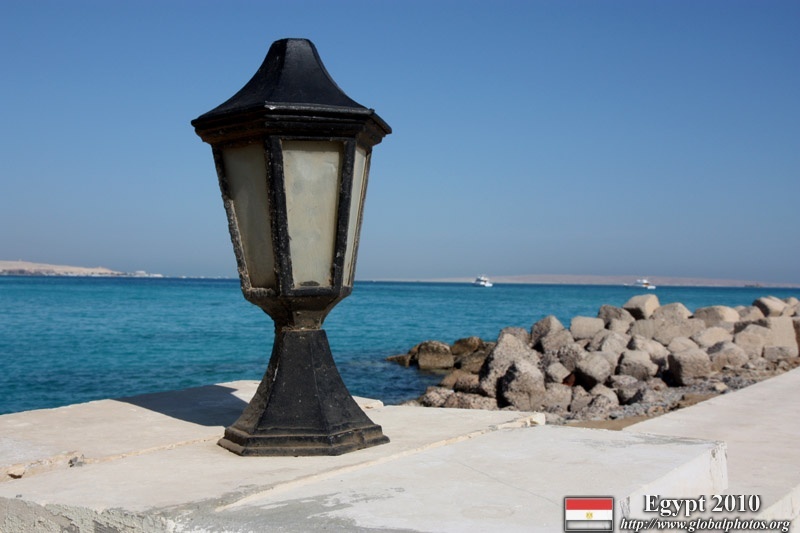 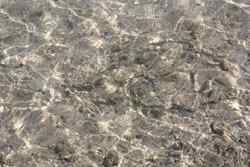 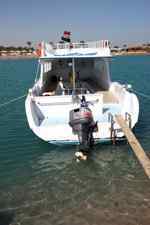 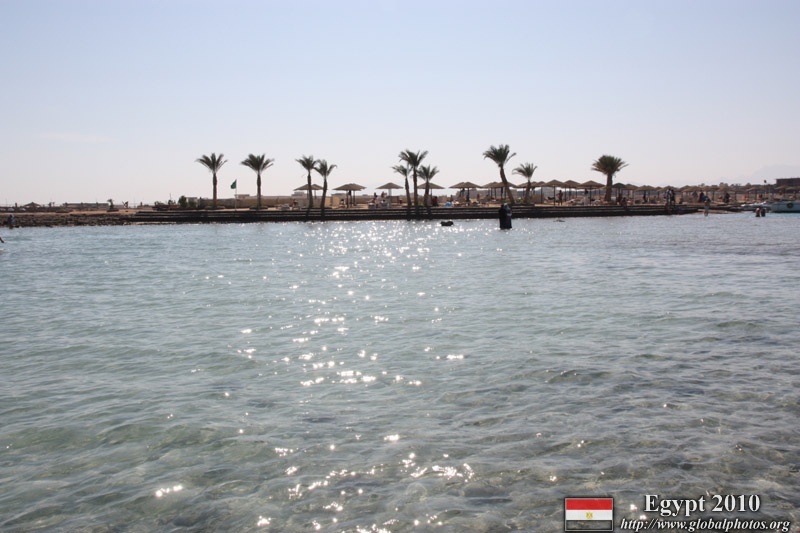 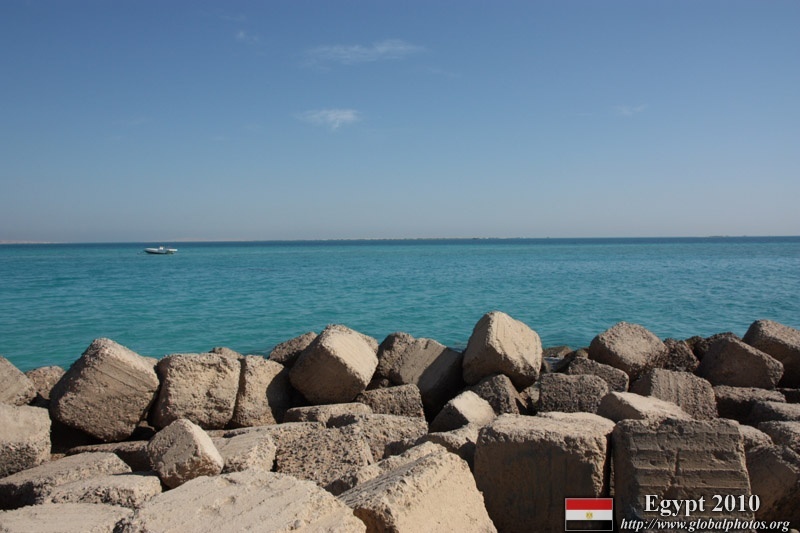 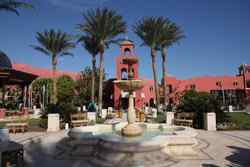 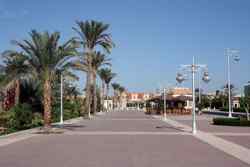 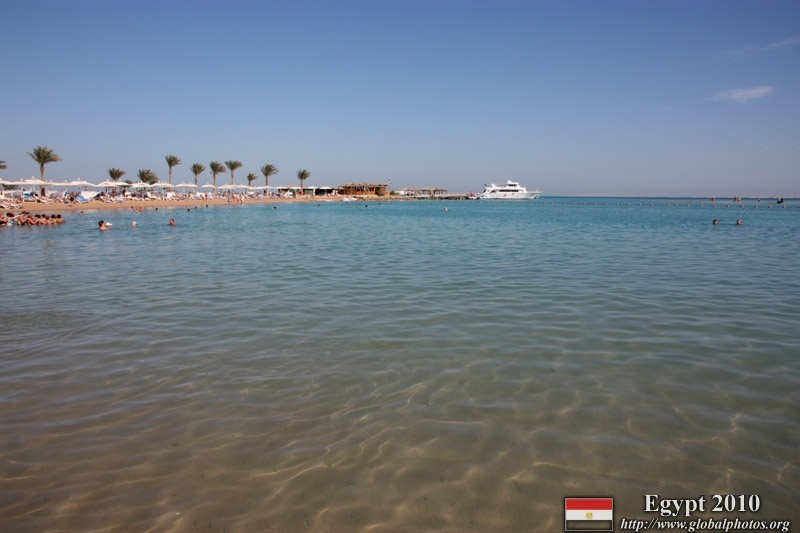 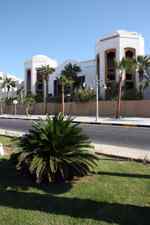 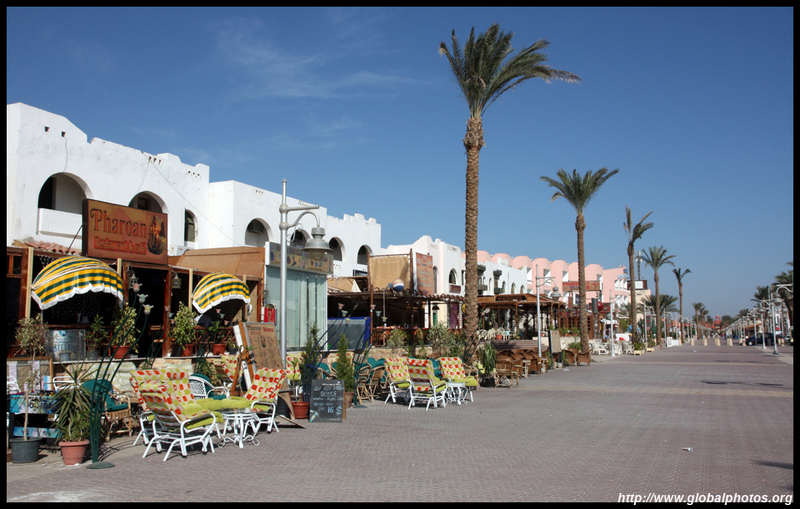 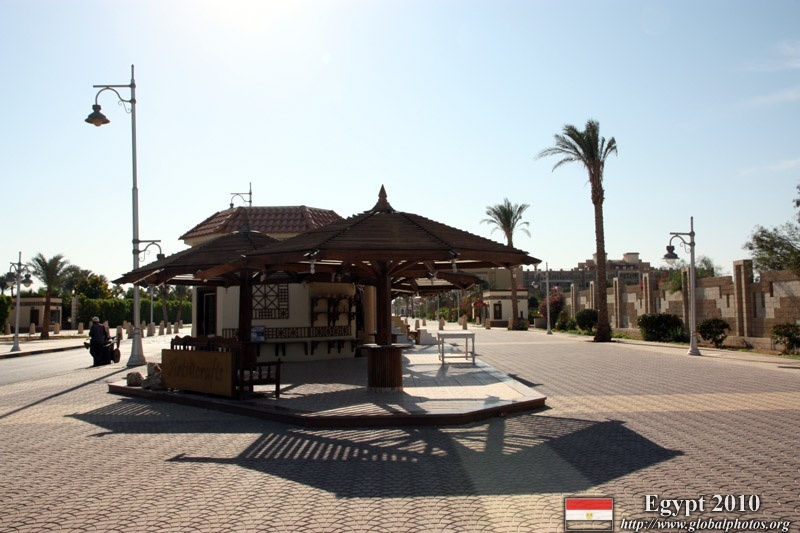 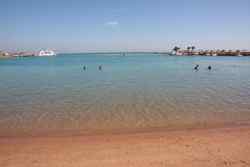 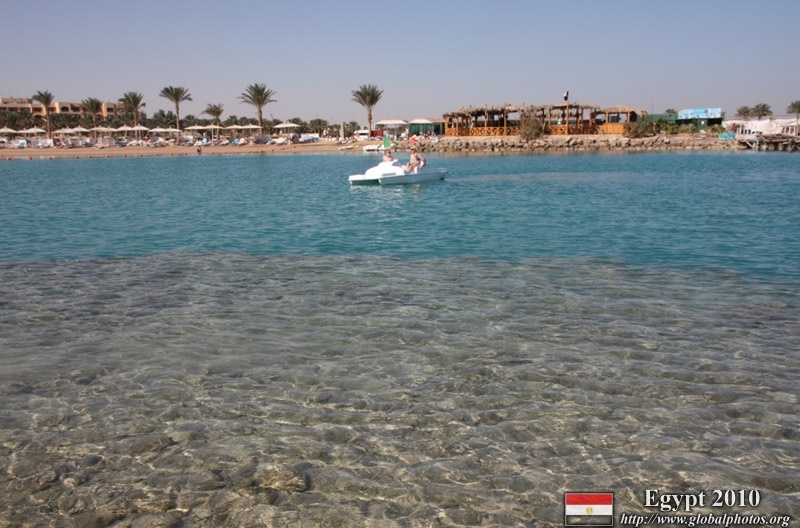 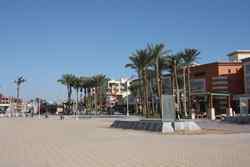 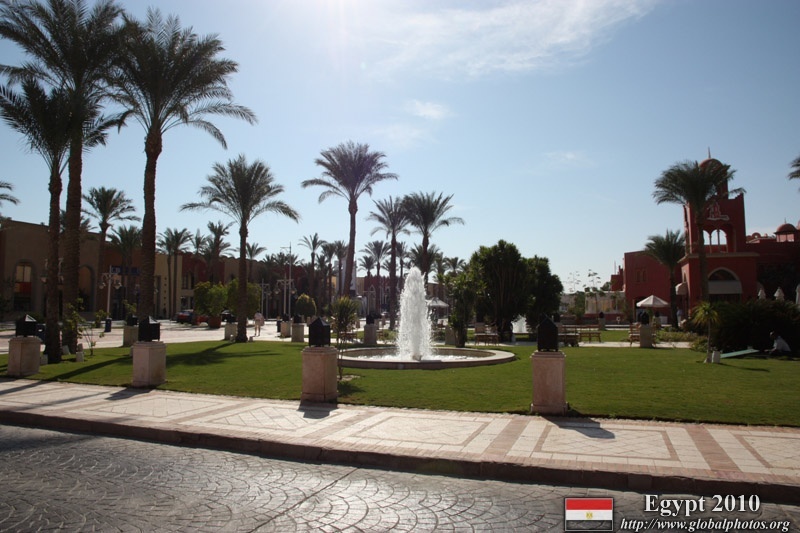 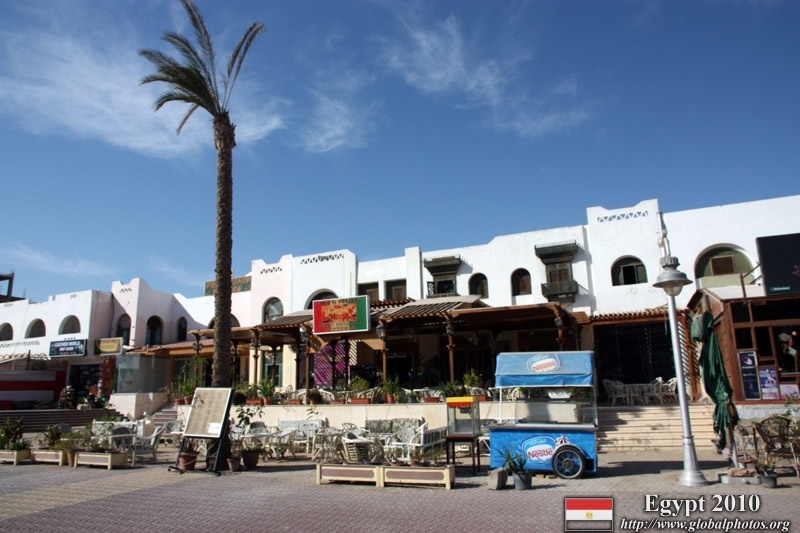 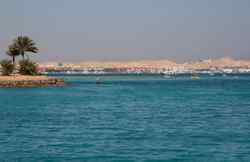 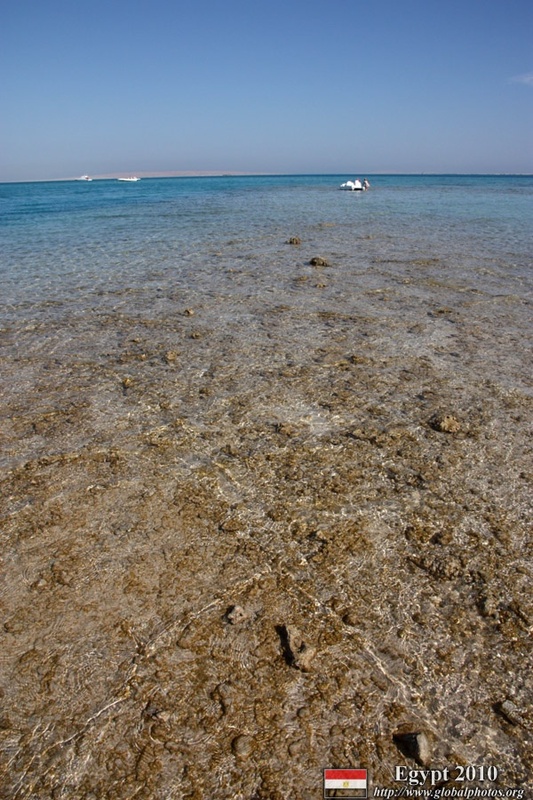 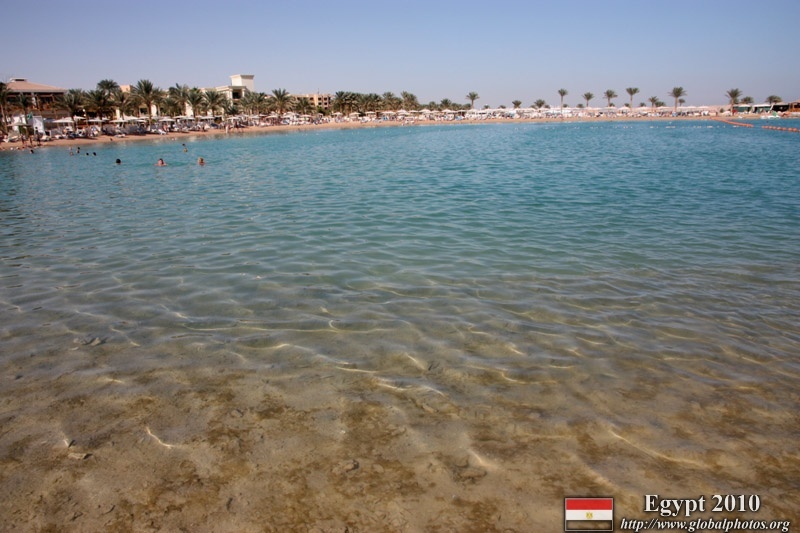 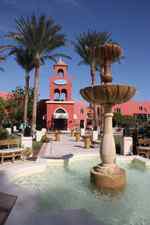 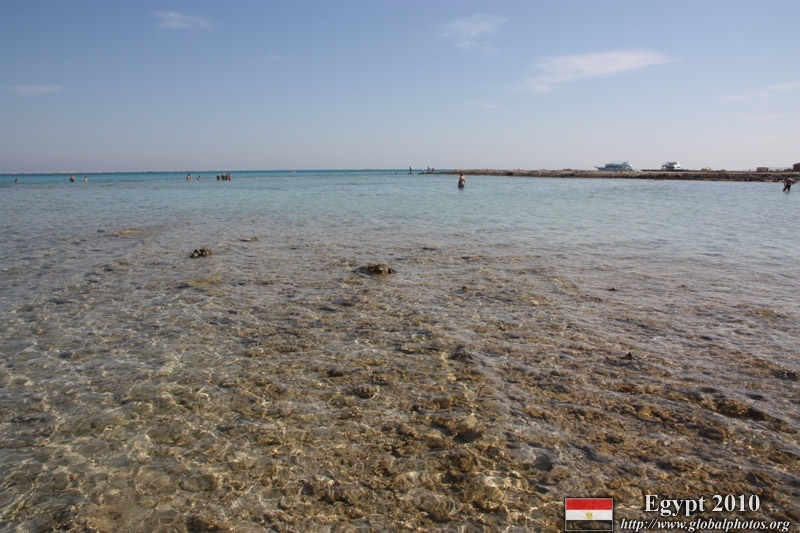 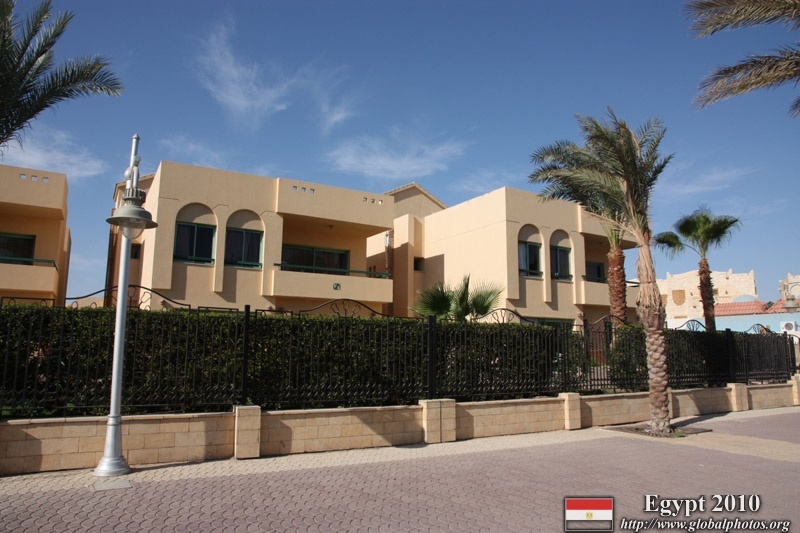 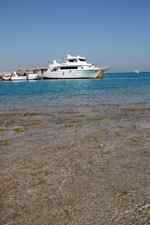 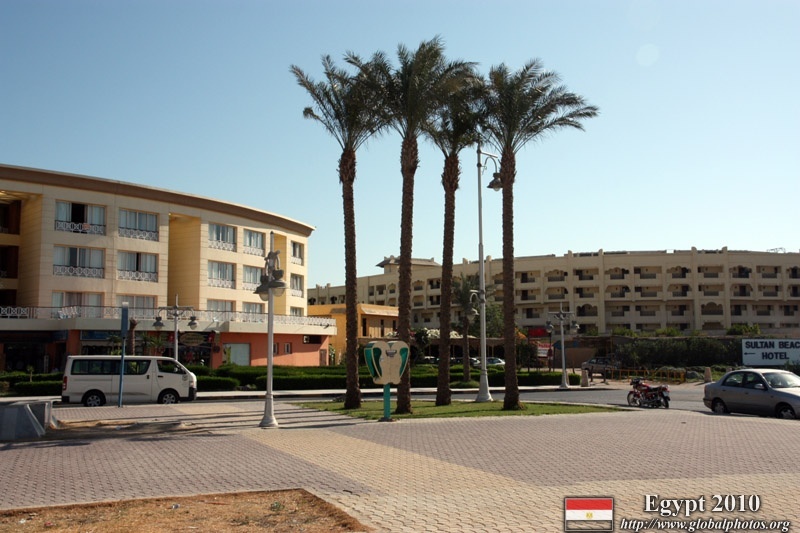 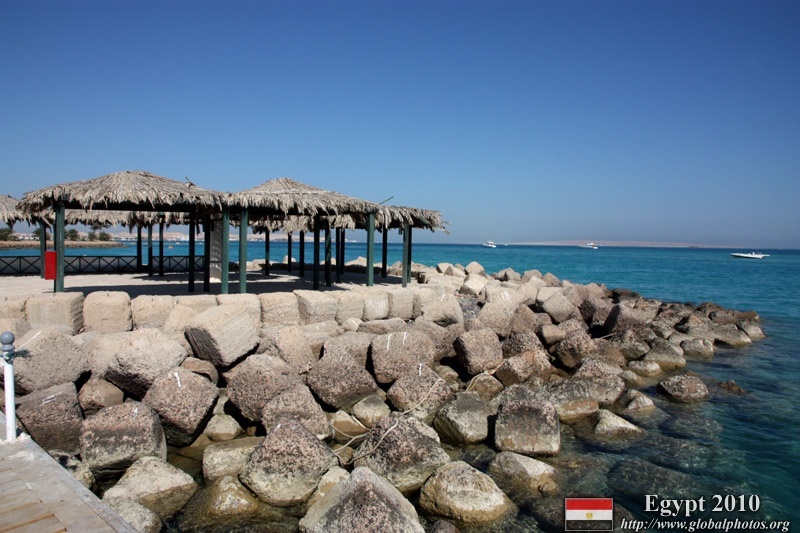 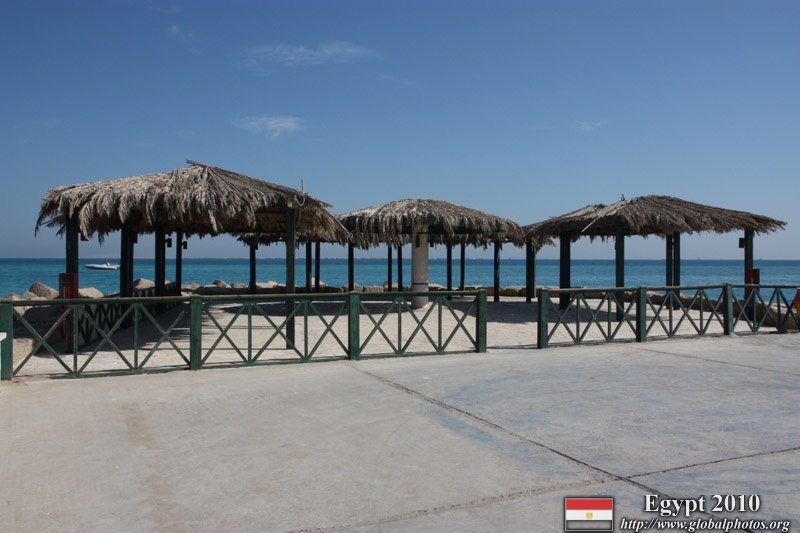 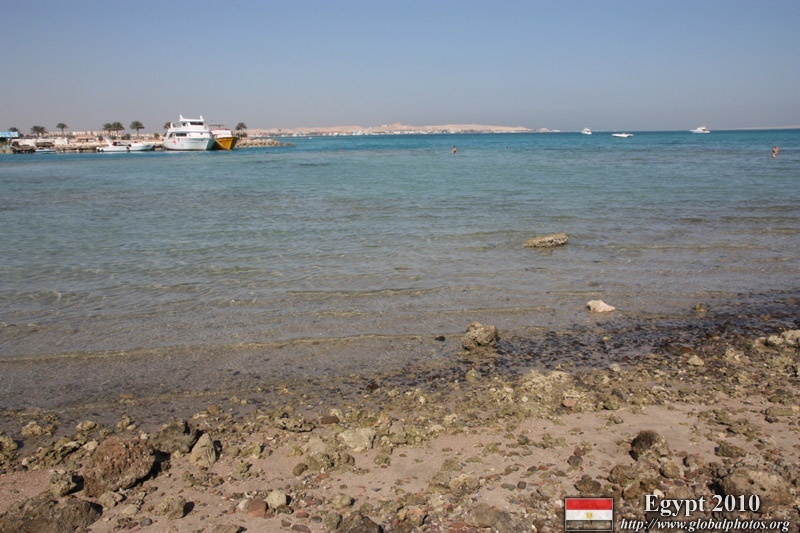 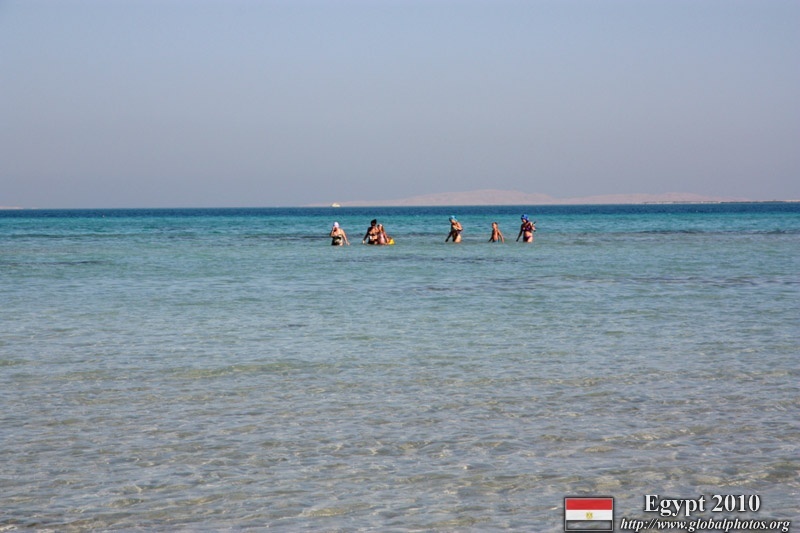 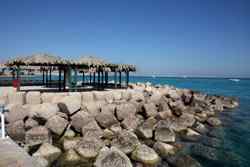 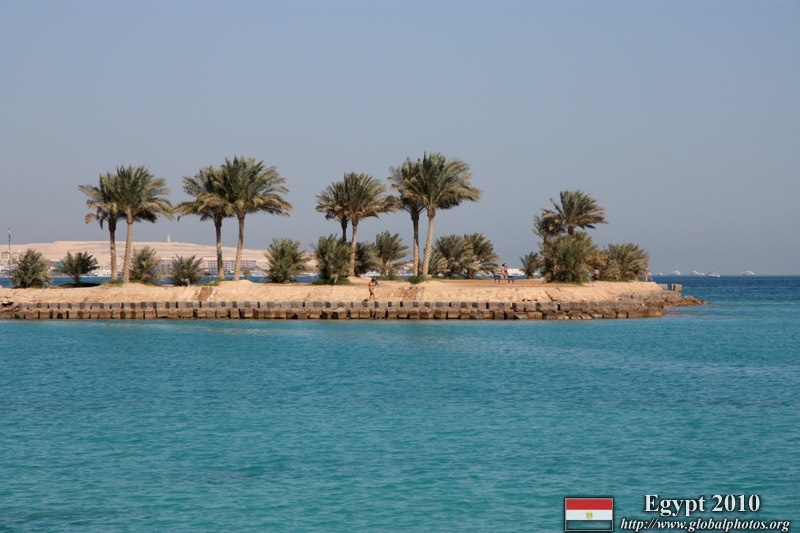 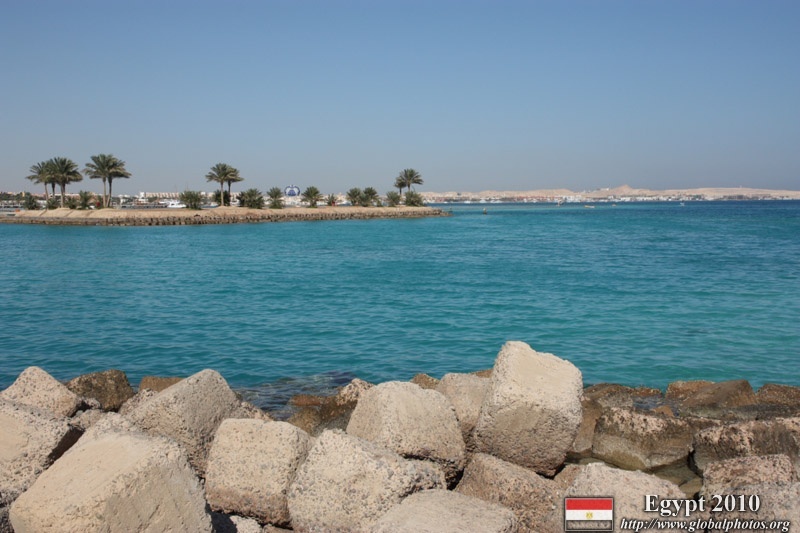 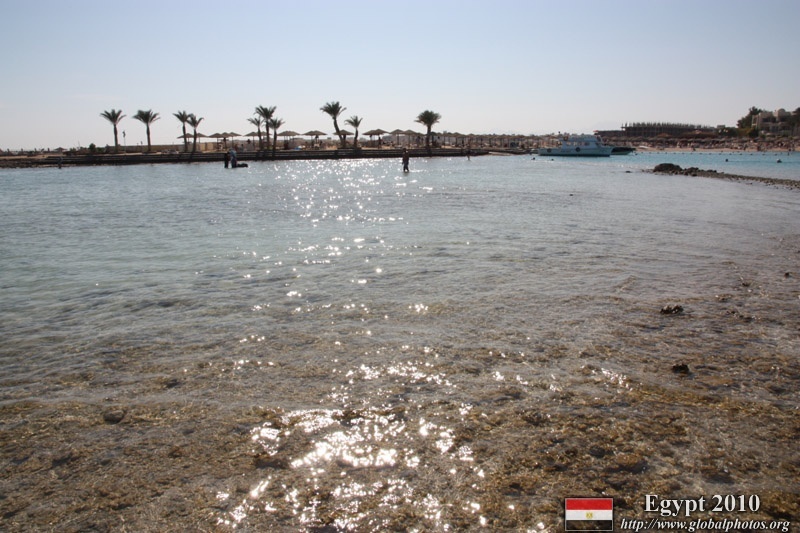 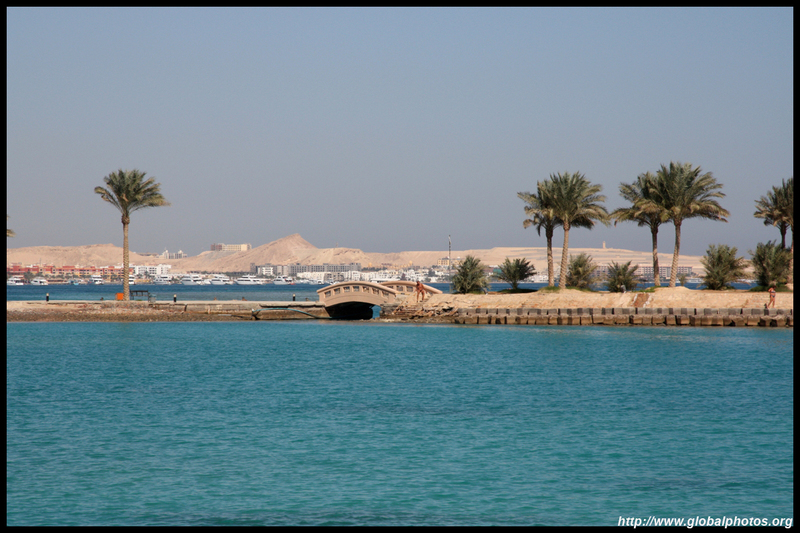 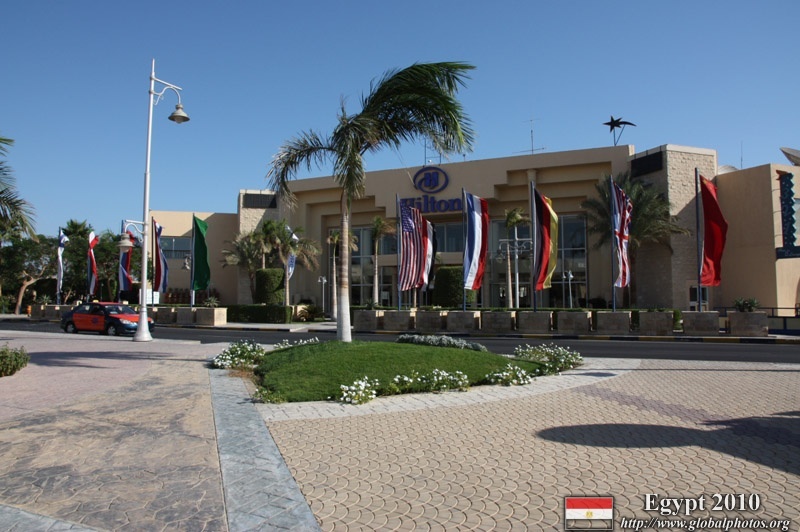 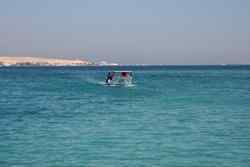 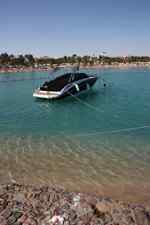 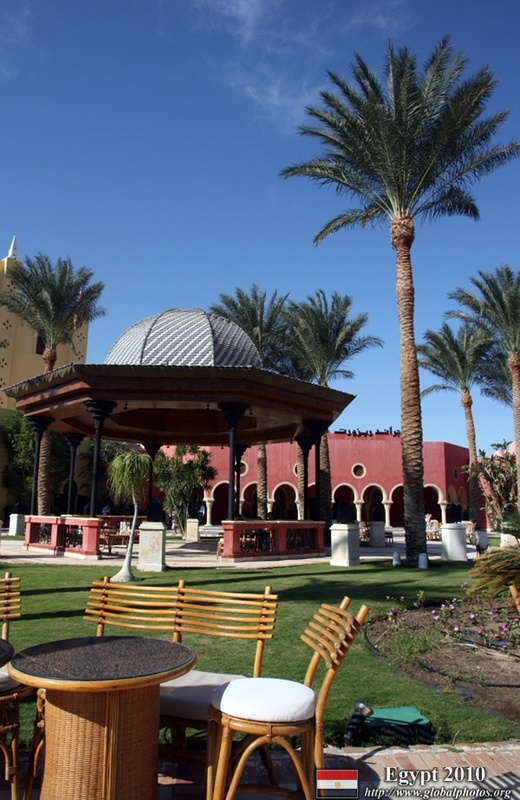 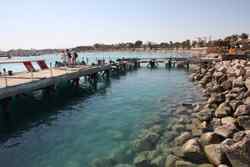 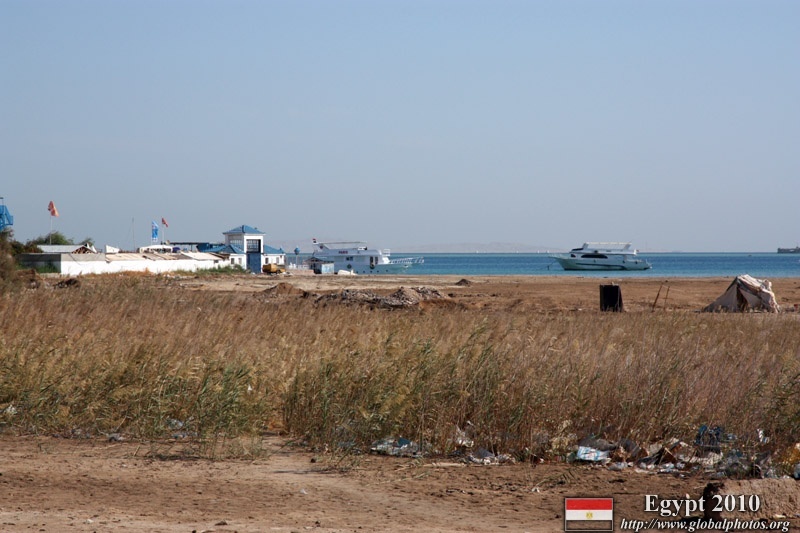 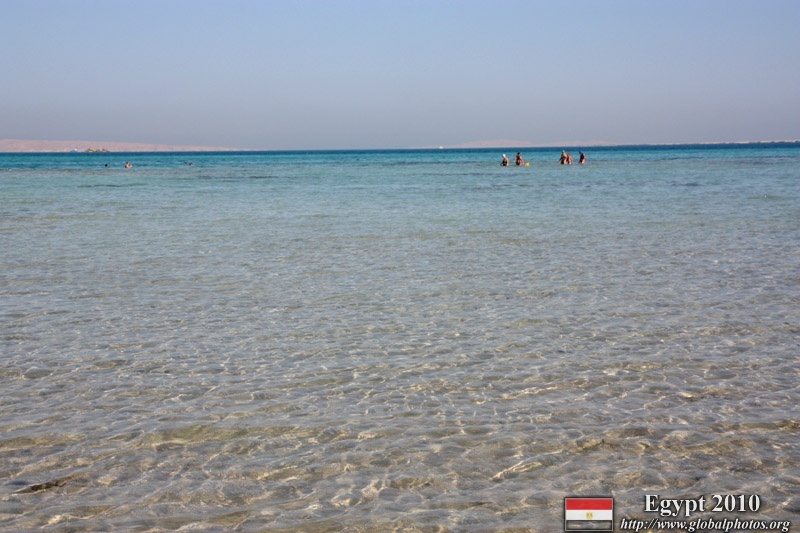 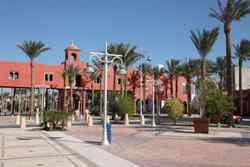 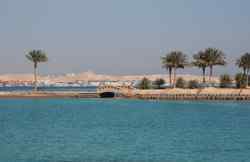 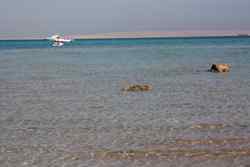 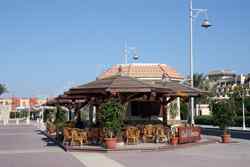 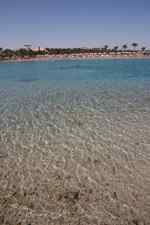 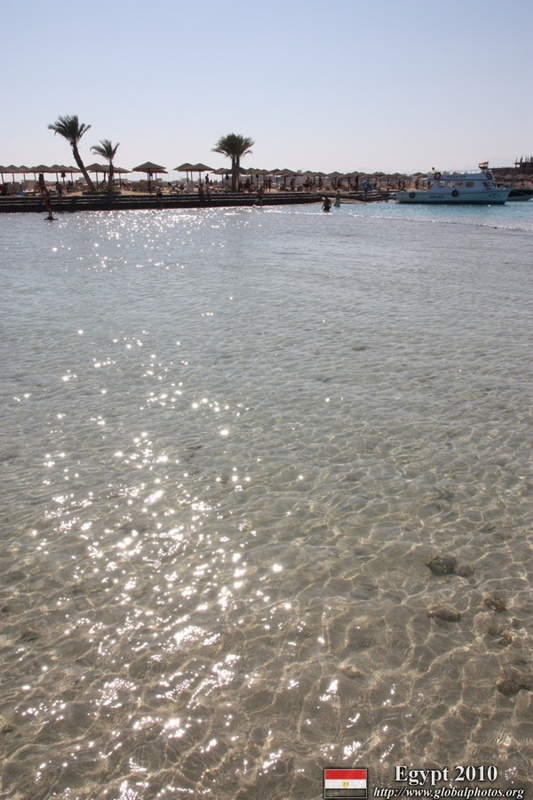 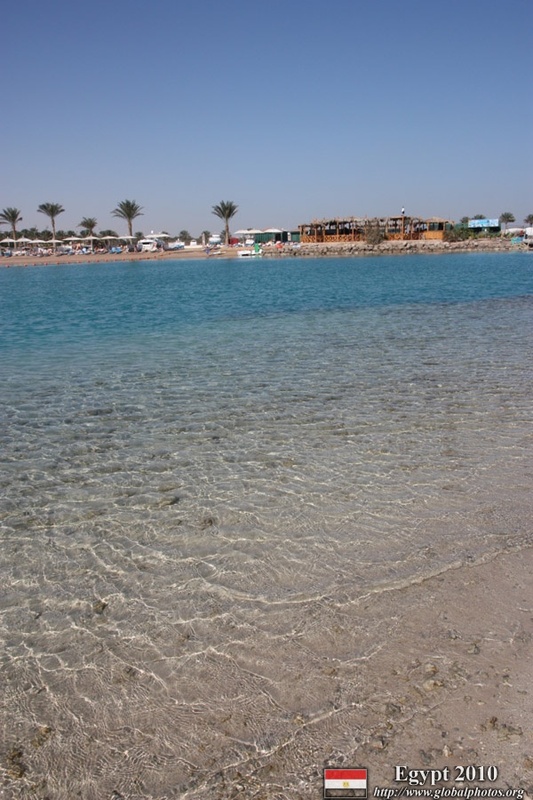 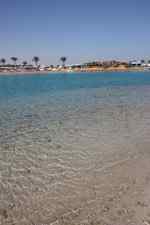 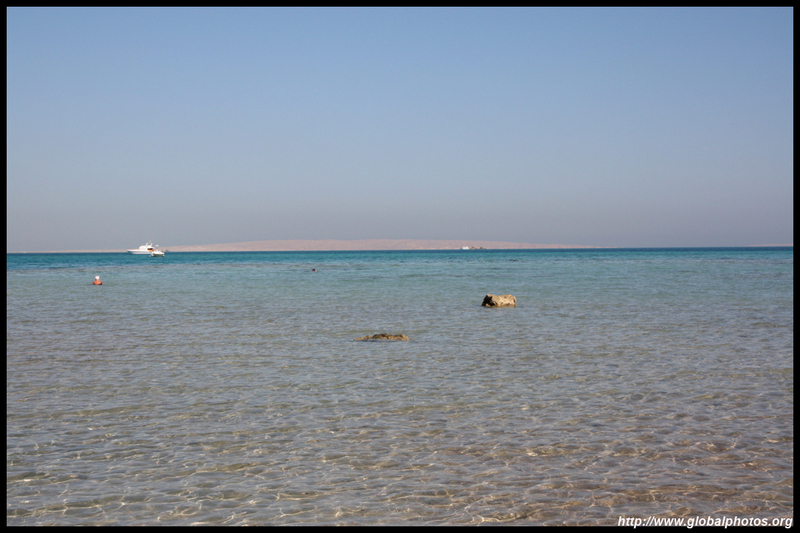 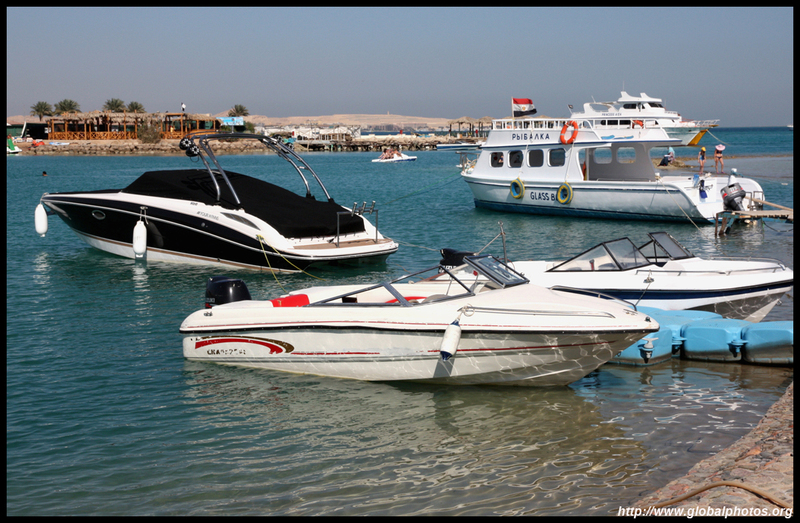 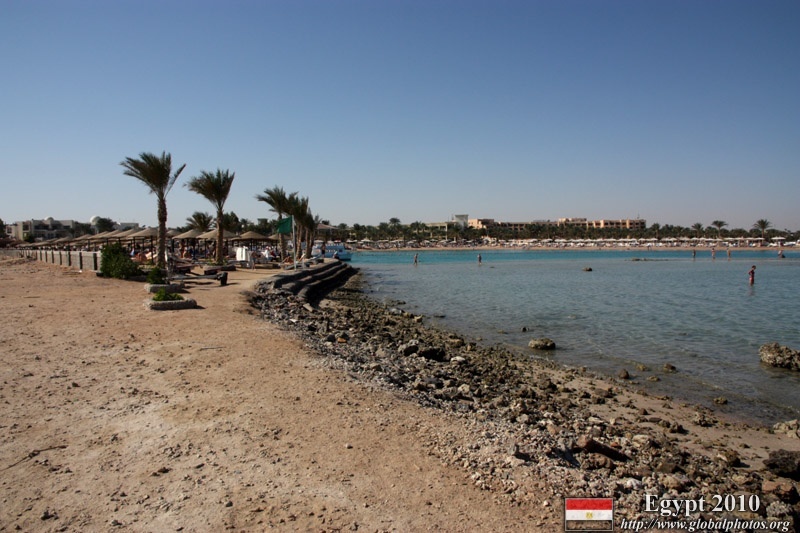 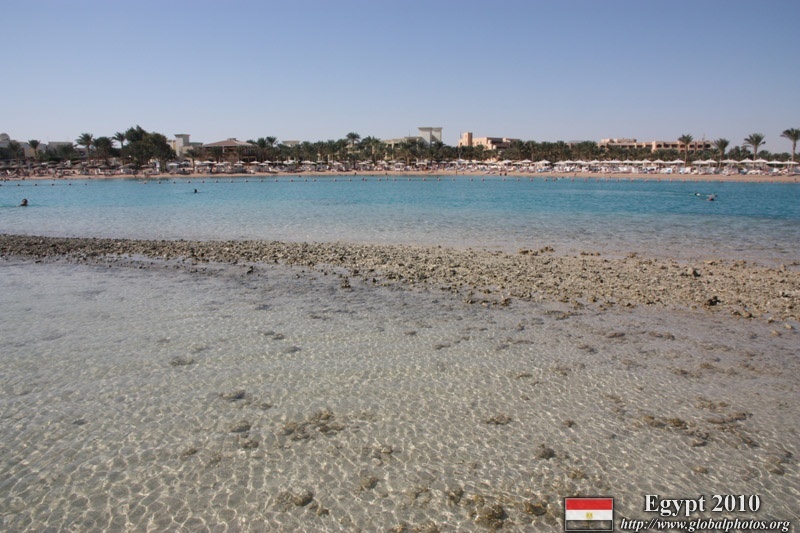 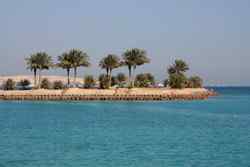 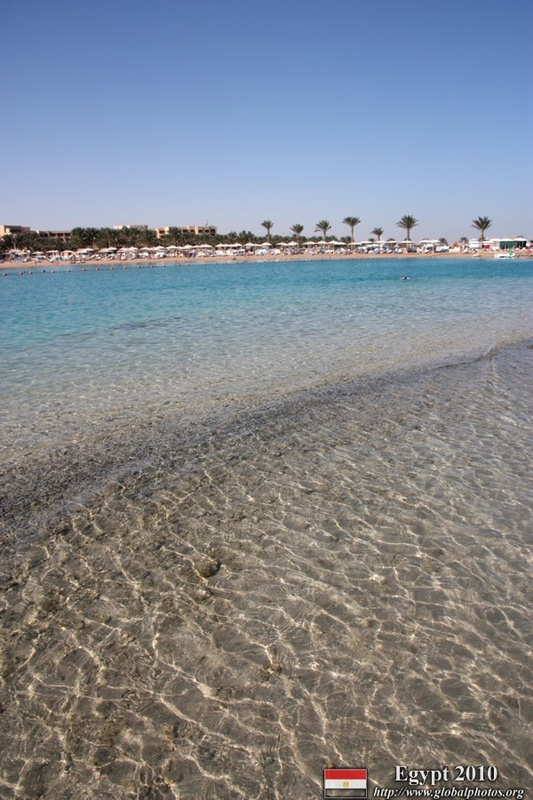 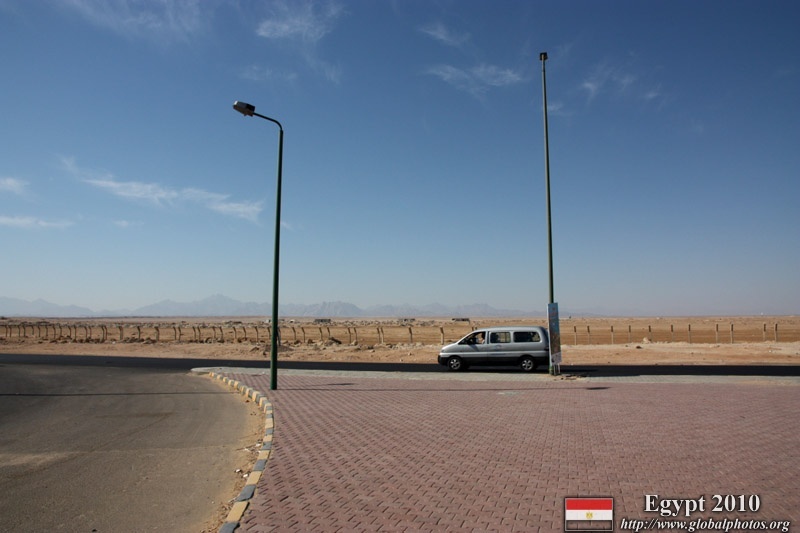 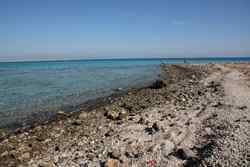 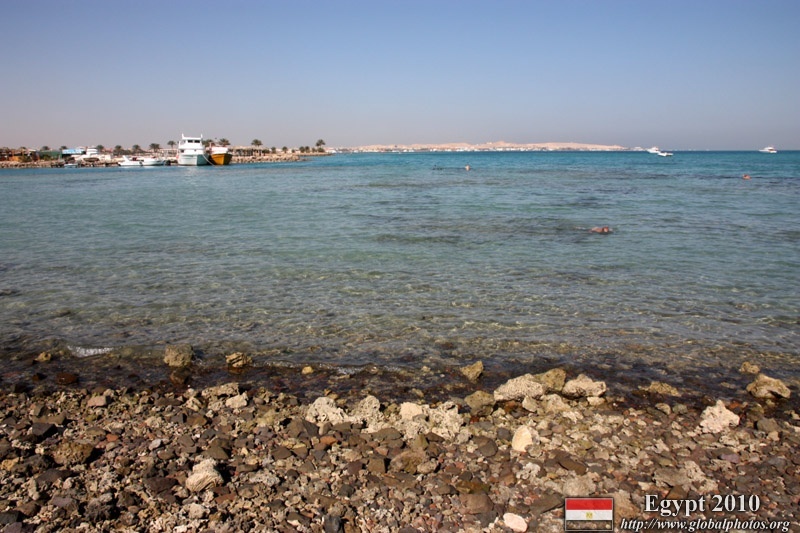 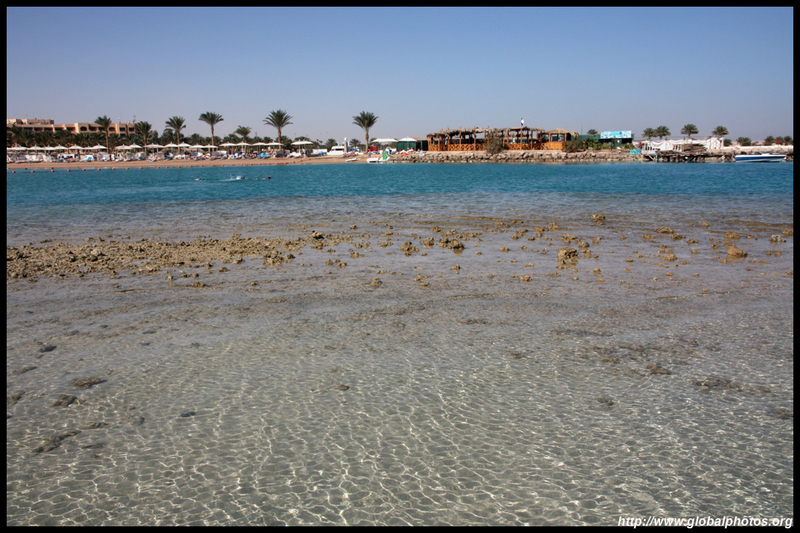 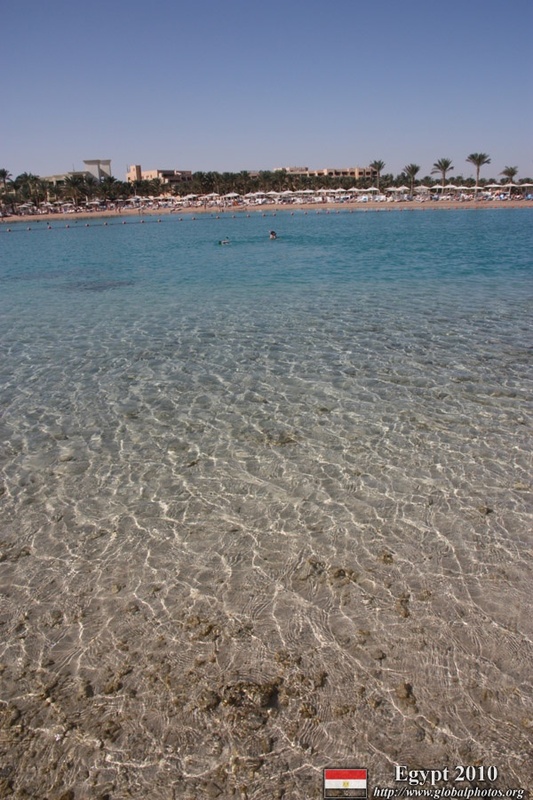 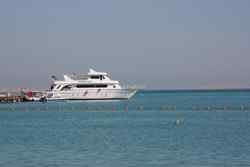 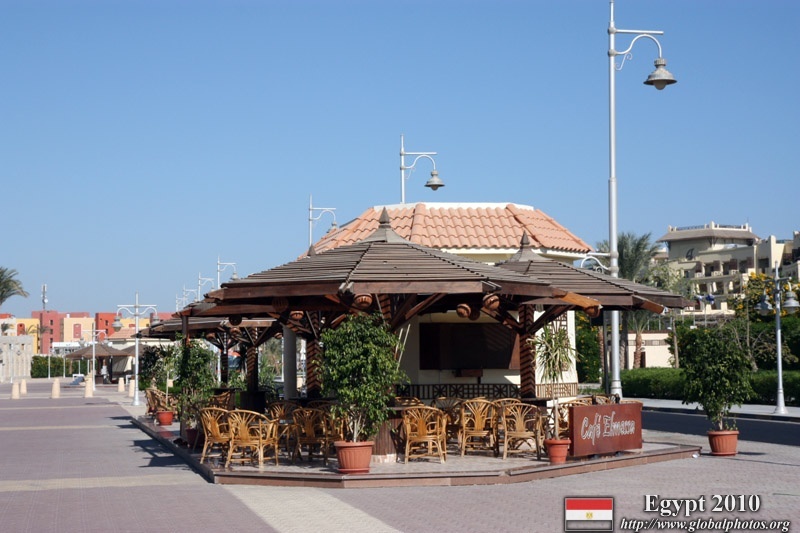 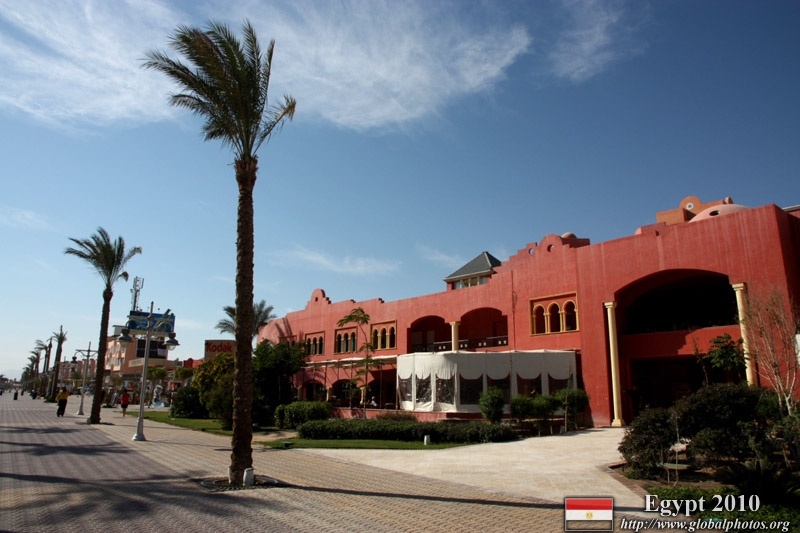 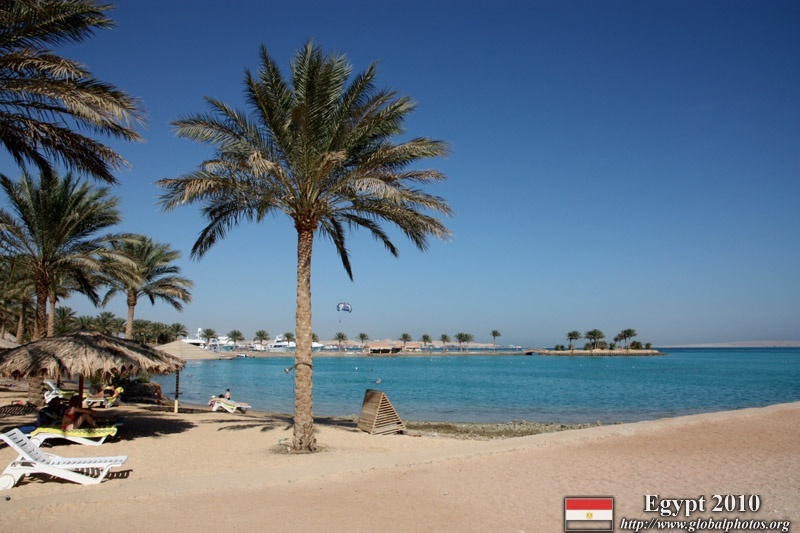 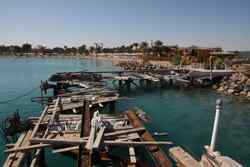 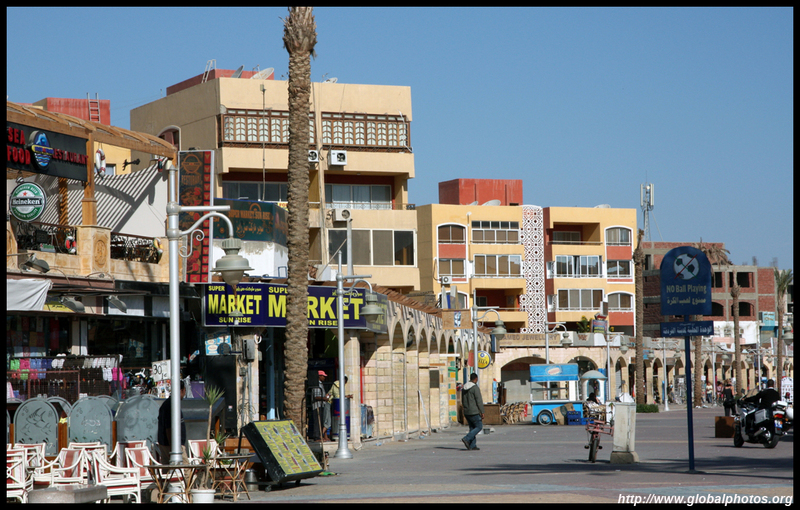 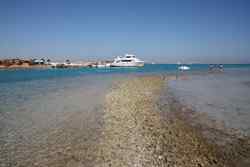 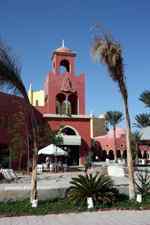 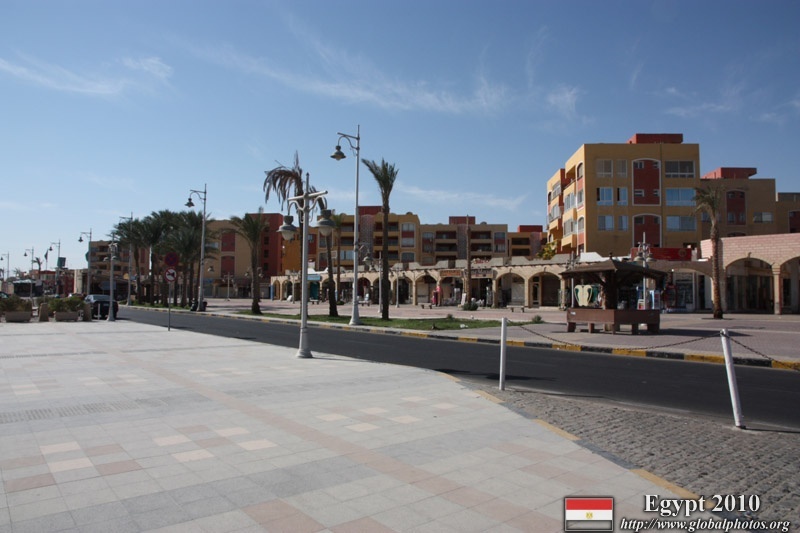 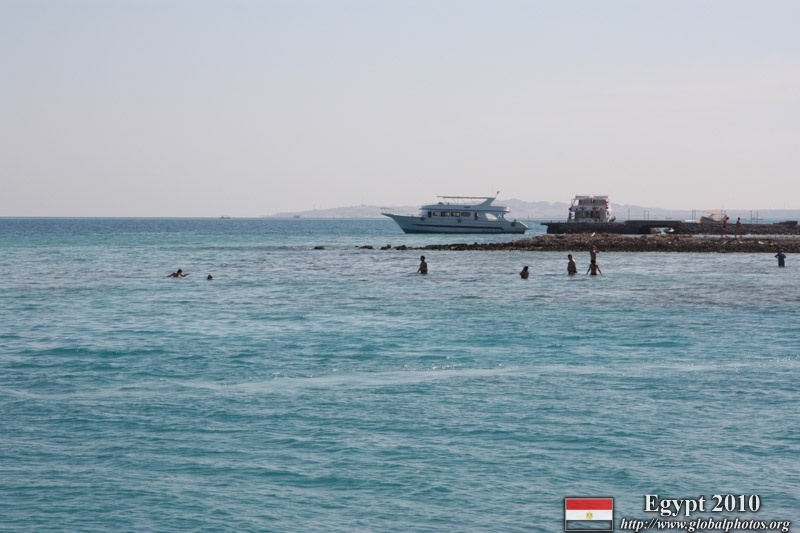 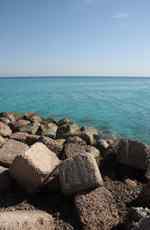 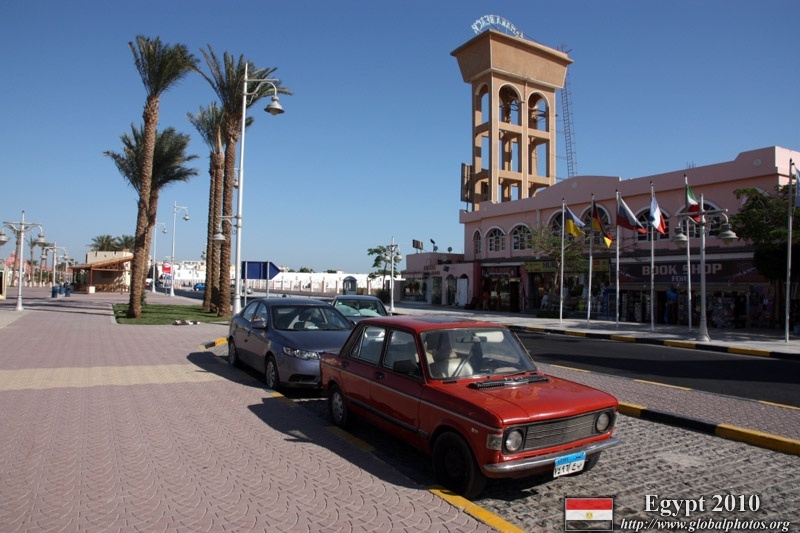 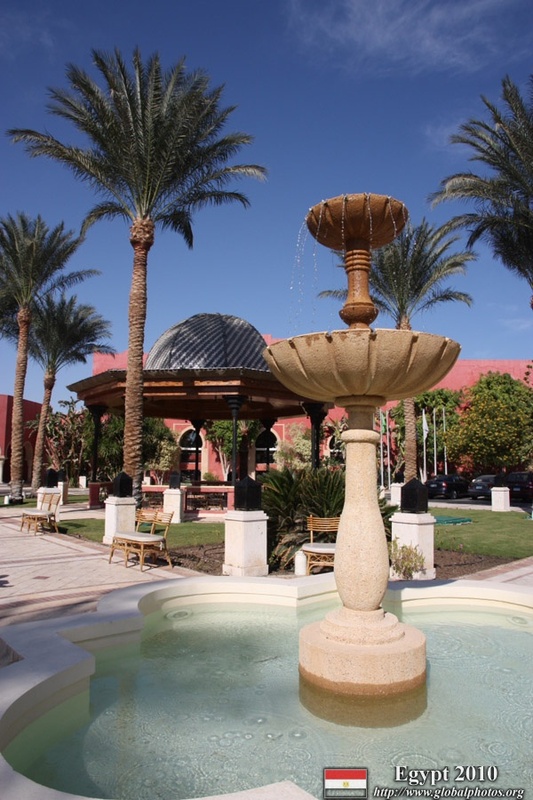 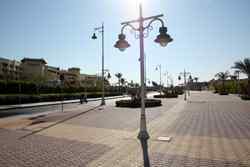 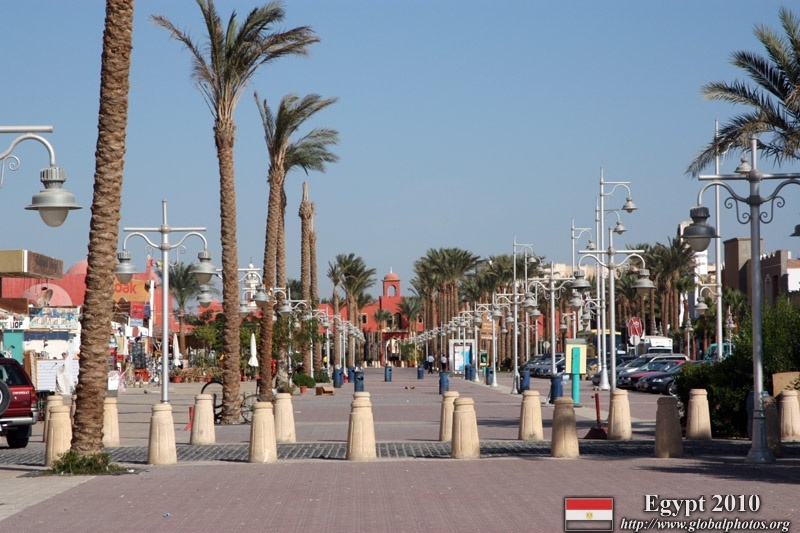 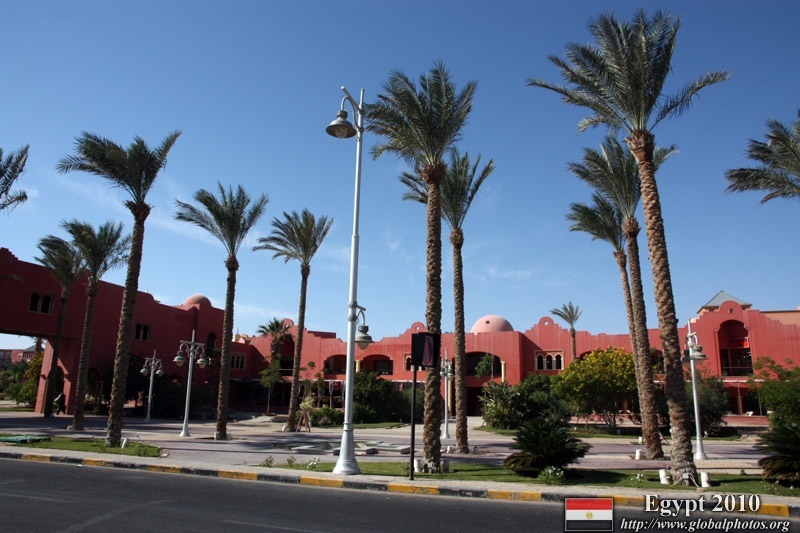 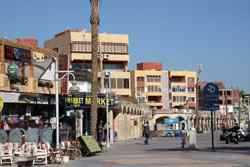 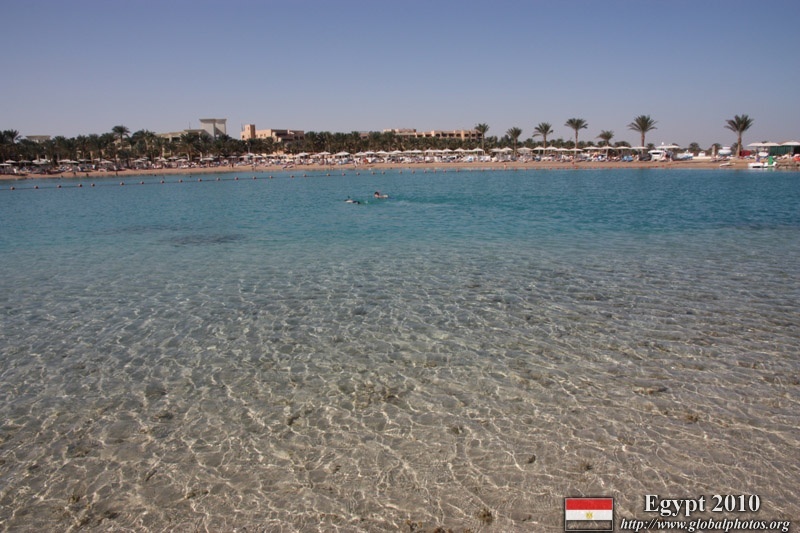 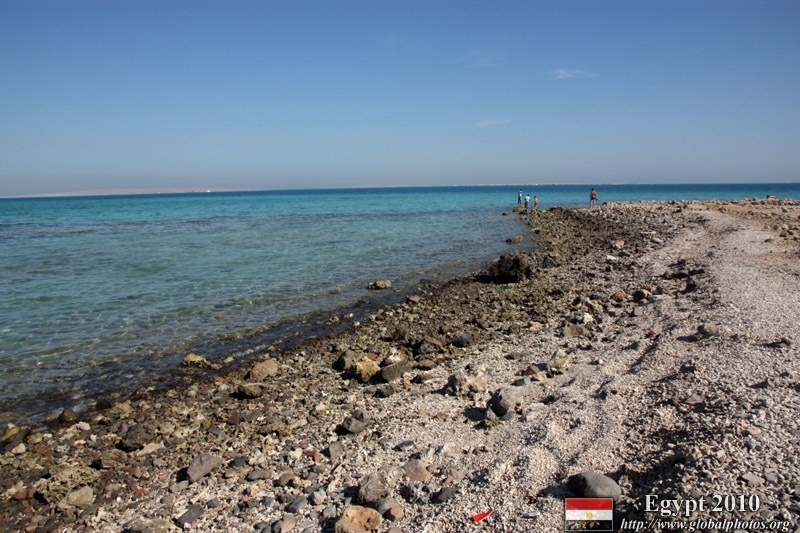 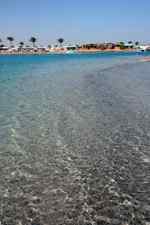 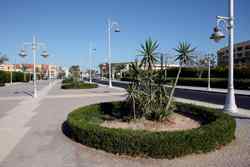 Hurghada appears to be a relative prosperous city, fuelled by the tourism trade. 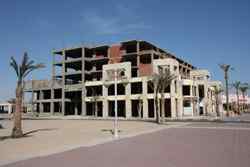 There is plenty of construction happening, although the workers don't necessarily work on all the projects being built. 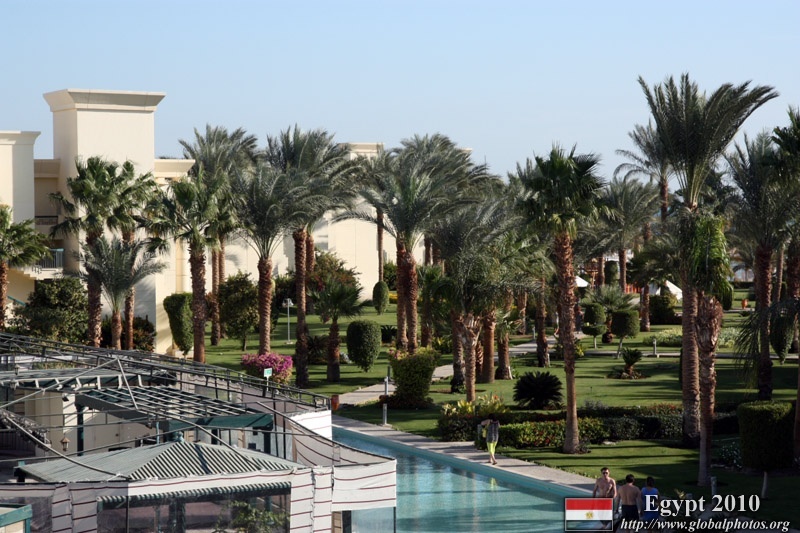 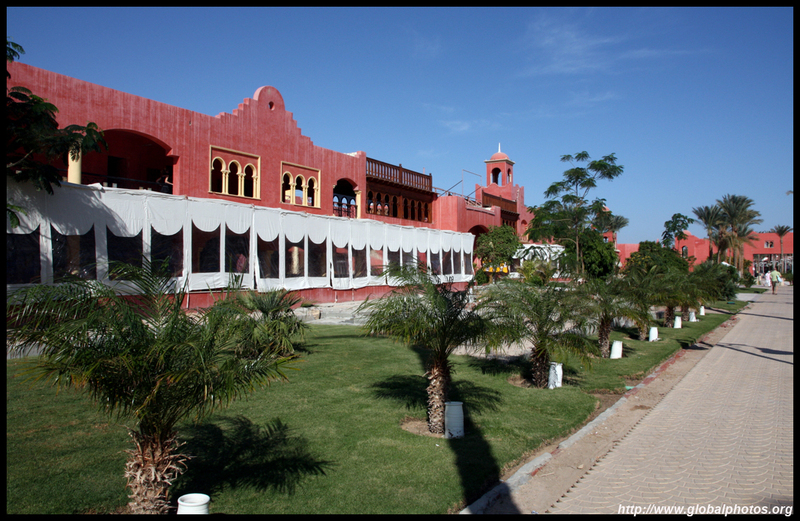 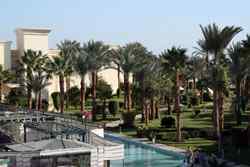 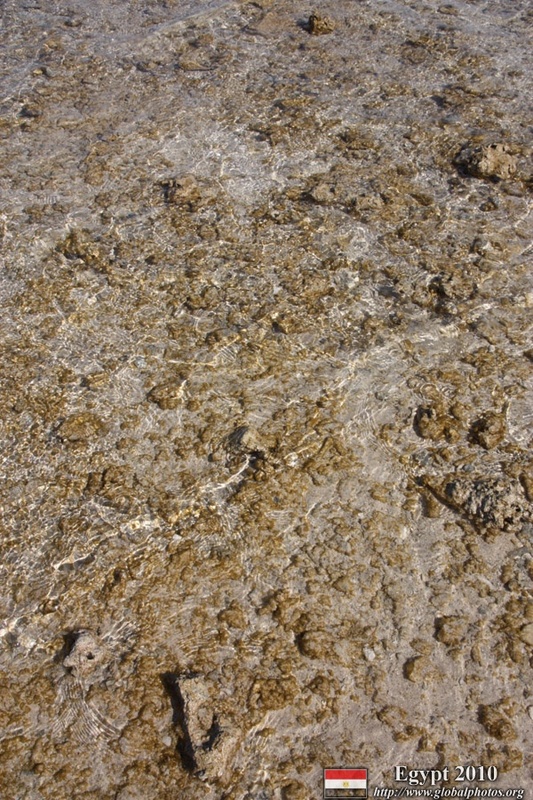 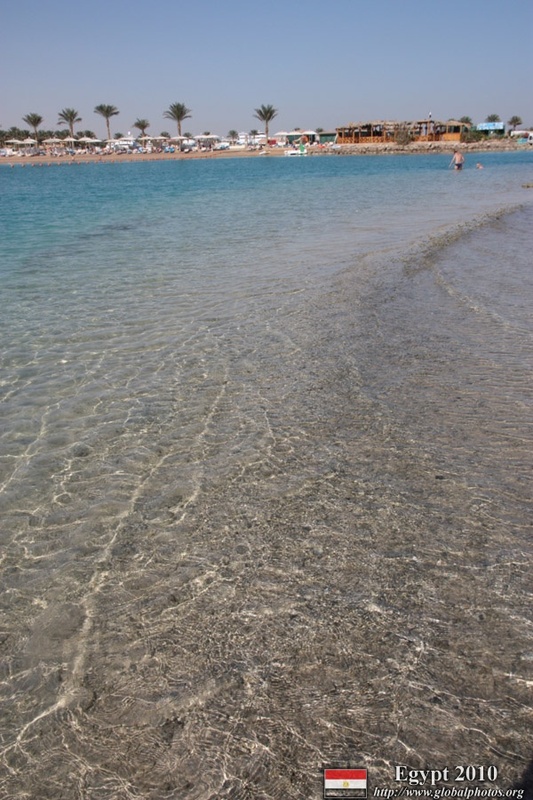 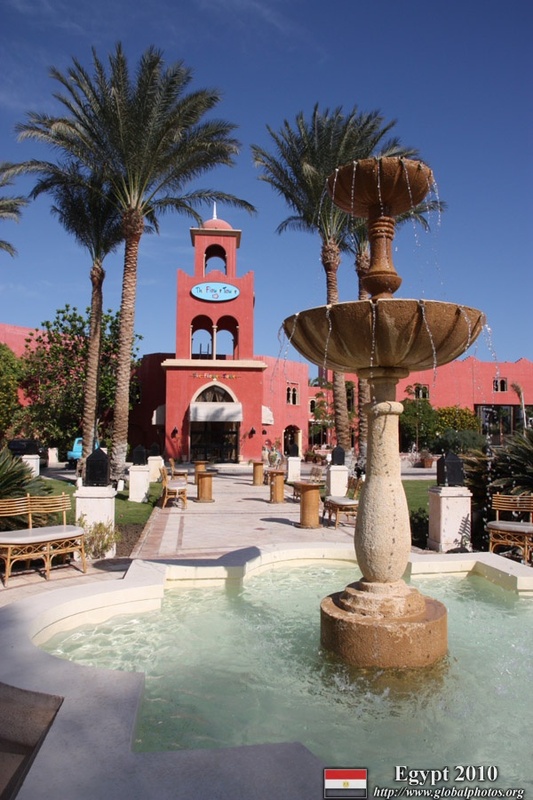 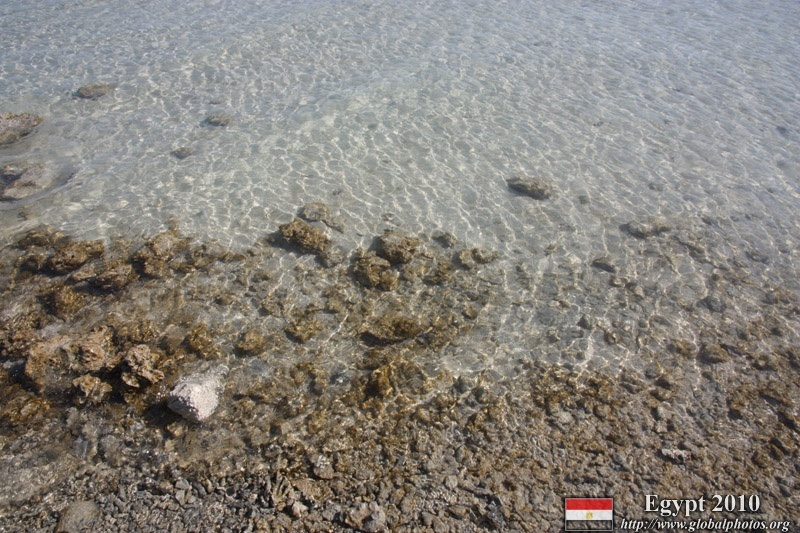 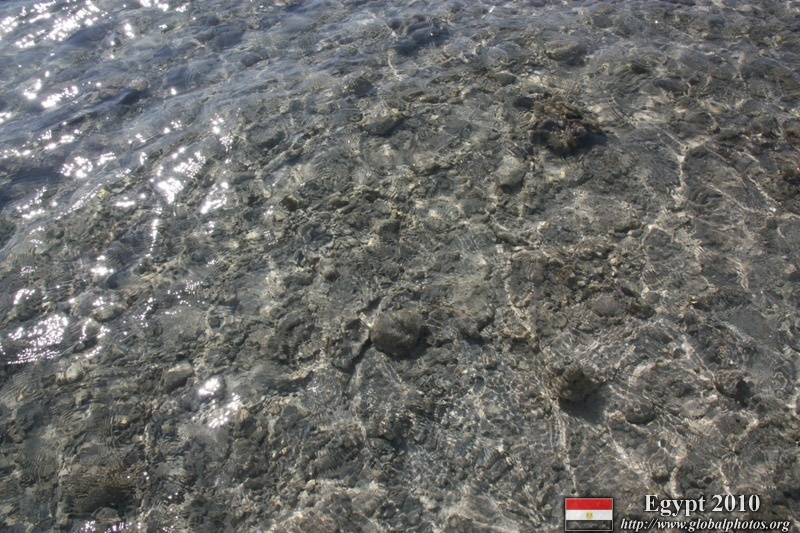 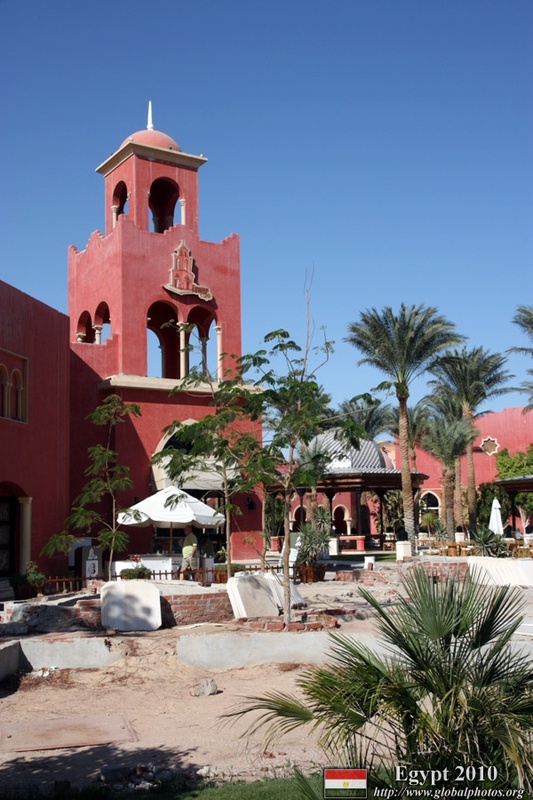 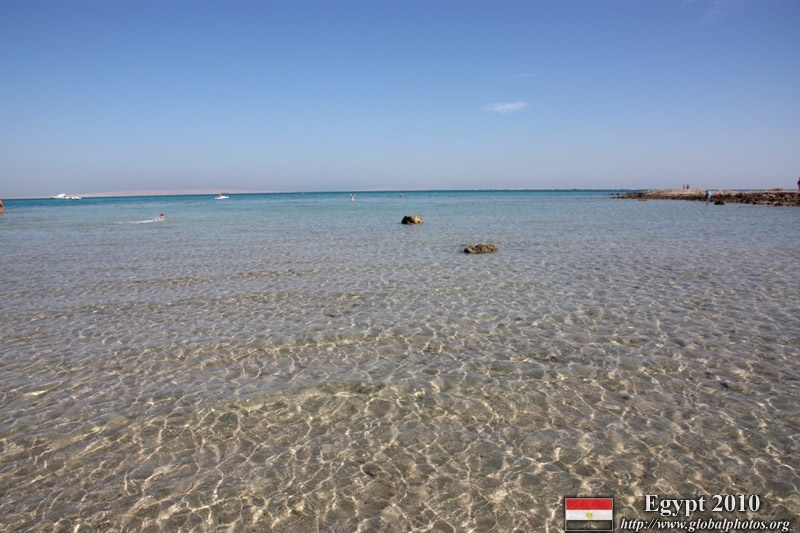 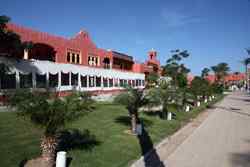 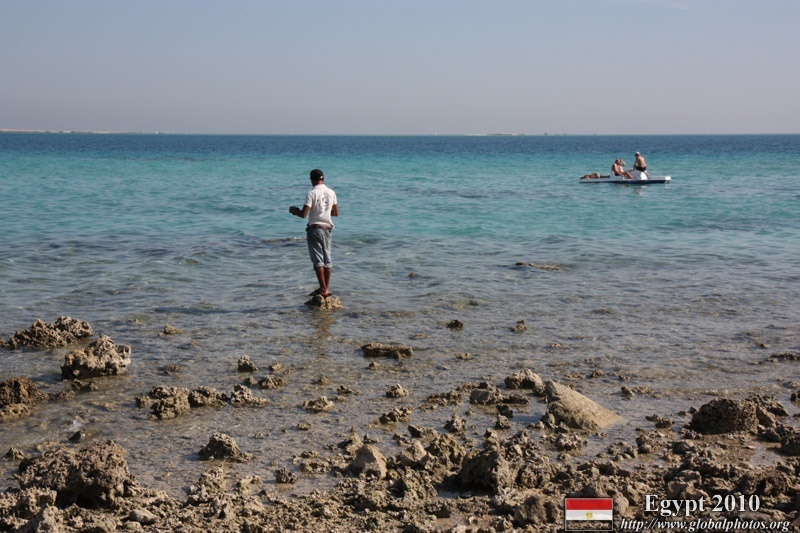 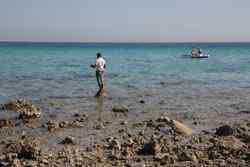 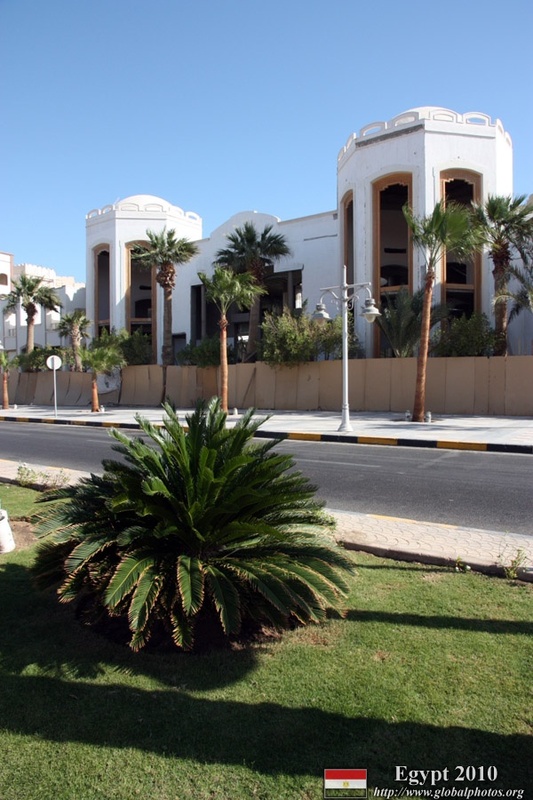 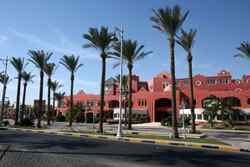 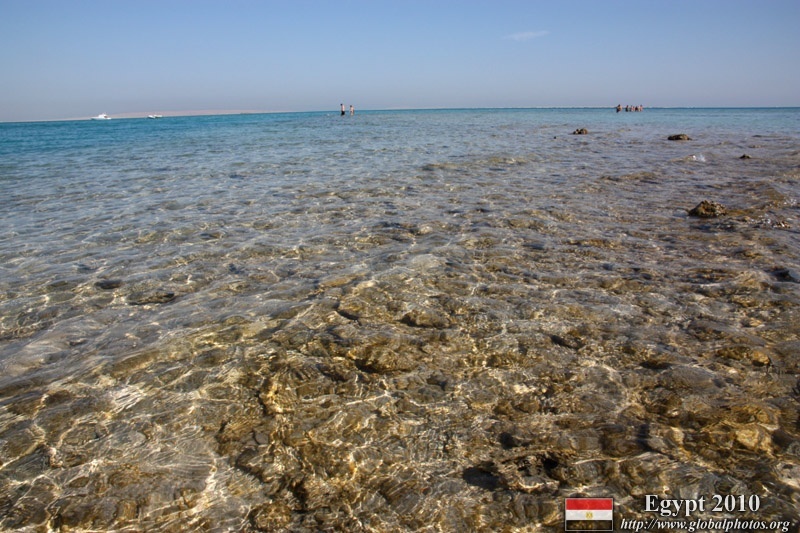 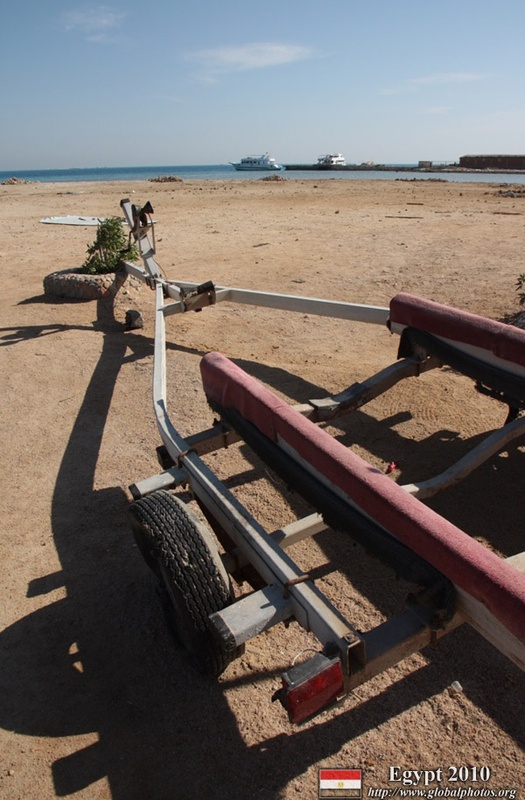 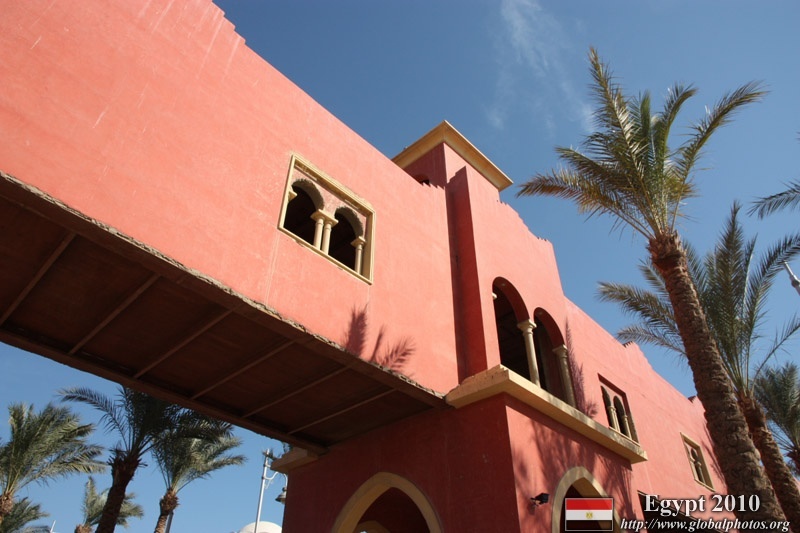 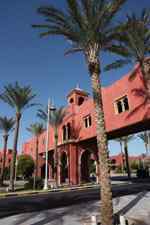 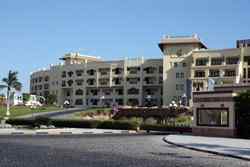 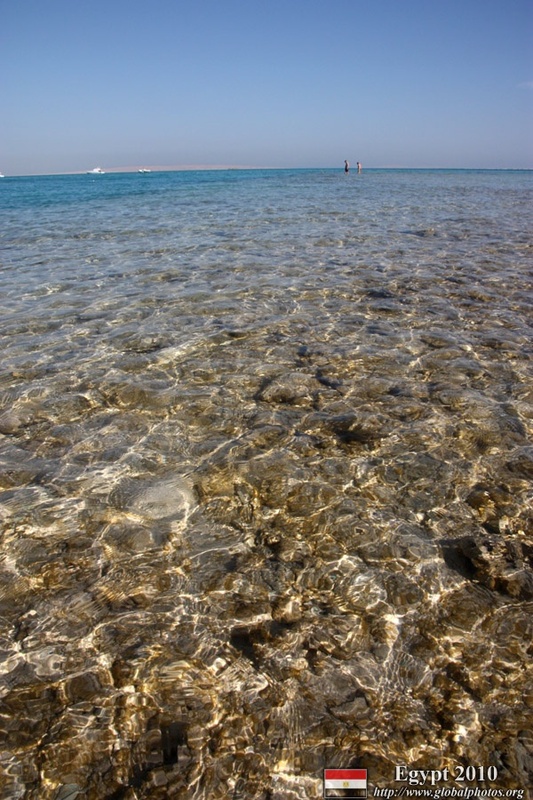 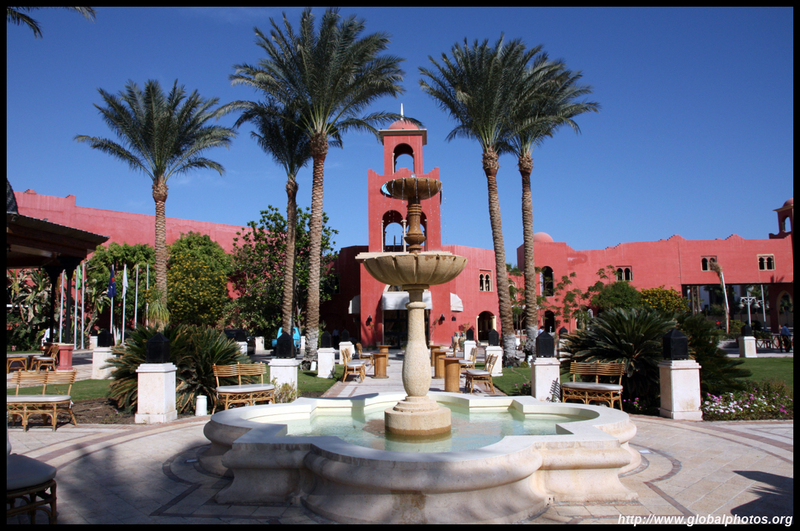 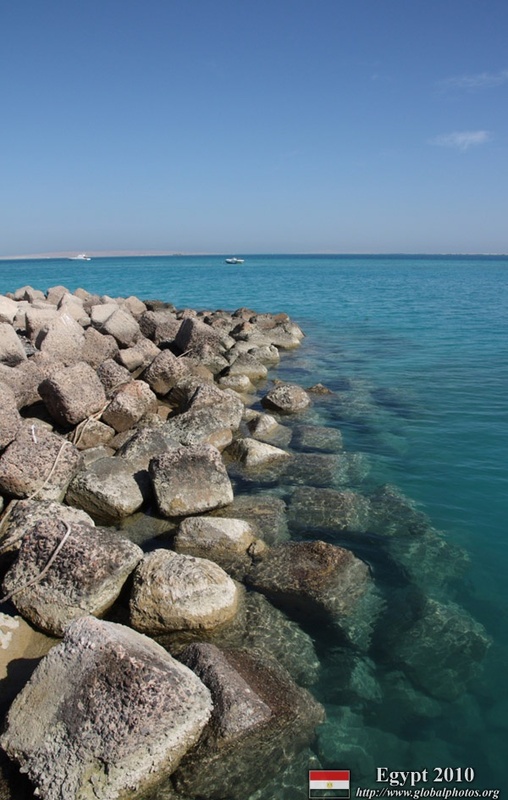 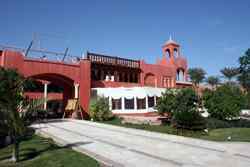 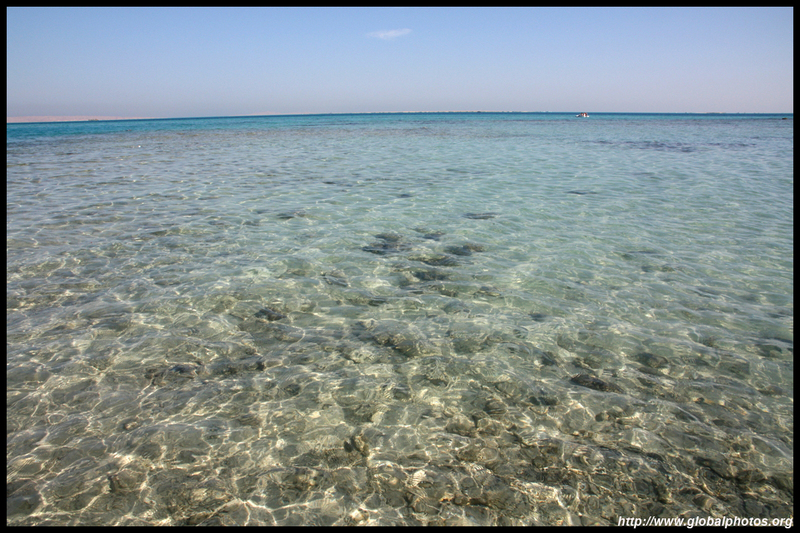 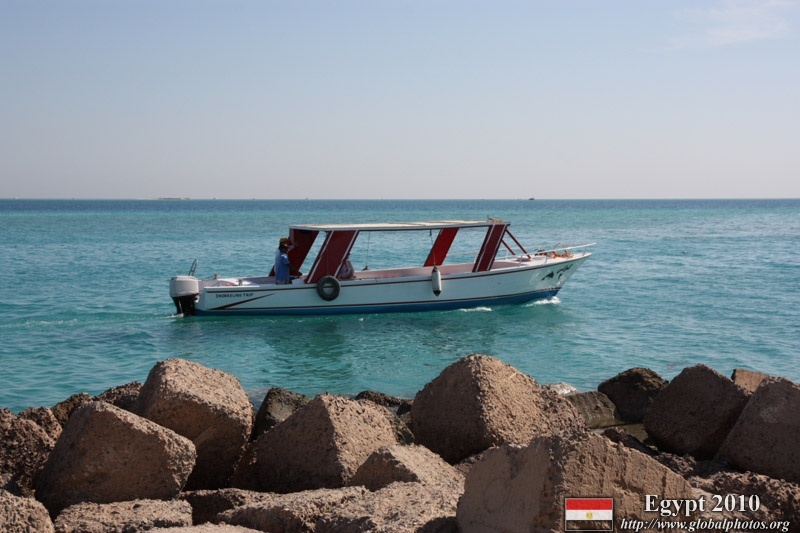 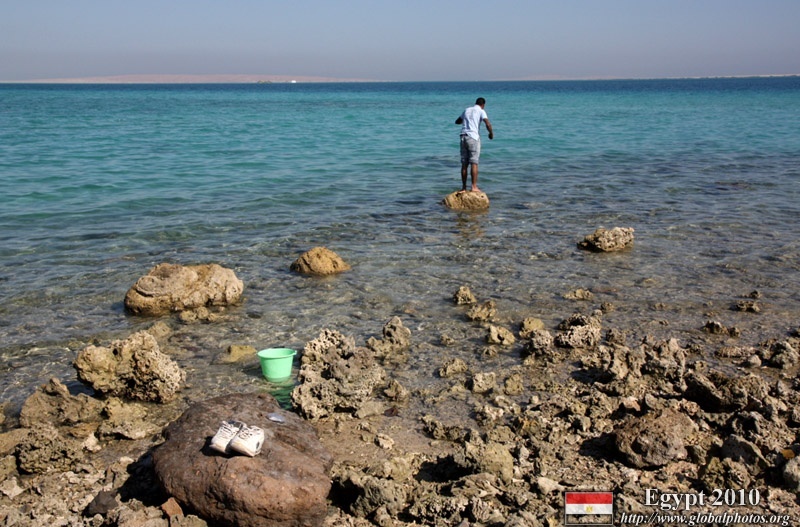 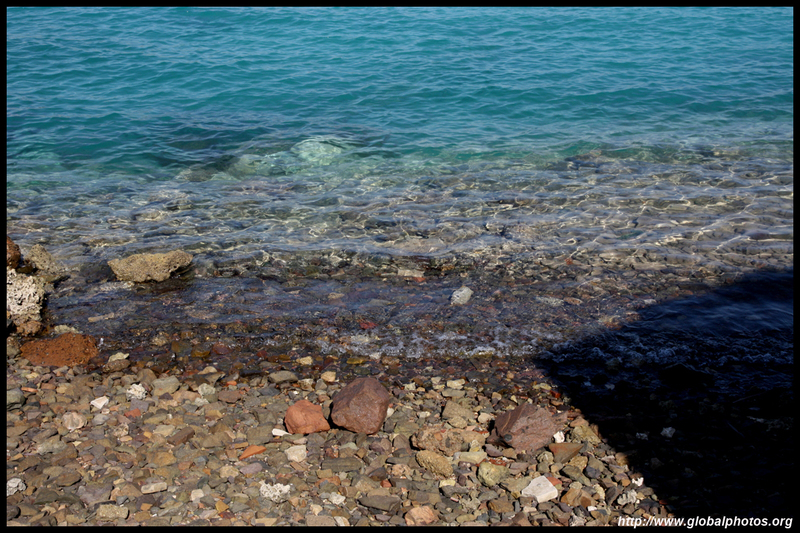 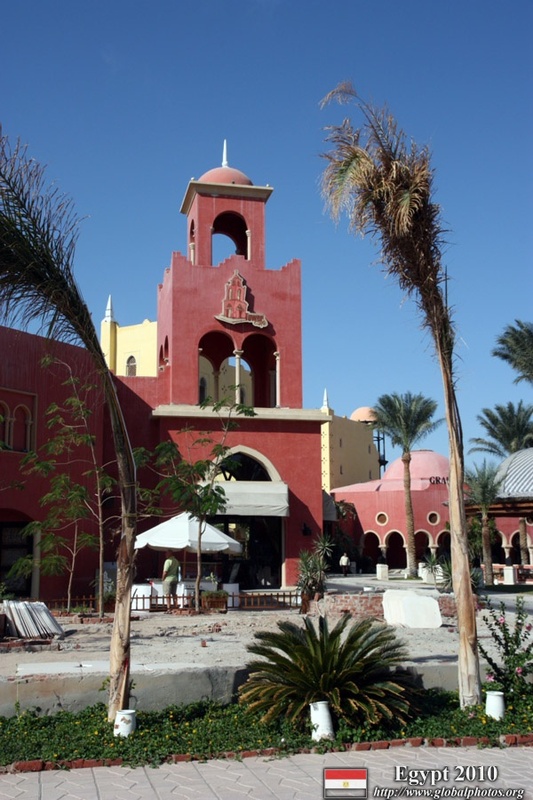 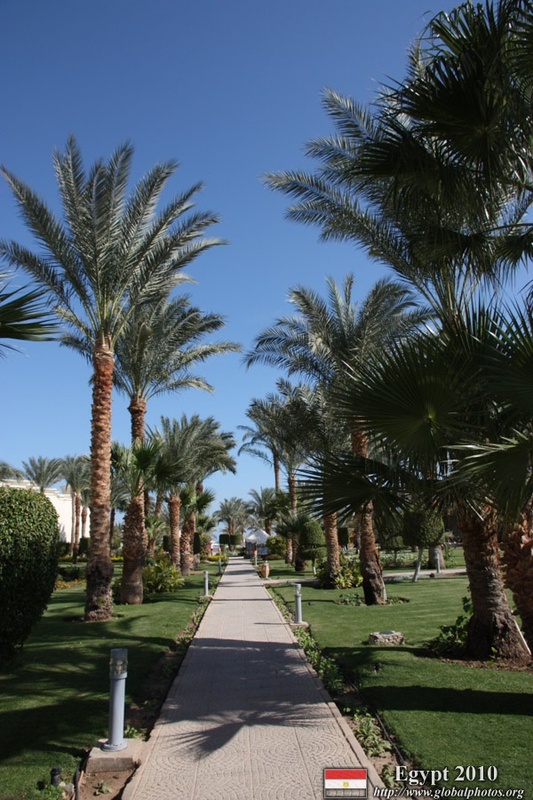 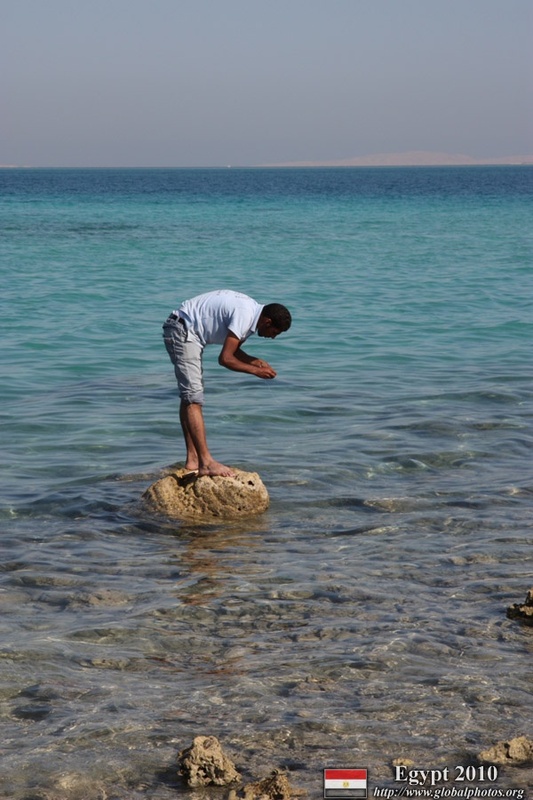 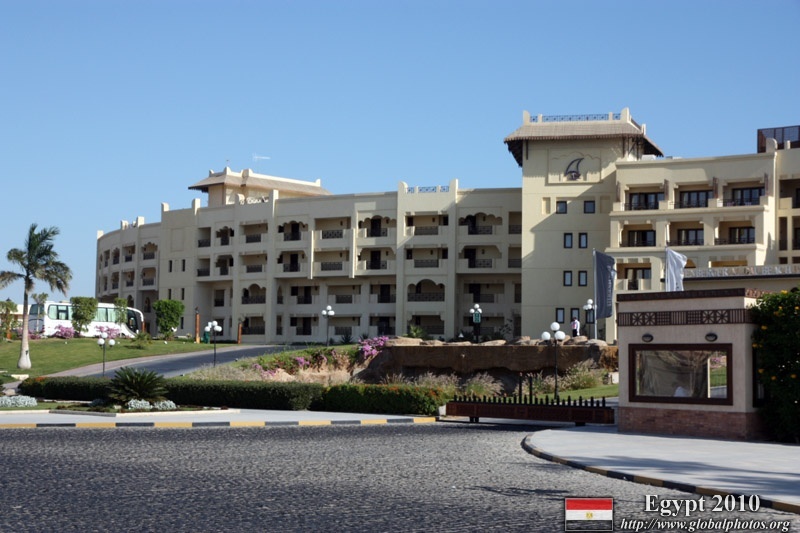 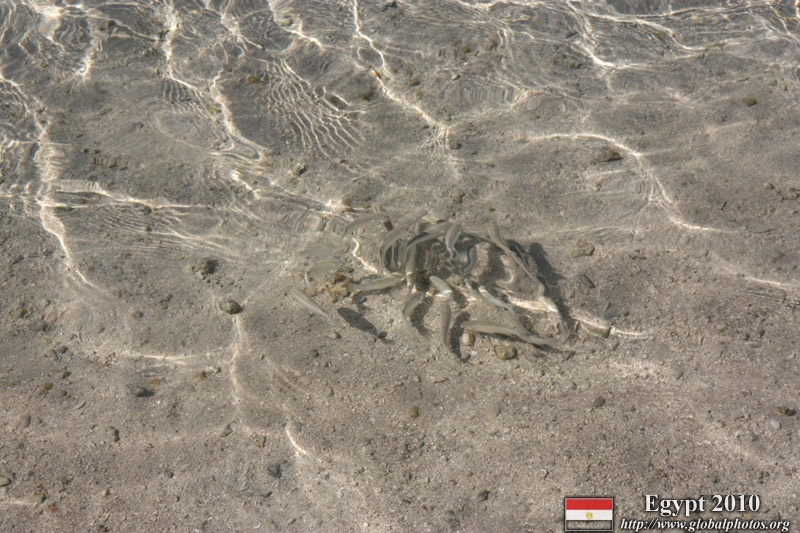 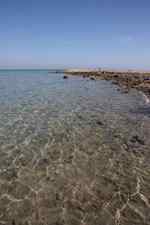 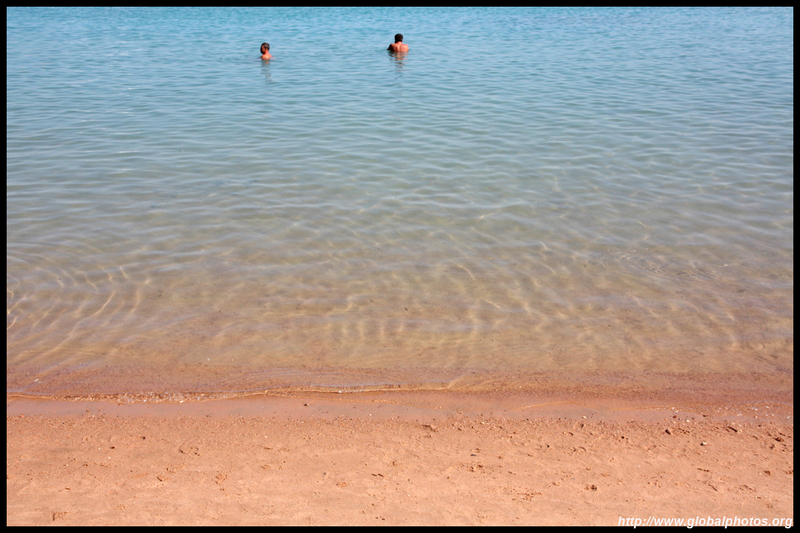 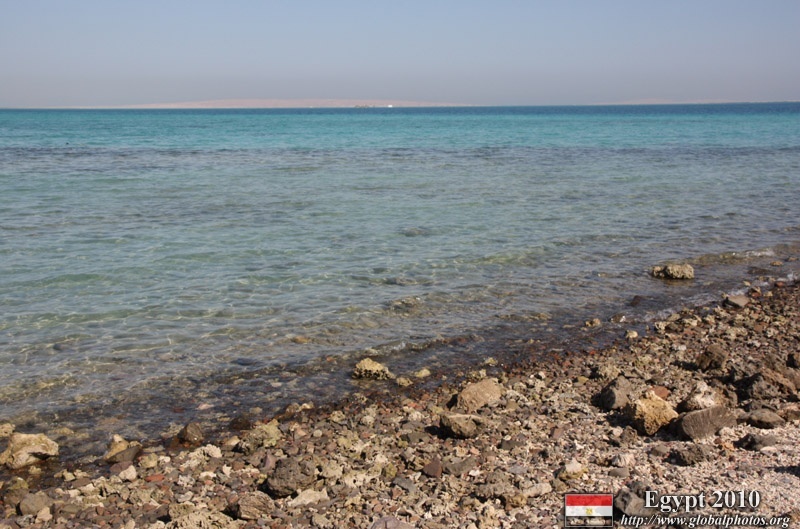 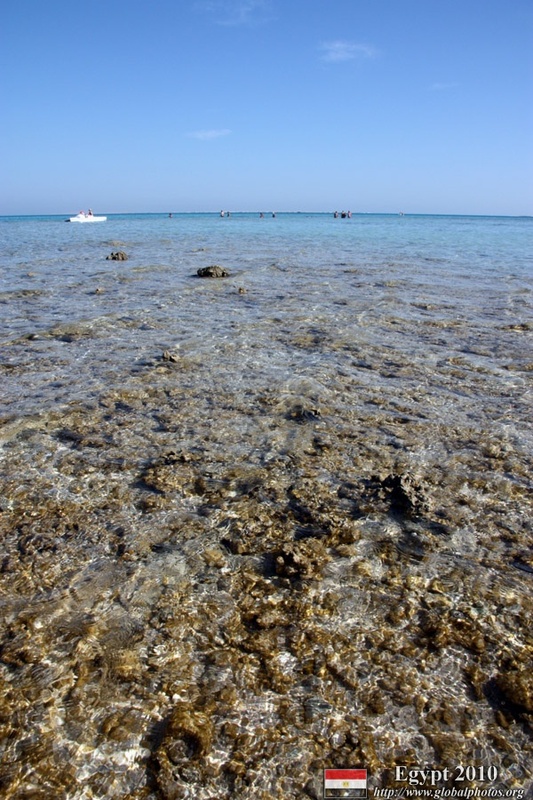 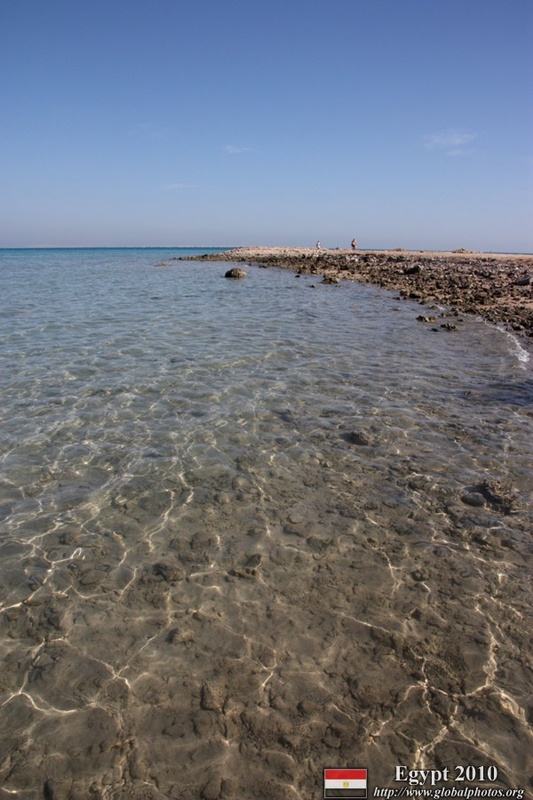 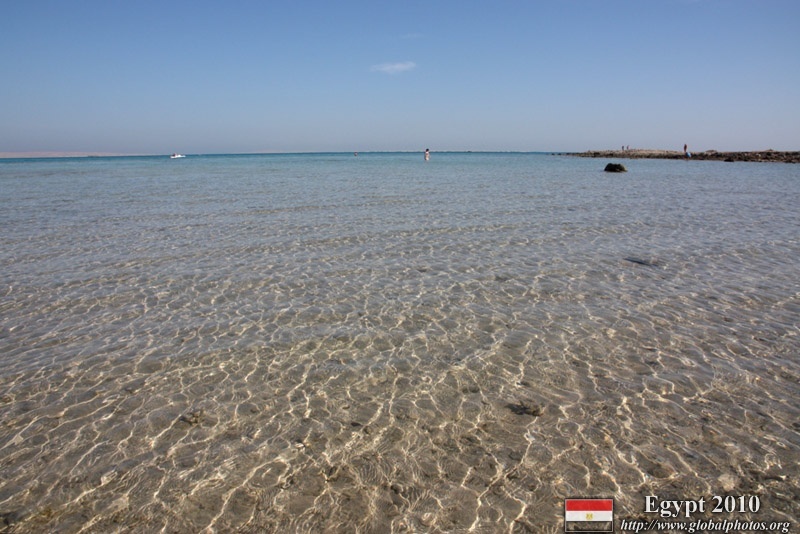 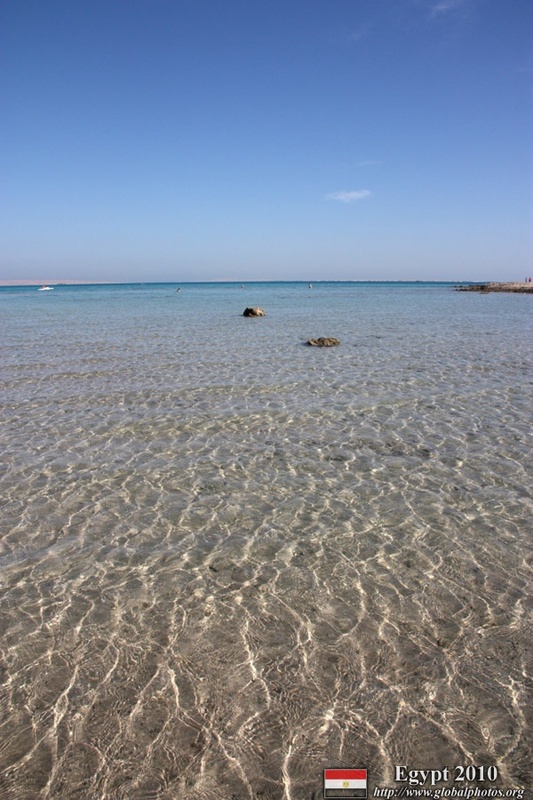 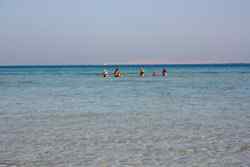 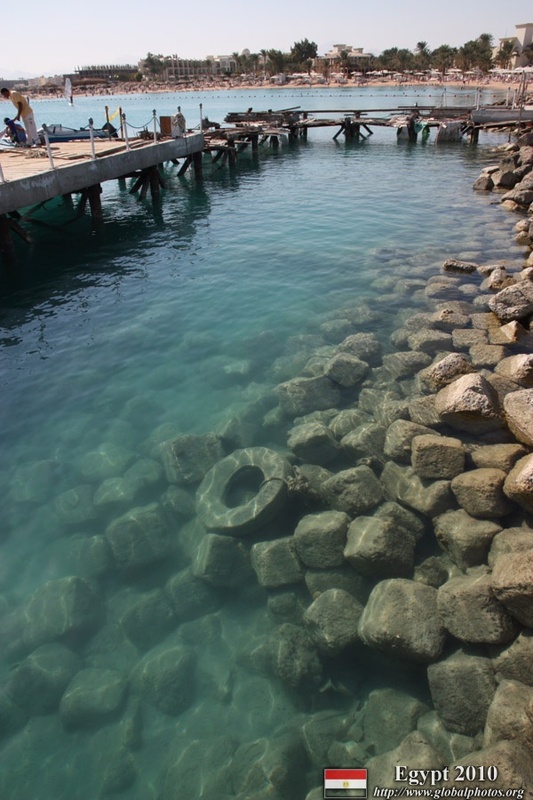 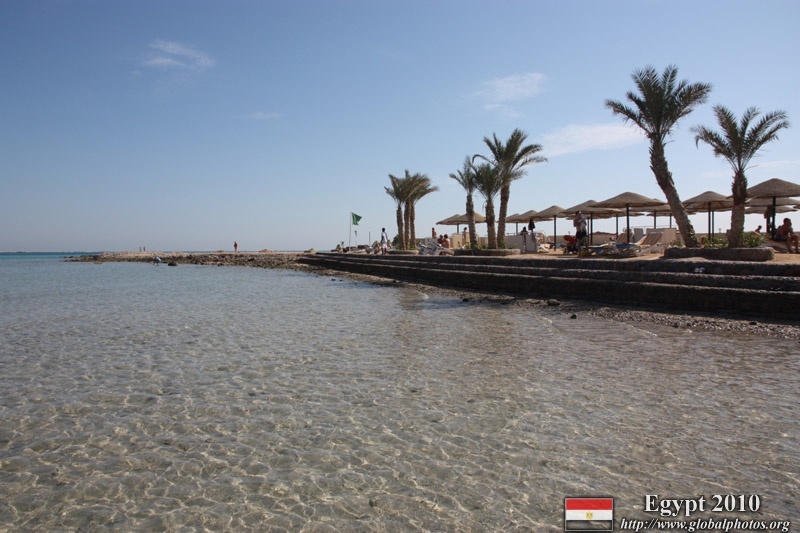 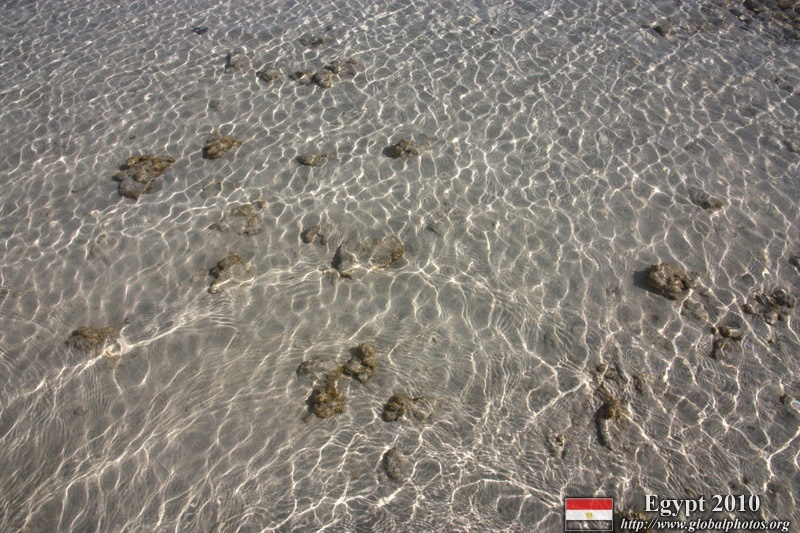 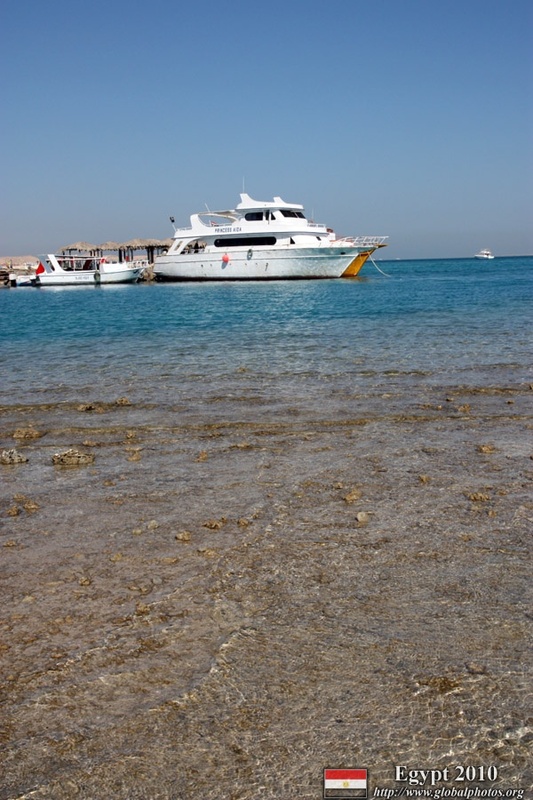 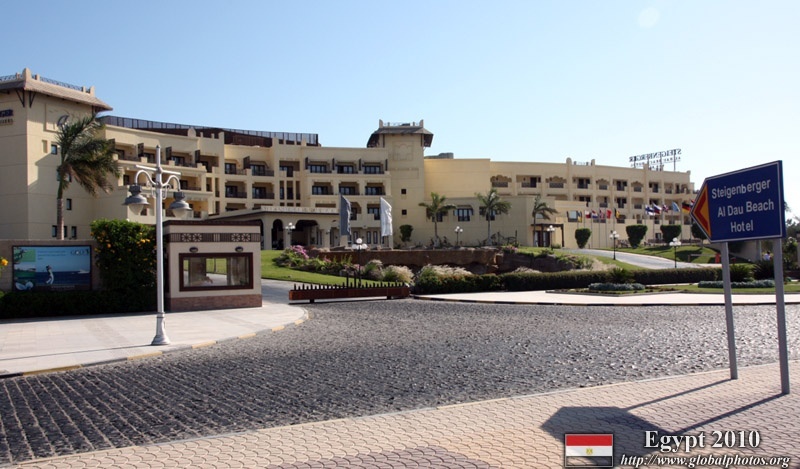 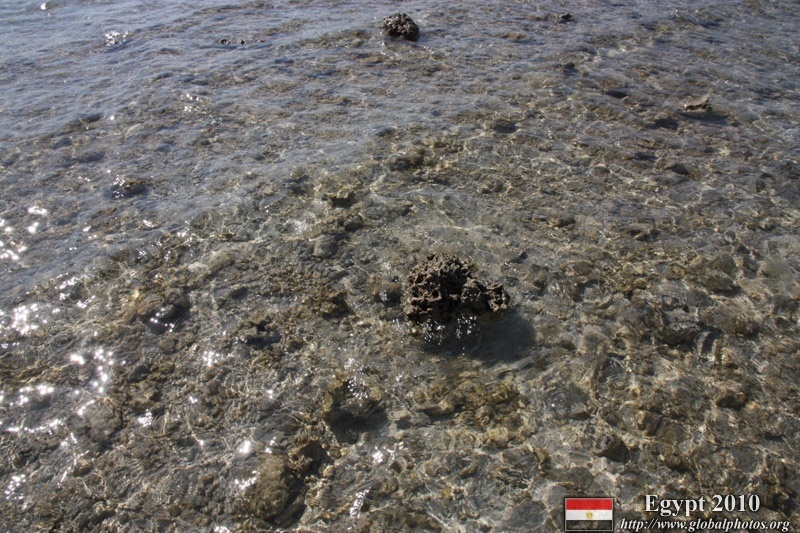 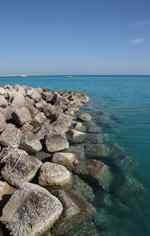 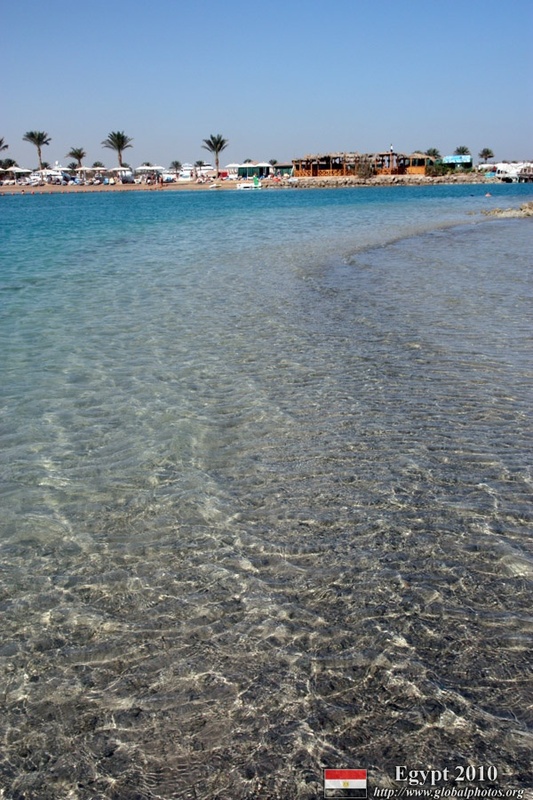 Hotels and resorts along the coast have a section of the Red Sea exclusively for its guests. 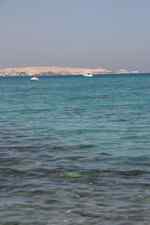 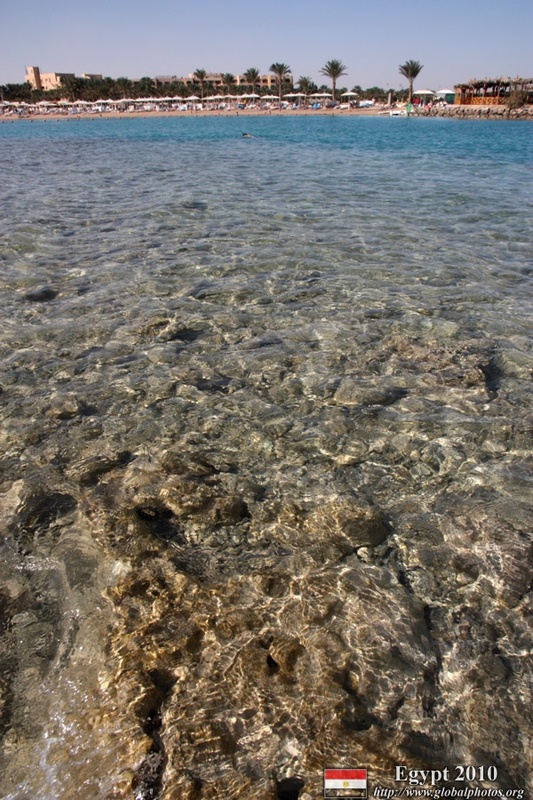 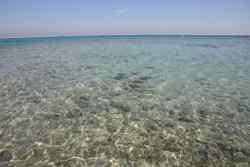 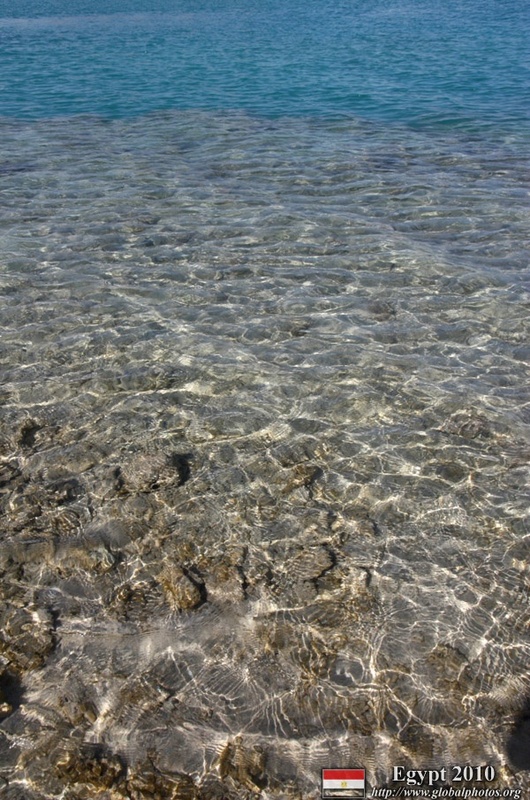 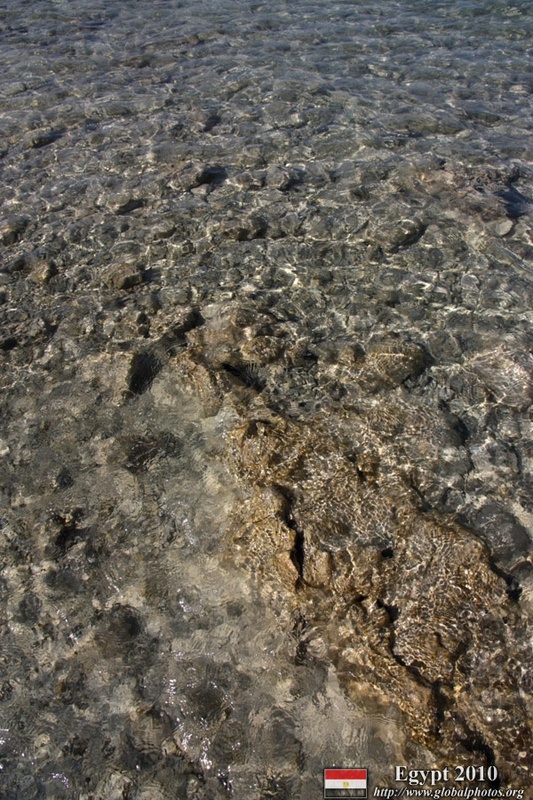 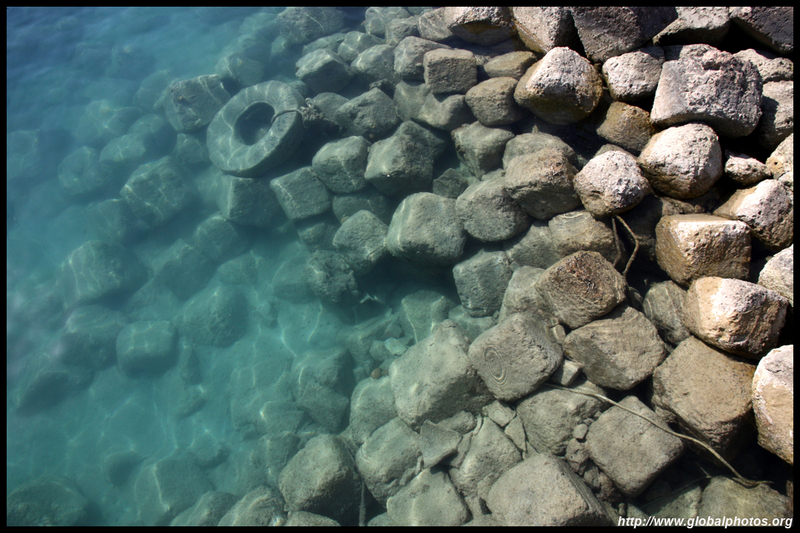 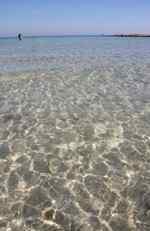 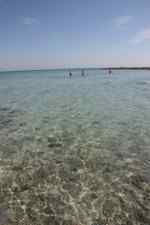 The Red Sea appears so blue and unspoiled. 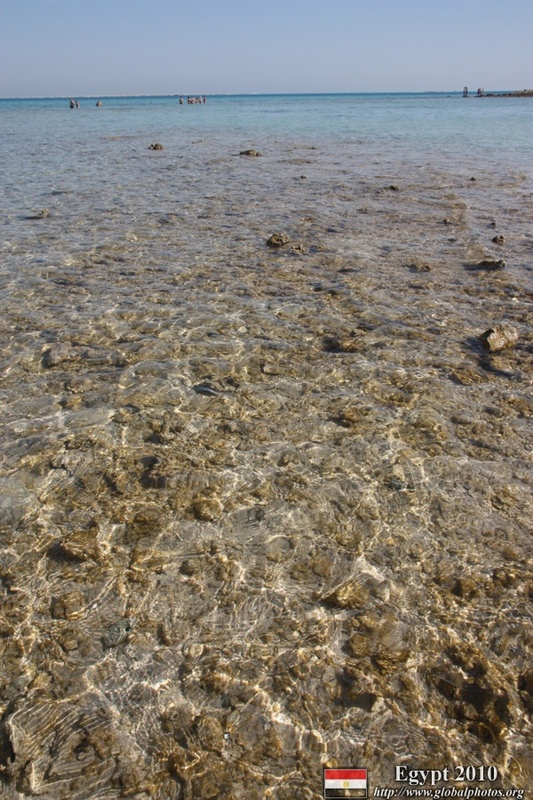 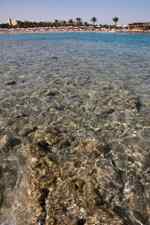 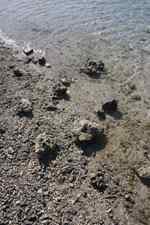 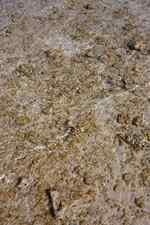 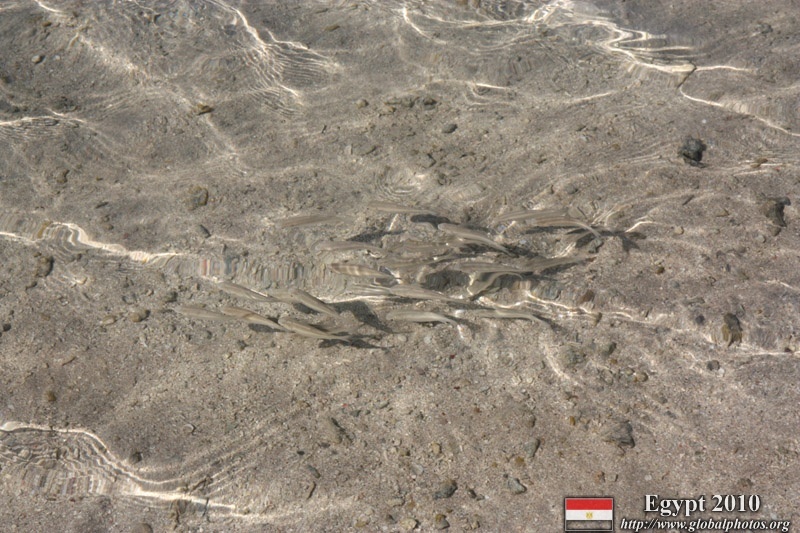 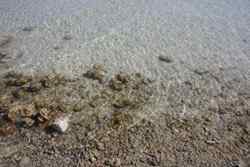 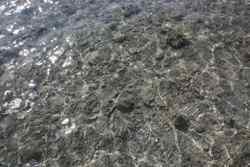 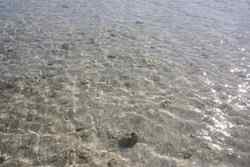 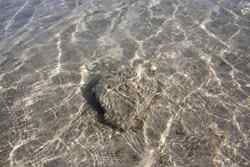 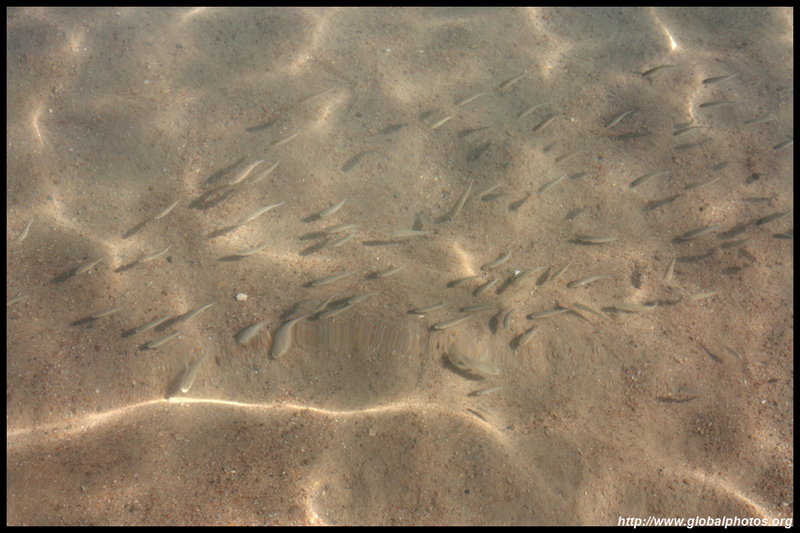 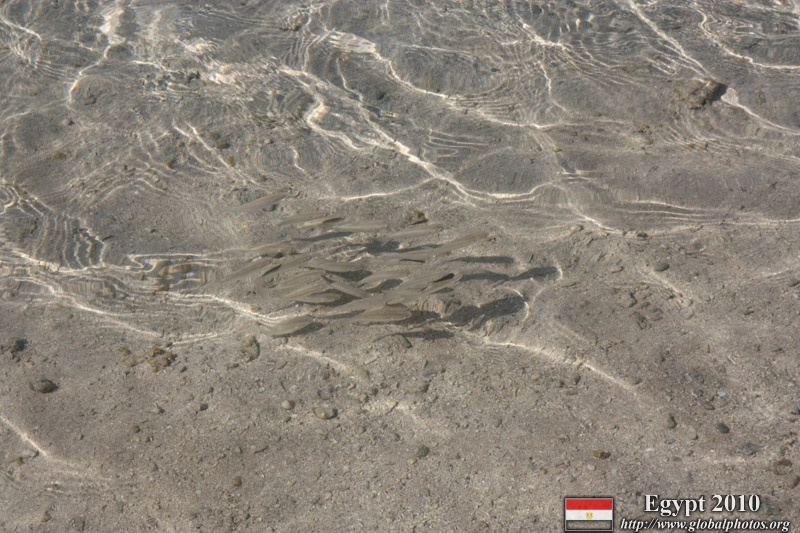 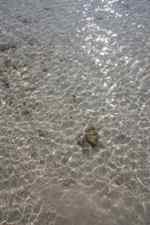 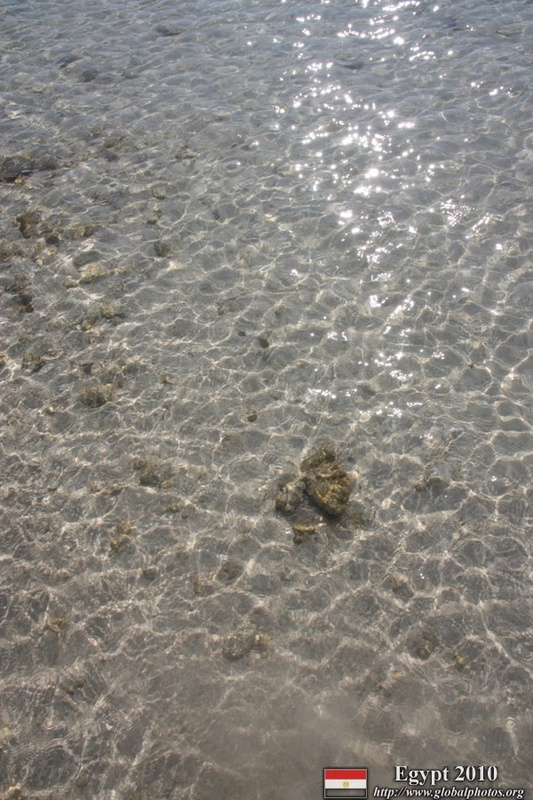 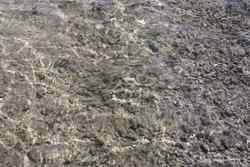 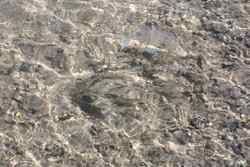 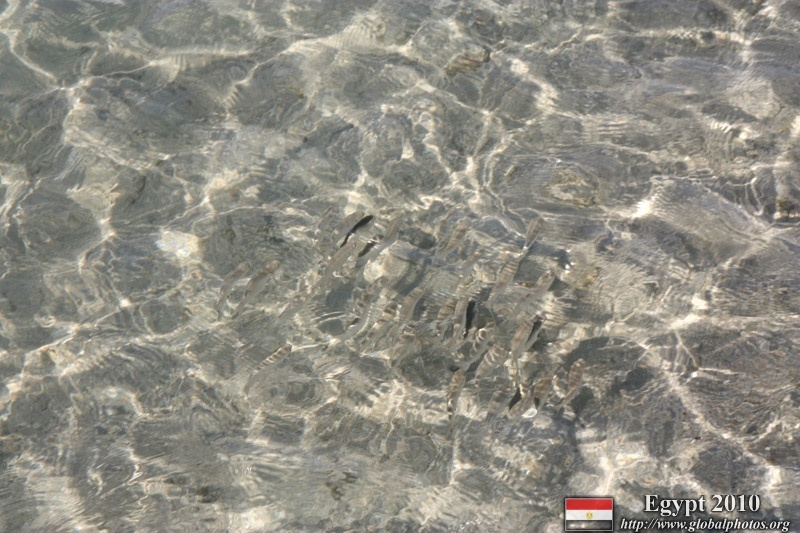 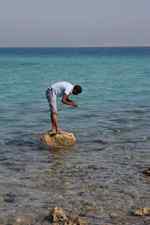 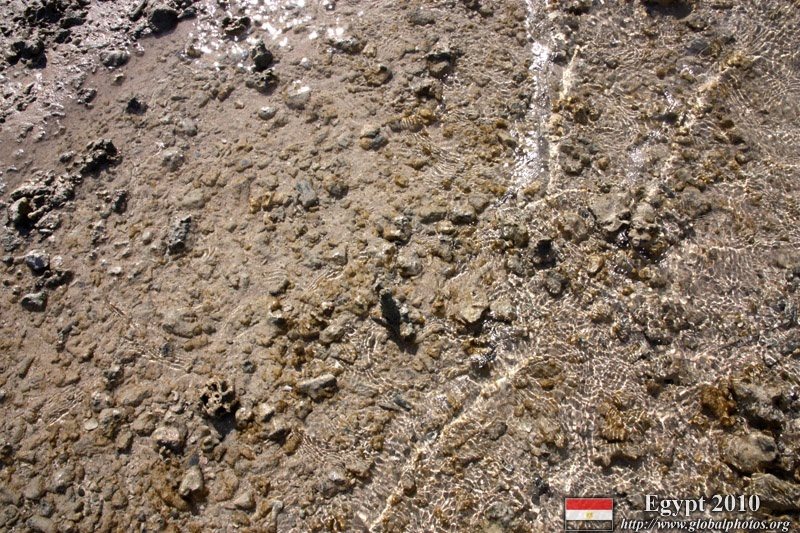 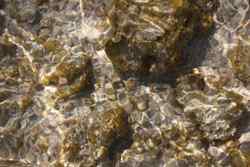 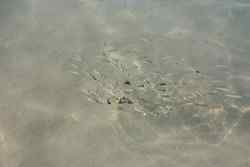 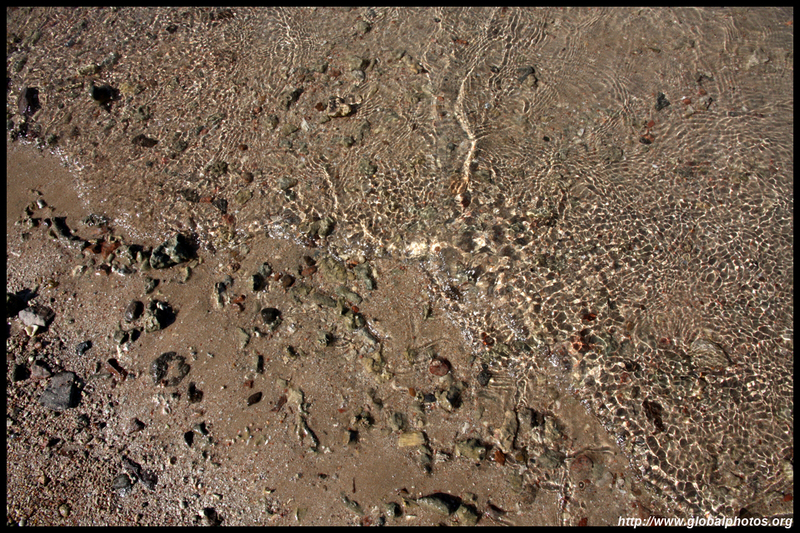 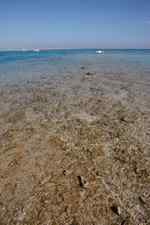 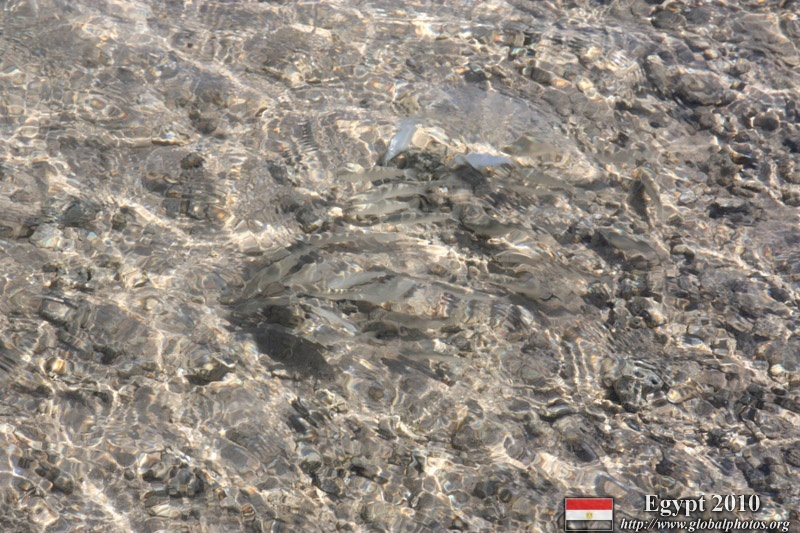 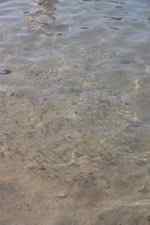 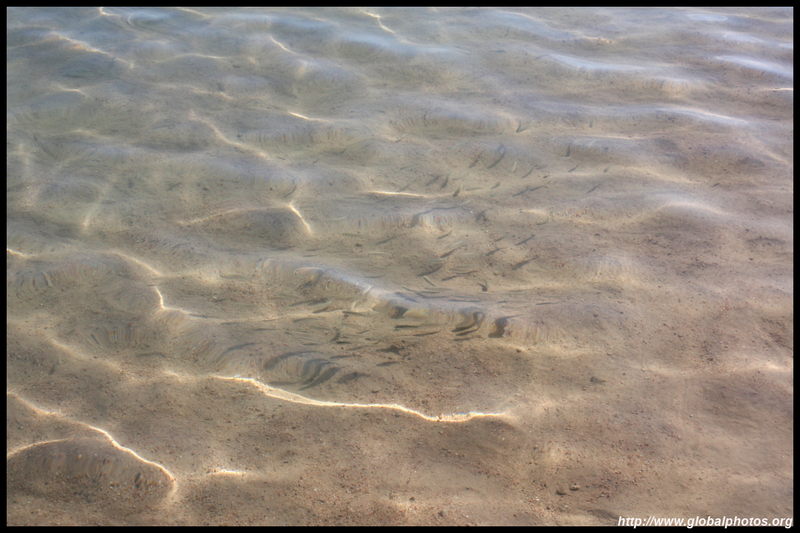 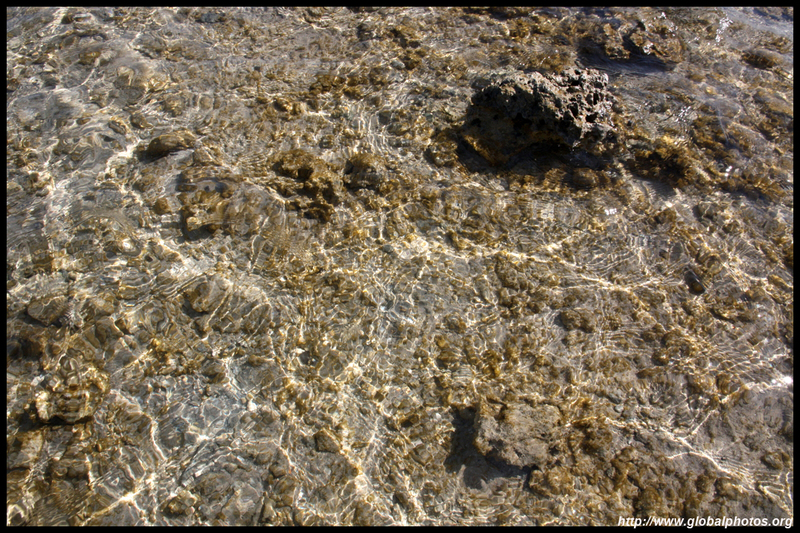 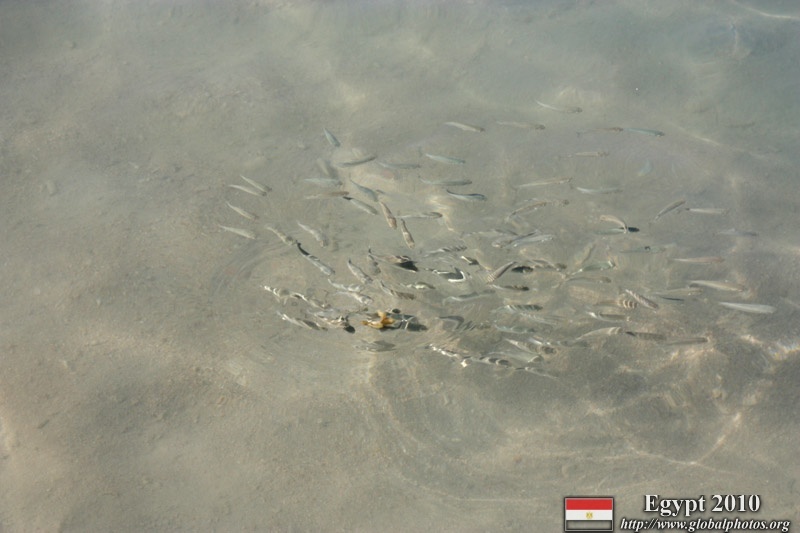 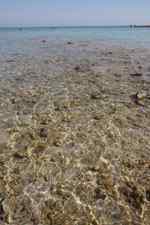 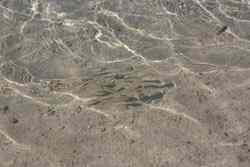 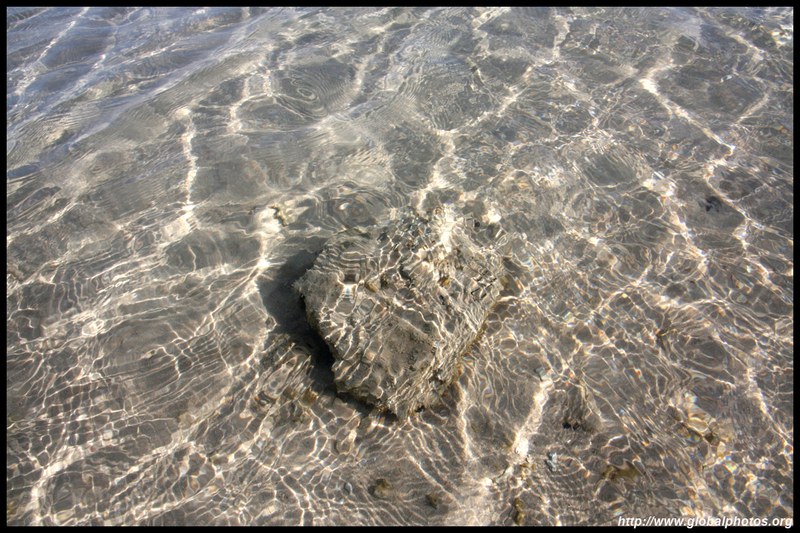 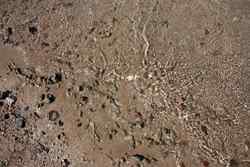 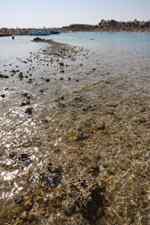 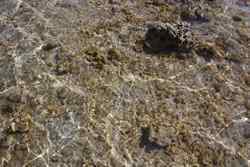 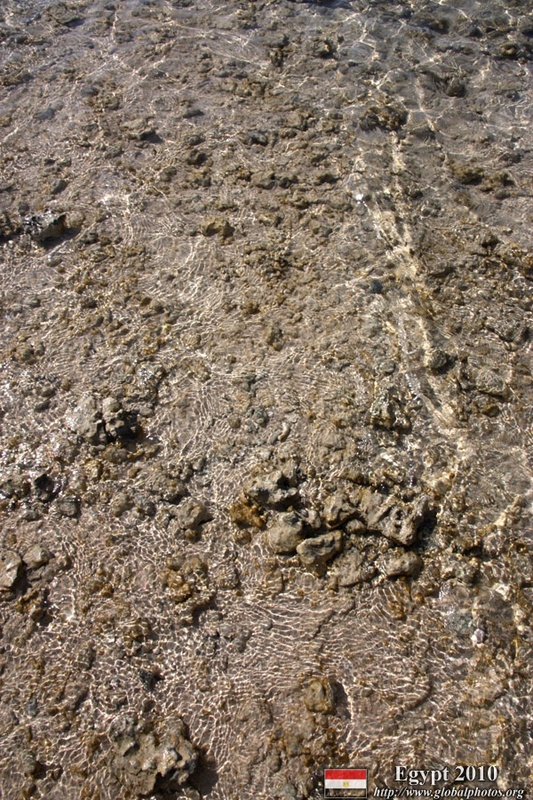 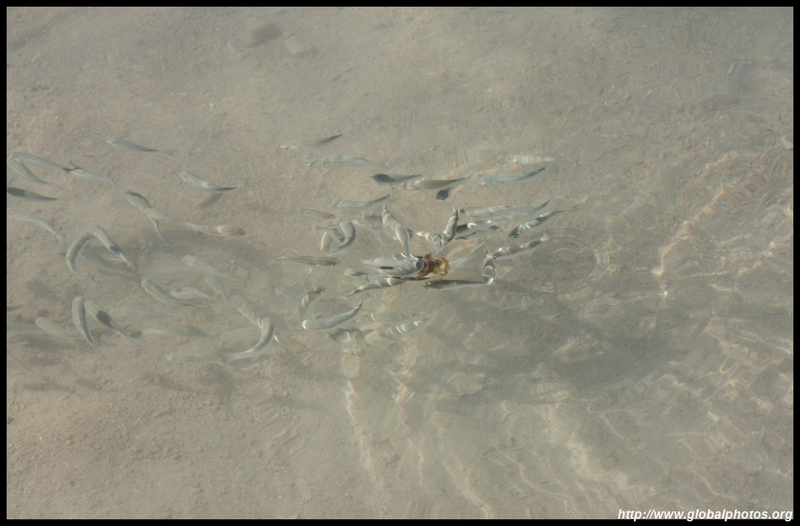 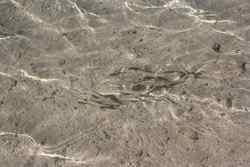 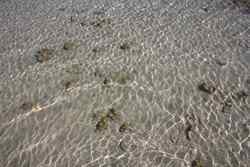 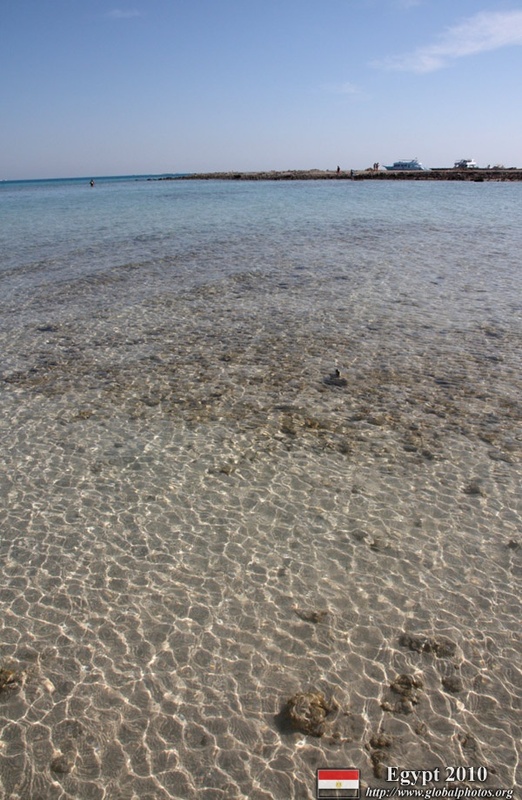 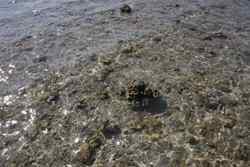 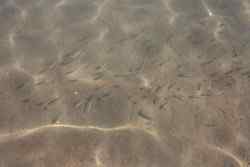 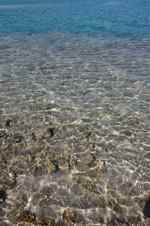 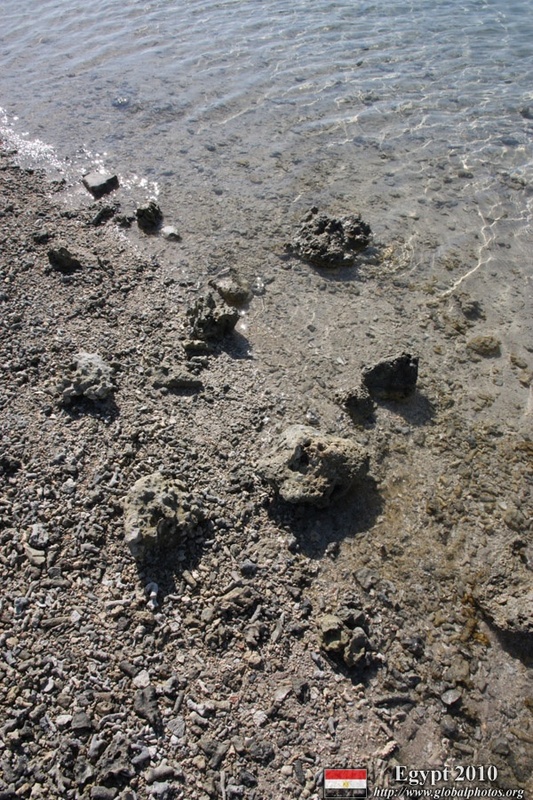 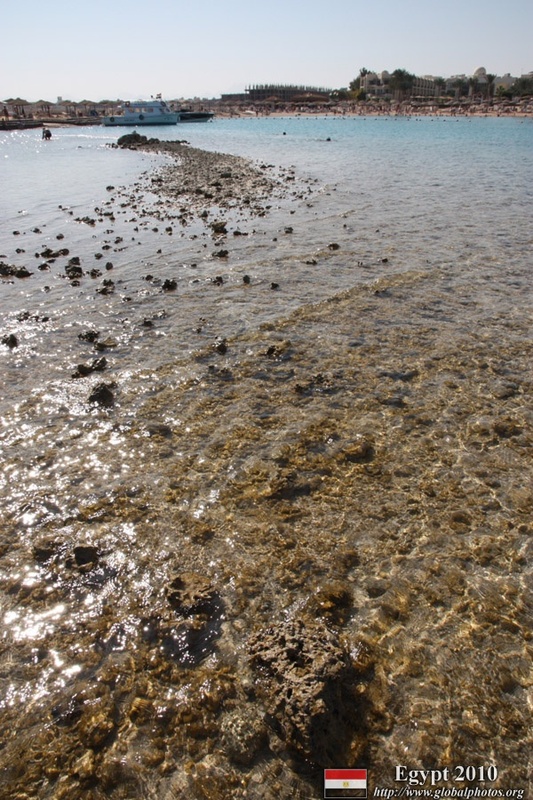 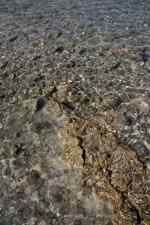 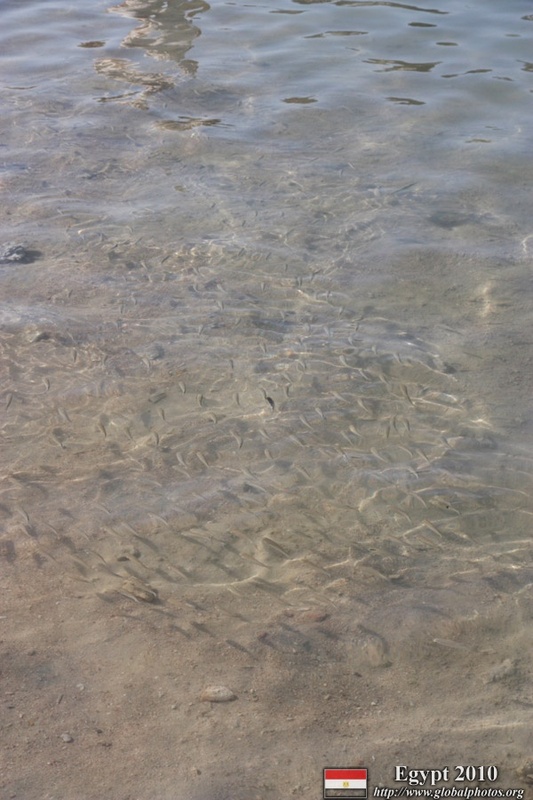 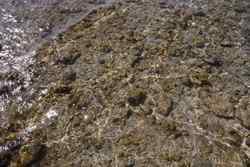 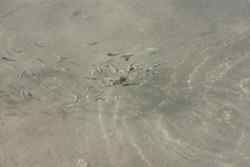 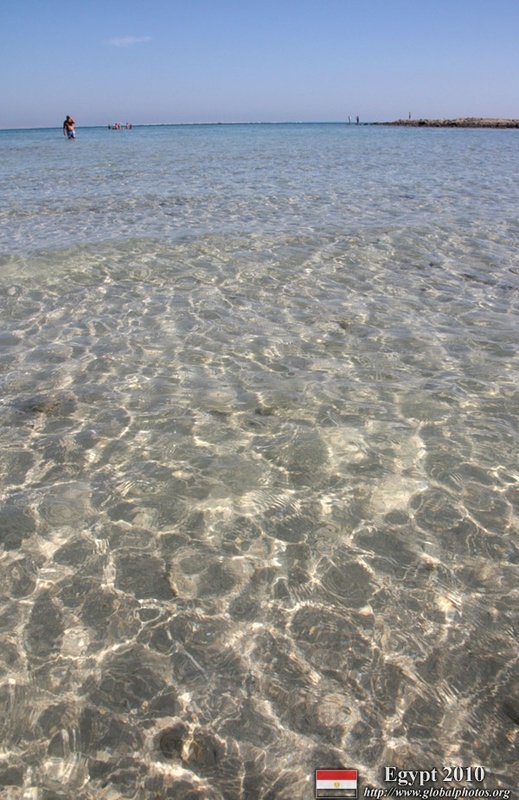 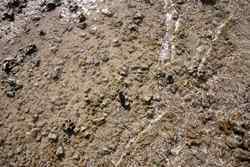 Even schools of small fish frequent the shallow waters next to shore. 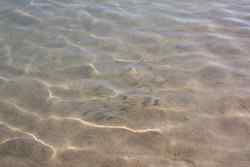 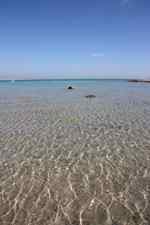 Despite being a small distance away from the coast, the water doesn't get too deep and reflects wonderfully against the beautiful sun.